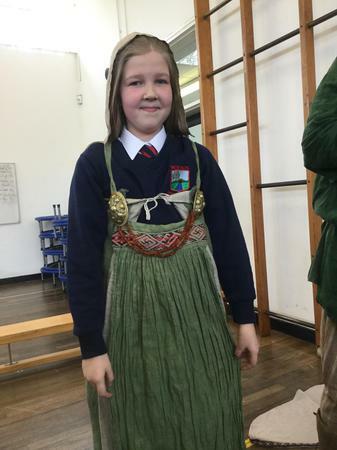 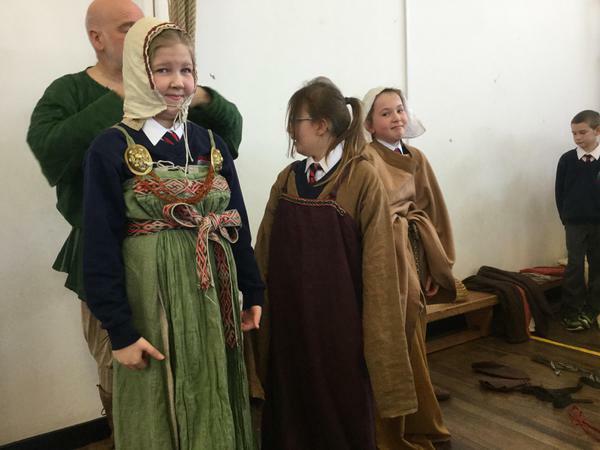 Year 5 are looking forward to their first Eisteddfod! 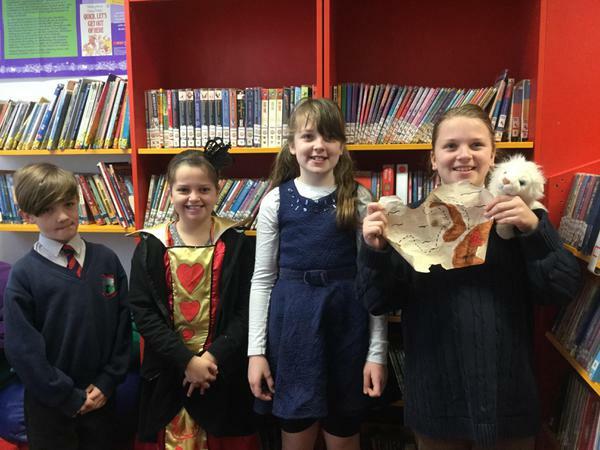 Year 5 can't wait to meet Cathy Cassidy (a famous author). 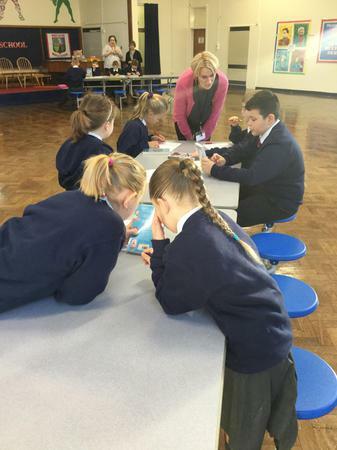 After reading an extract from one of her books, the children wanted to find out more about her. 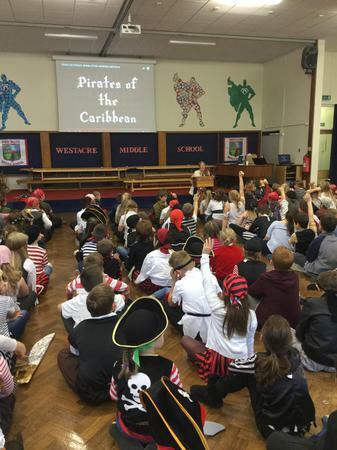 Hopefully this will inspire them to read some of her books. 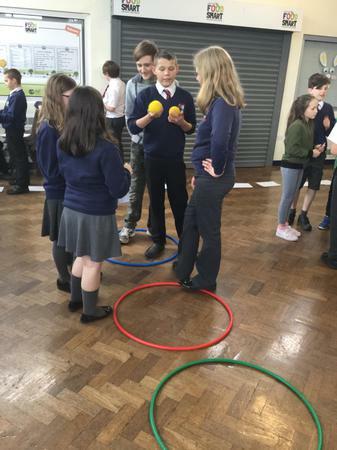 Groups of girls have been selected to have some special tennis training with Mrs Hughes who is part of a big project to get more girls involved. 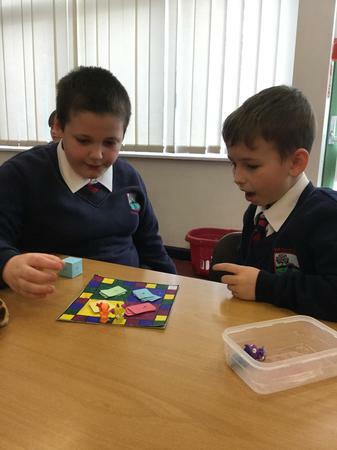 This has been an amazing opportunity and they have all enjoyed it. 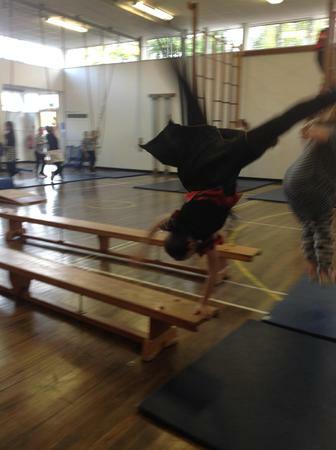 We're looking forward to their Mums coming to join in as well. 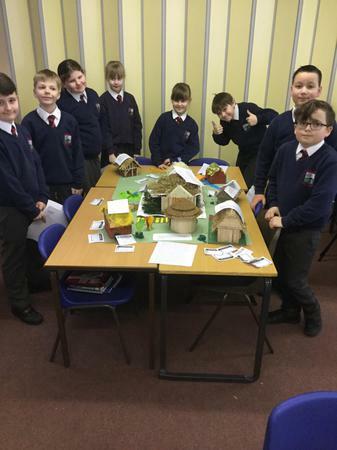 Within our Life Cycles topic, year 5 have looked at a range of animals. 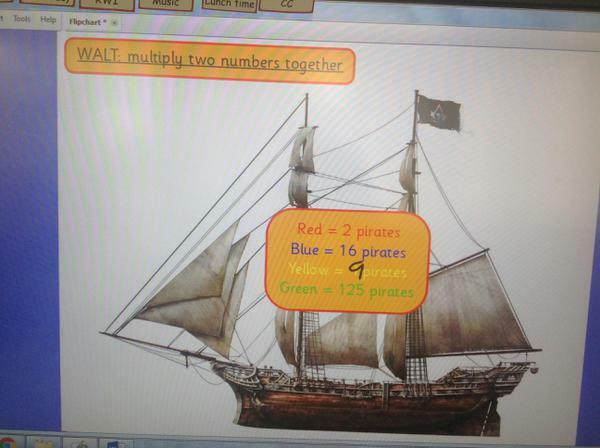 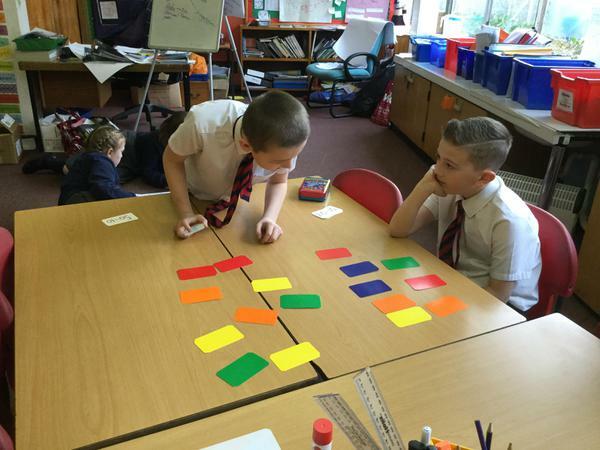 They have investigated how to sort them onto categories and have researched the differences between each group. 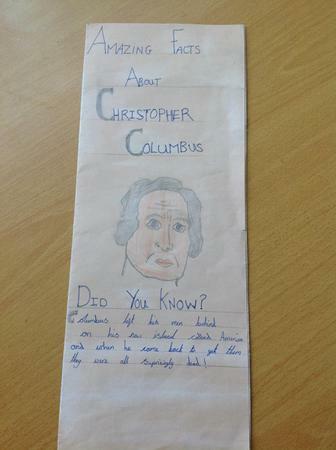 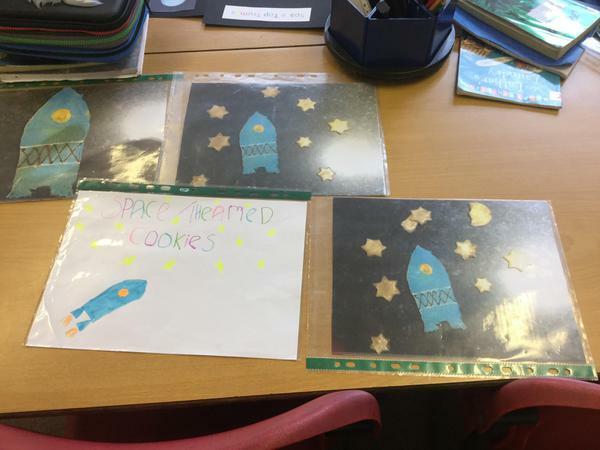 We are completely overwhelmed by the standard of homework projects coming in. 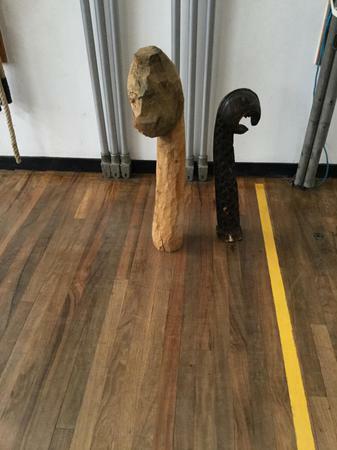 Look at these amazing pieces of work created by 5JR. 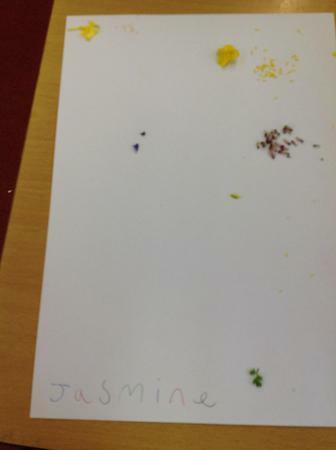 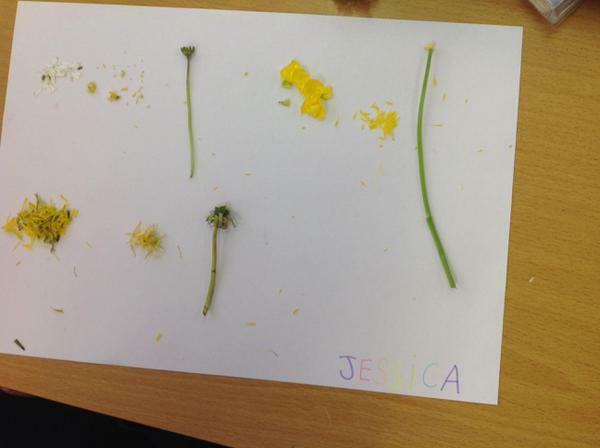 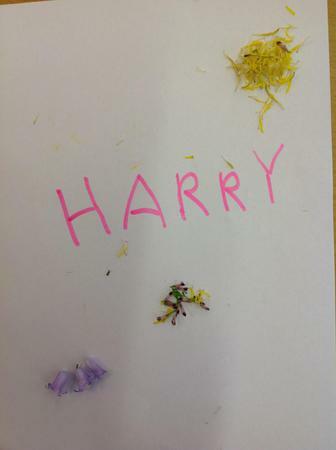 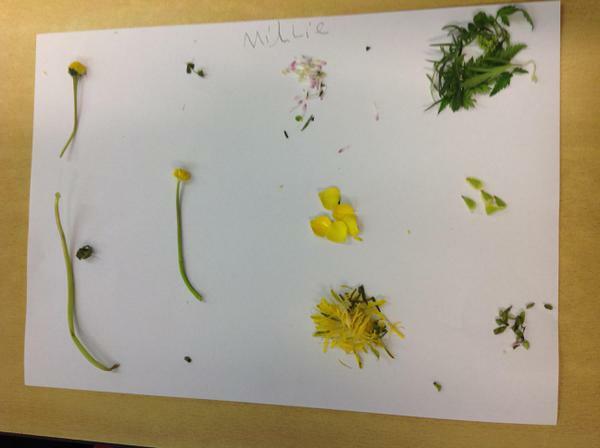 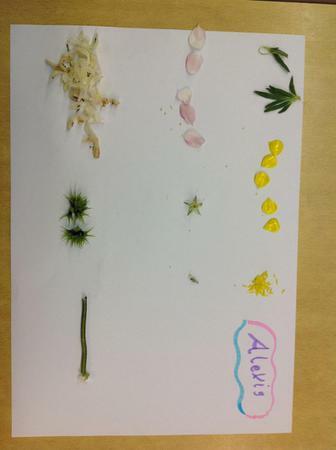 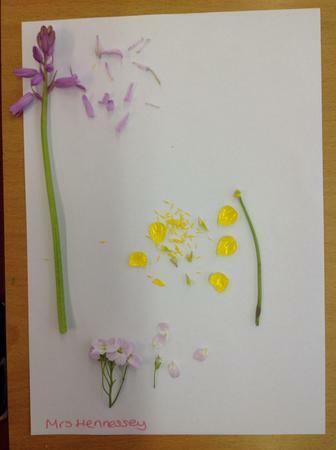 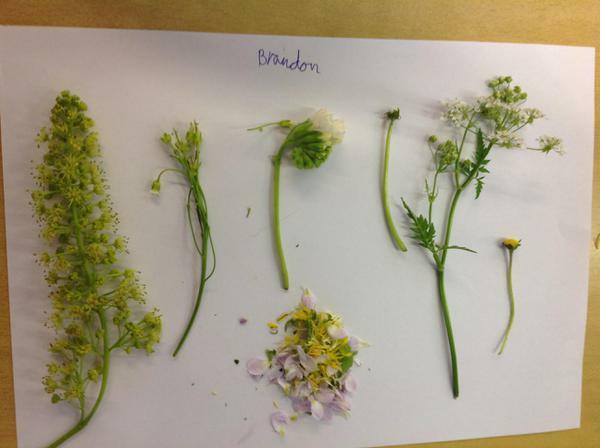 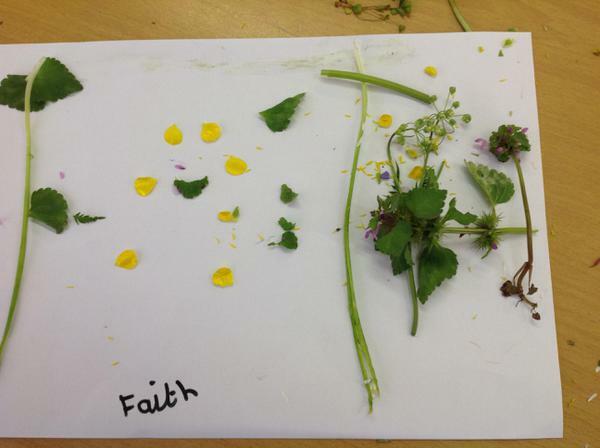 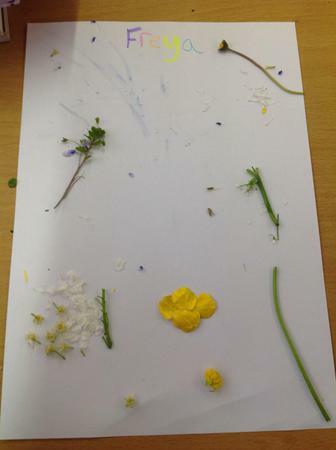 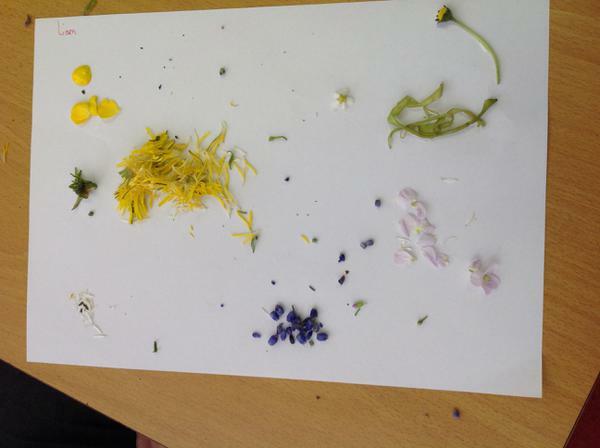 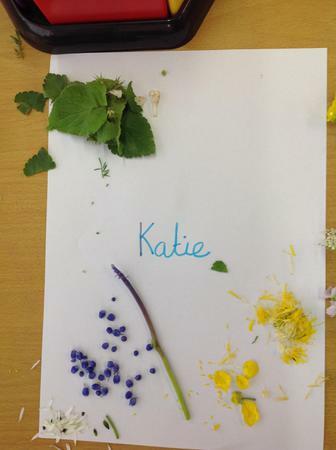 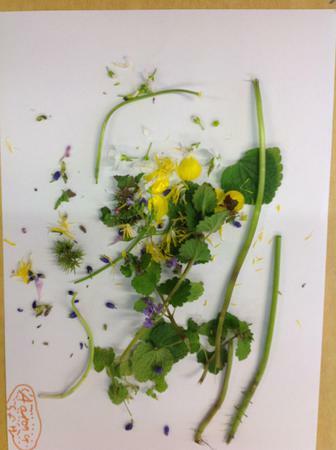 Year 5 should now be able to tell you in detail what the different parts of a flower are and what their role is. Thank you to those who have shared their 30 Days Wild adventures. 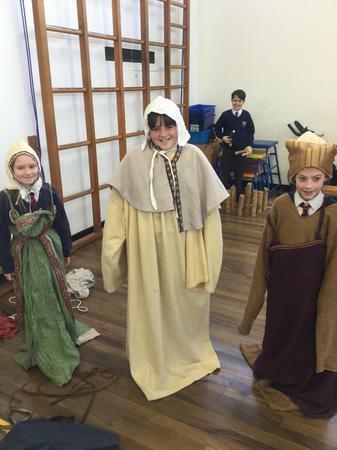 It would be great to see some more of what you get up to out of school. 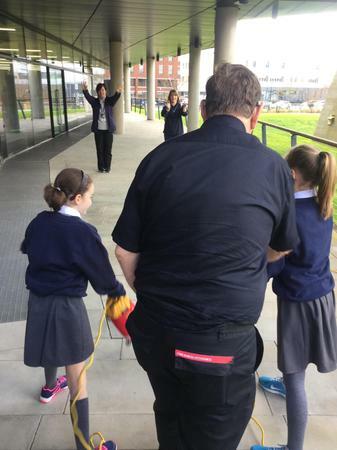 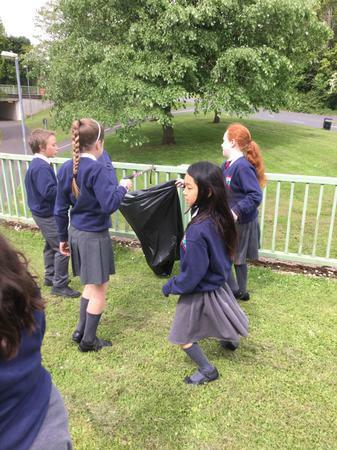 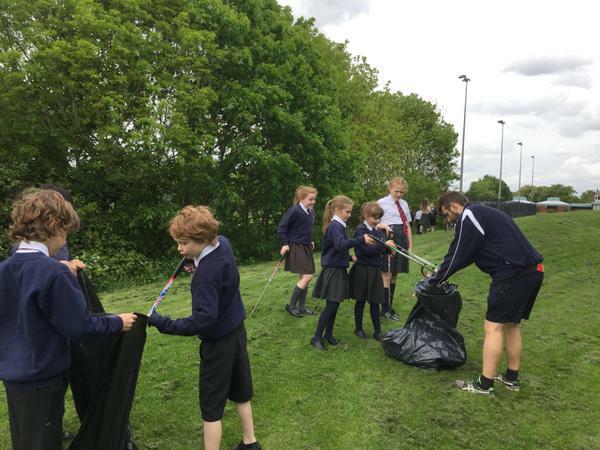 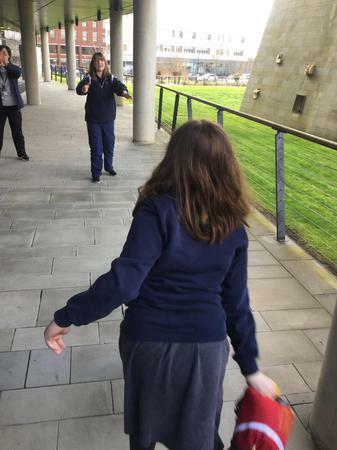 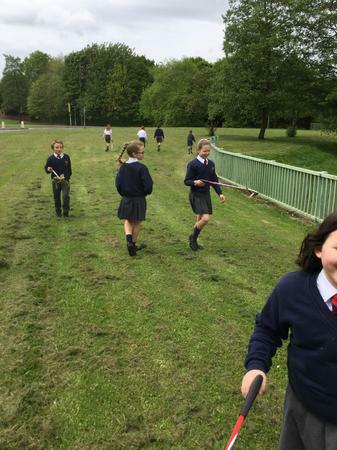 Our Year 5 Eco-Council members led the rest of the children out beyond the school gates to take part in the Great Plastic Pick Up. 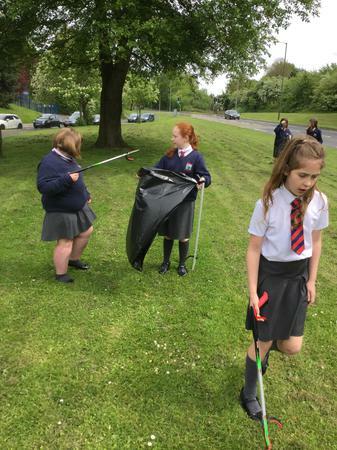 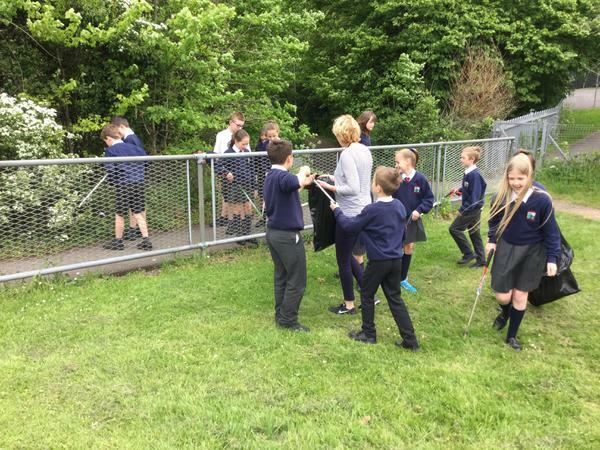 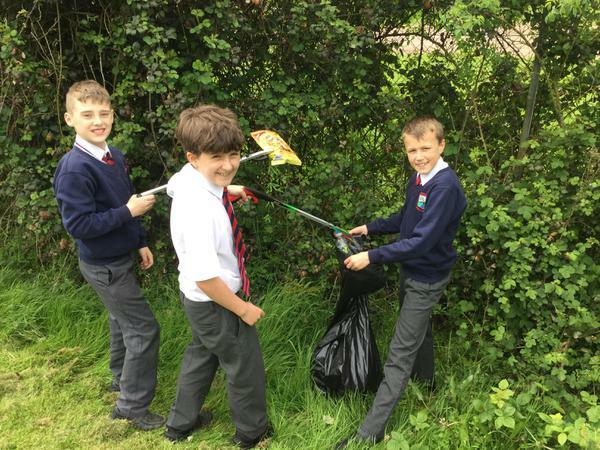 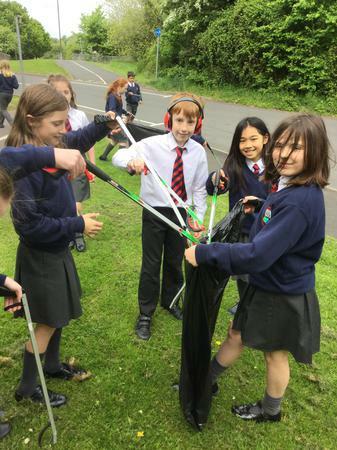 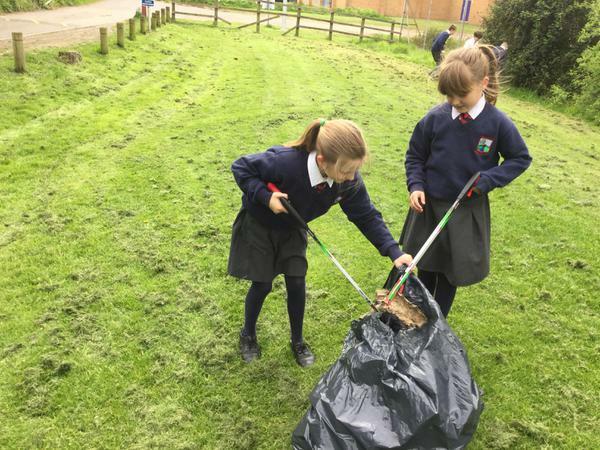 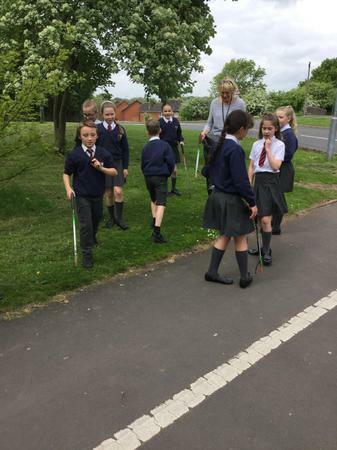 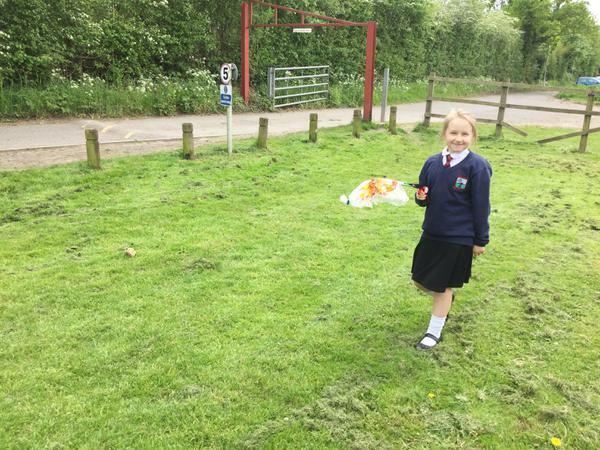 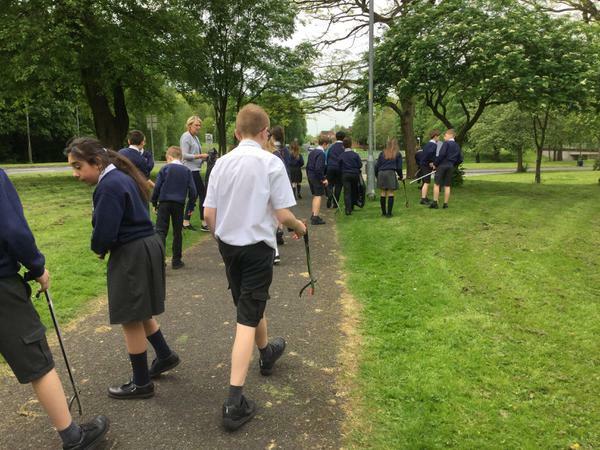 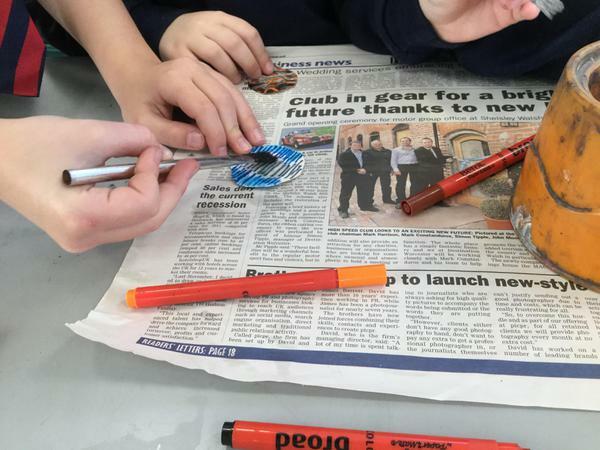 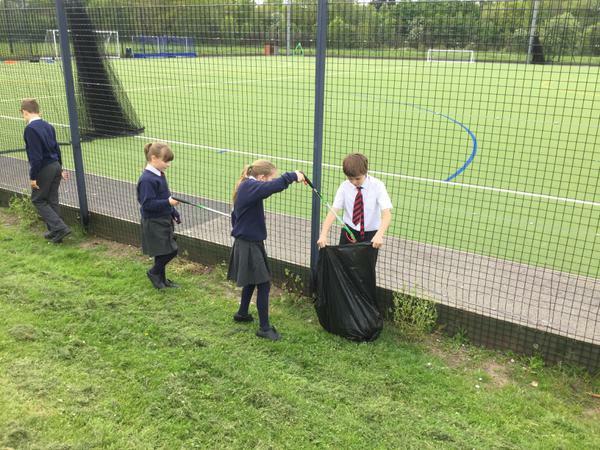 Each class spent half an hour using litter pickers to make our local environment a tidier, safer and prettier place. 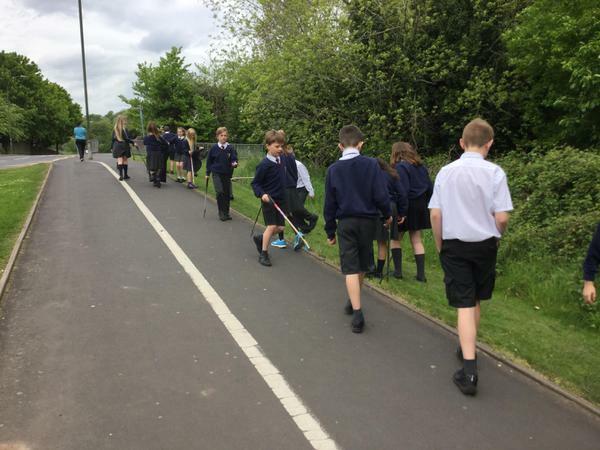 It was hard work and the children really understood the importance of keeping our streets clean. 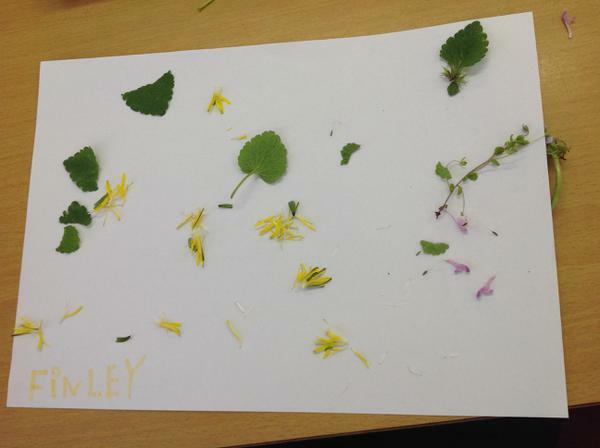 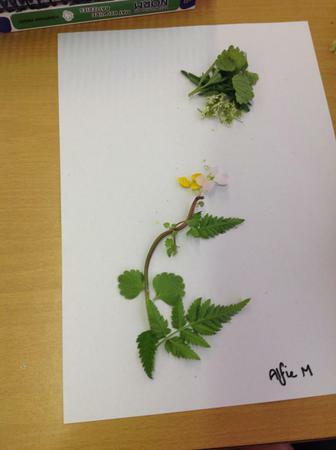 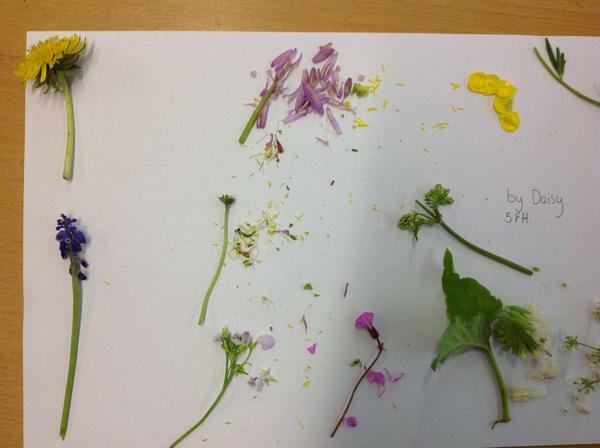 5FH investigated flowers around our school field. 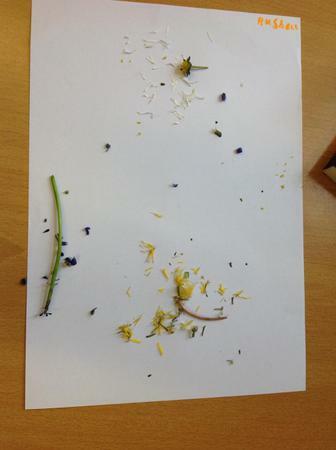 We then took some samples back to the classroom to dissect and compare the different parts. 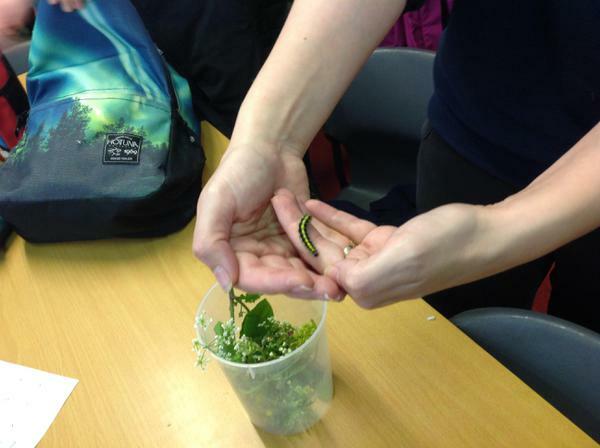 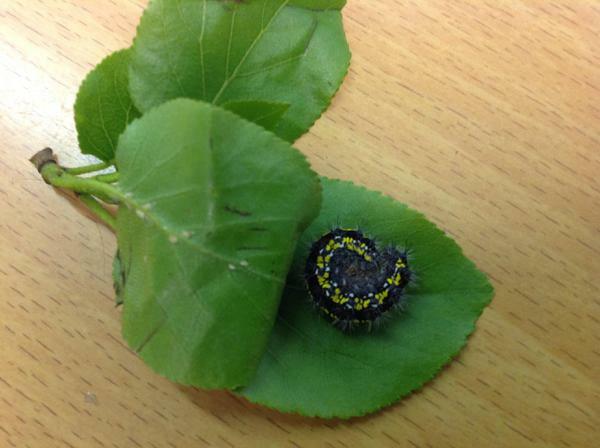 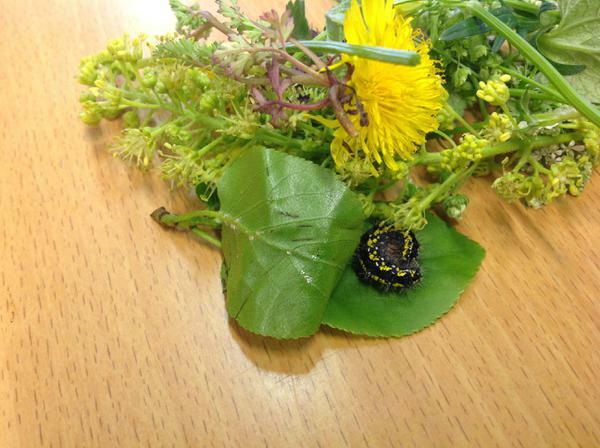 The class were fascinated to also find a caterpillar. 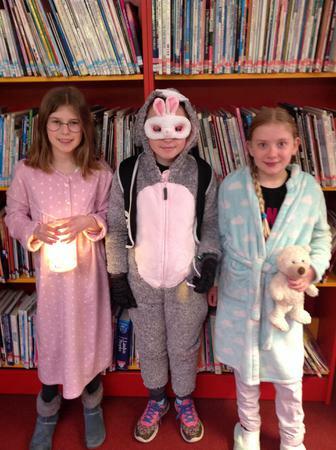 We hope that all of year 5 have a restful Easter break. 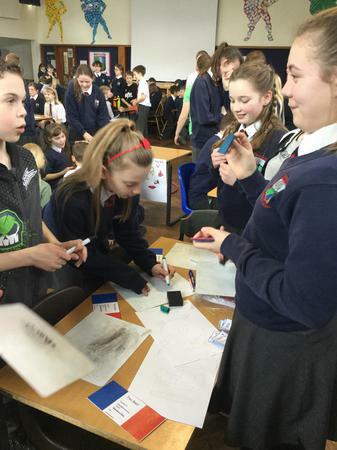 You have all worked so hard and achieved so much. 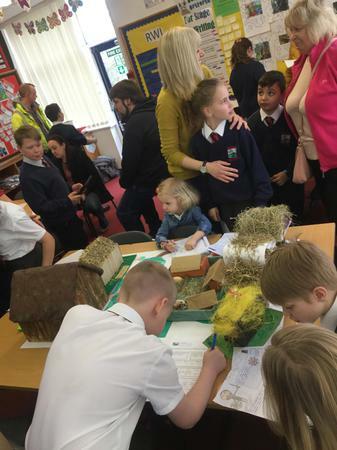 Thank you again for all the support from parents. 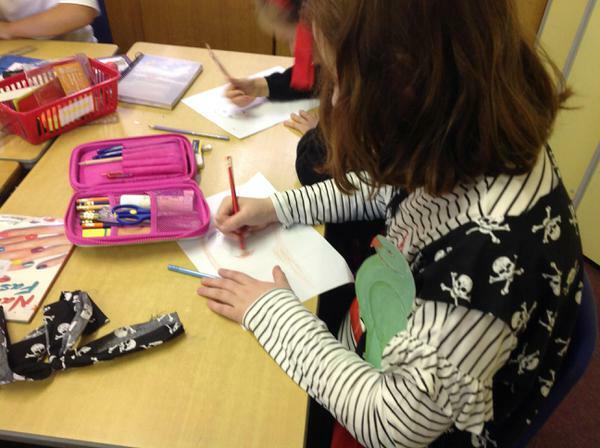 This week we have written a story based on The Highwayman by Alfred Noyes. 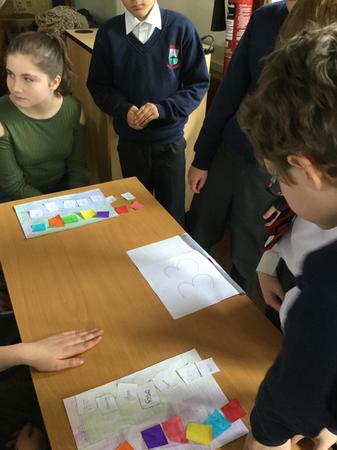 It has been a real challenge of detective work to establish what actually happened, considering different characters thoughts and motives. 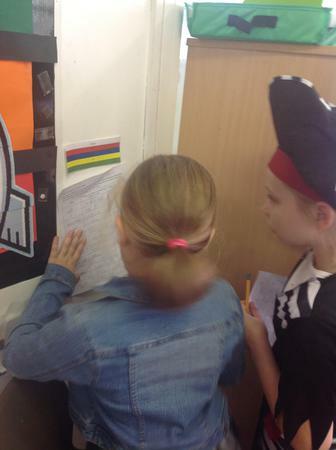 5FH have enjoyed reading each others work and marking as a teacher to give feedback. 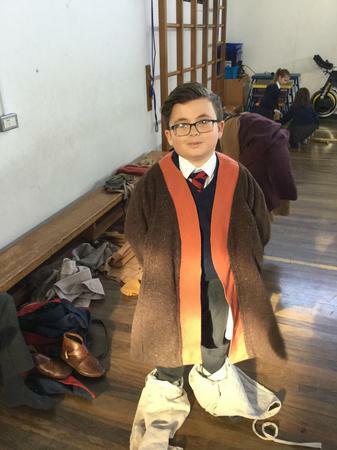 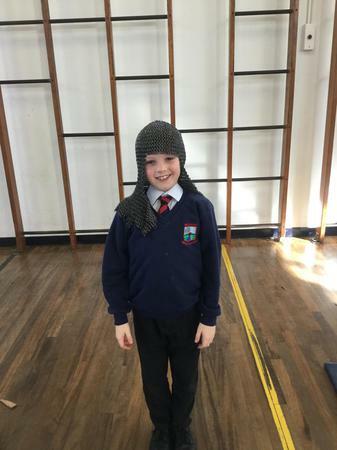 Huge congratulations to Alfie, who is our overall year 5 winner. 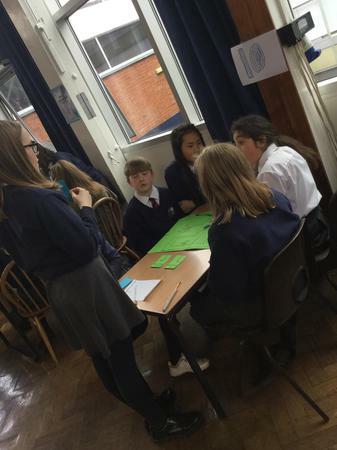 It was great to see the confident year 7s become teachers. 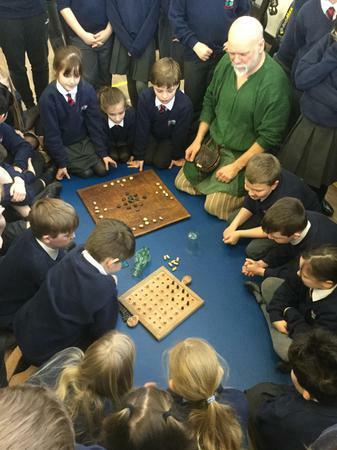 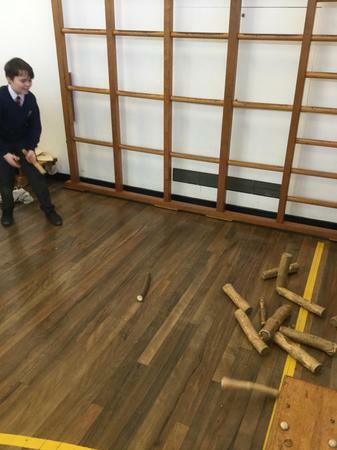 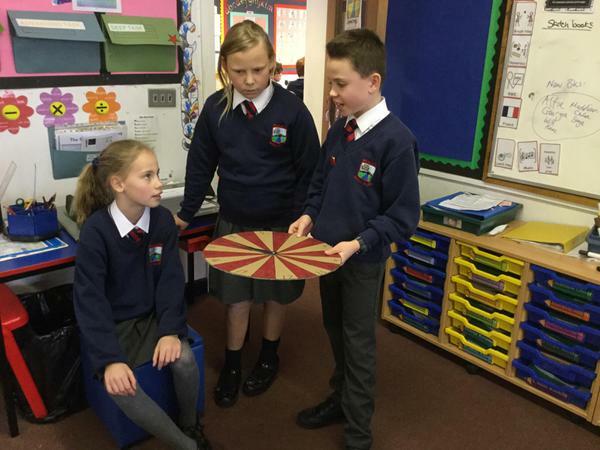 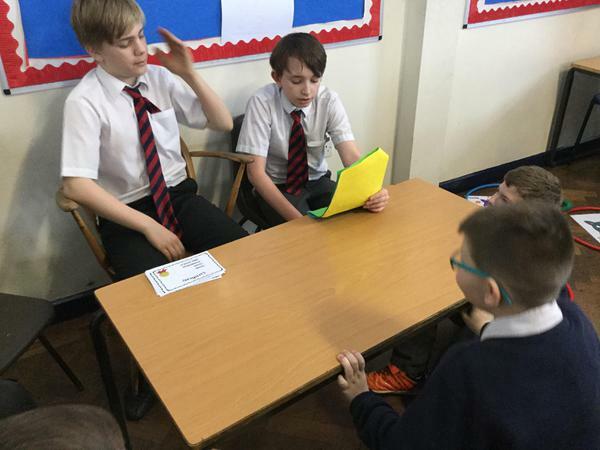 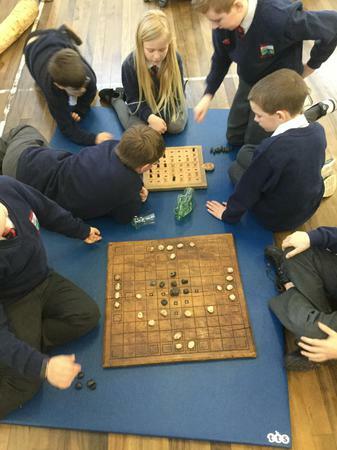 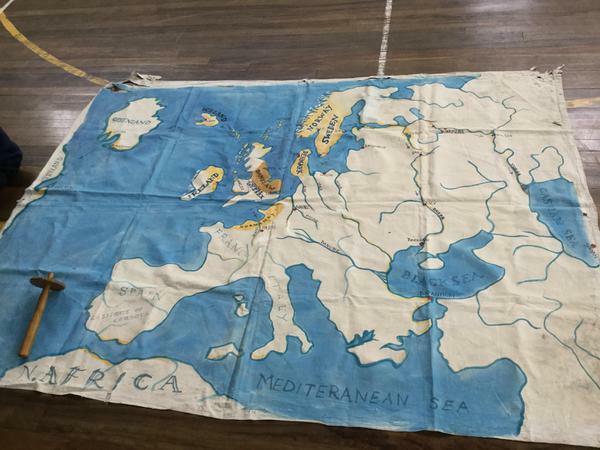 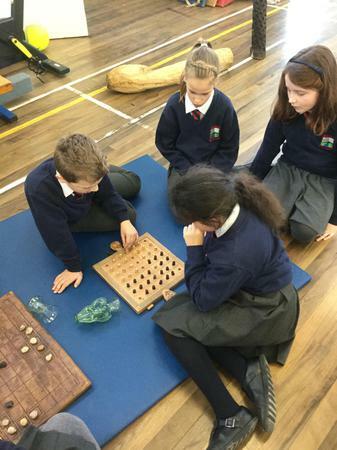 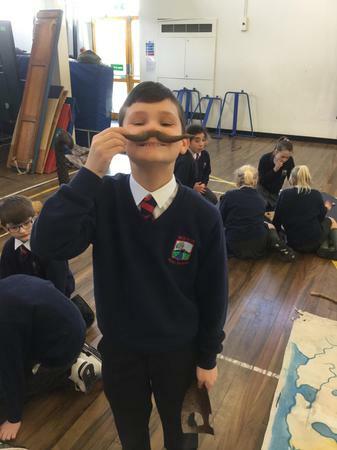 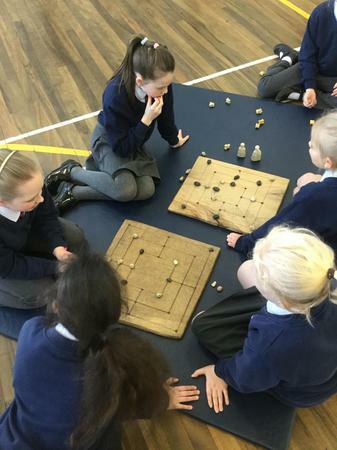 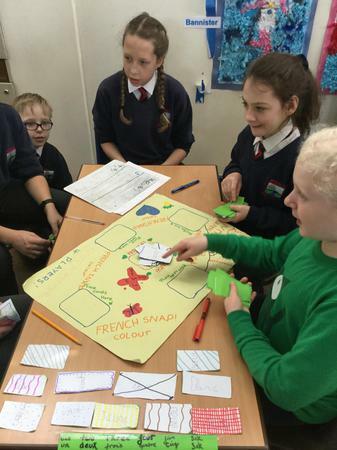 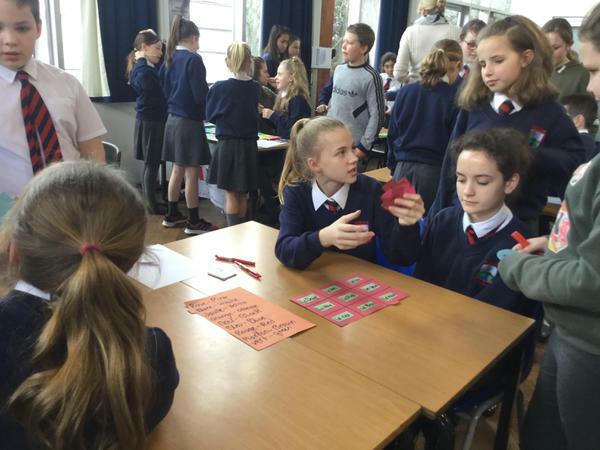 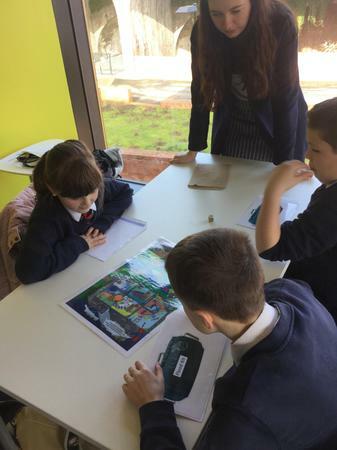 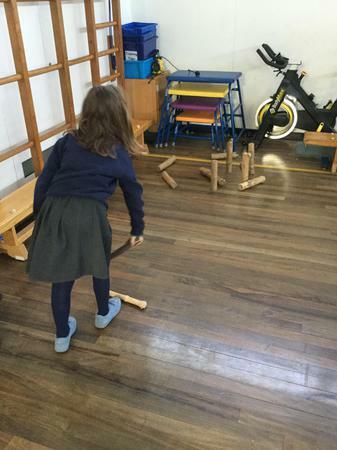 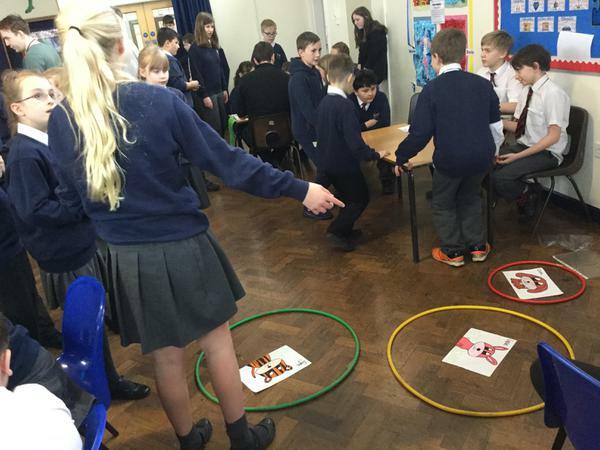 They had organised a variety of games and activities for our year 5s to practise their French vocabulary. 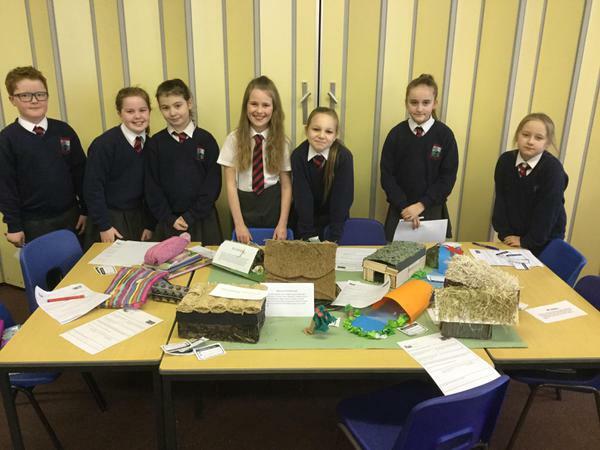 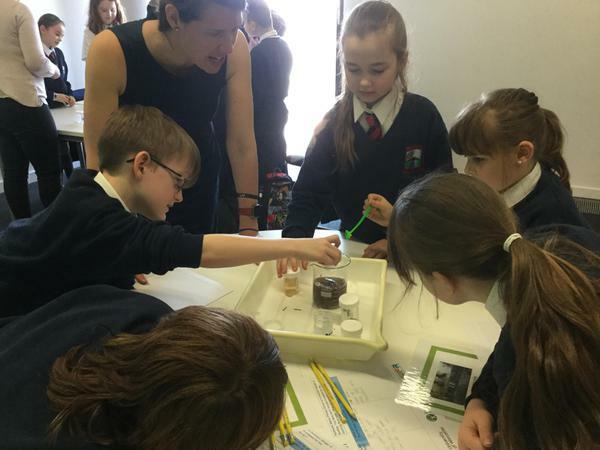 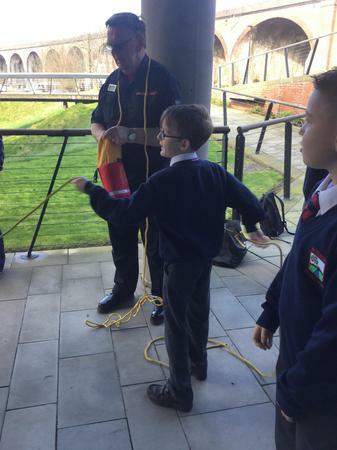 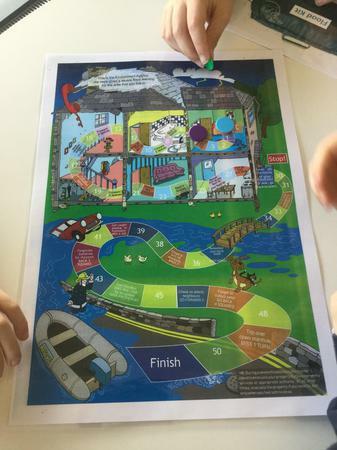 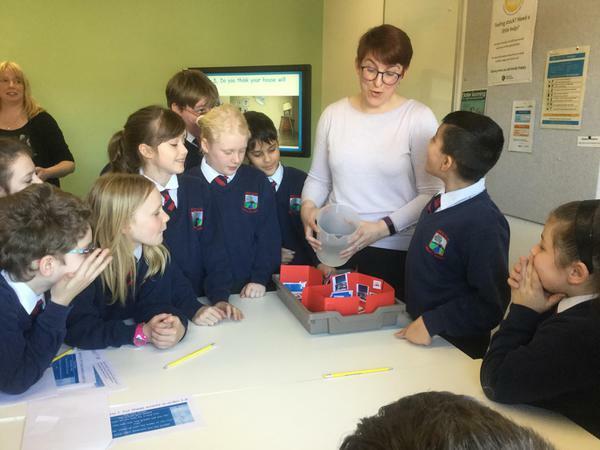 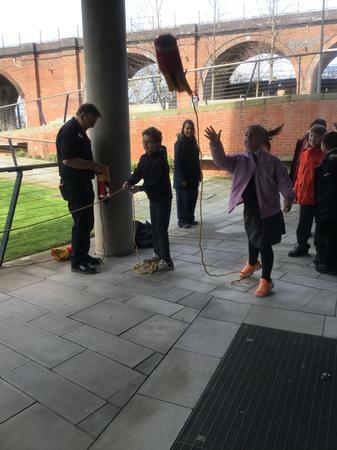 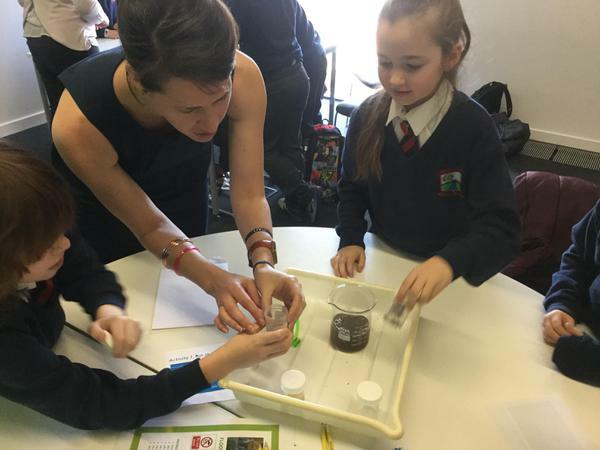 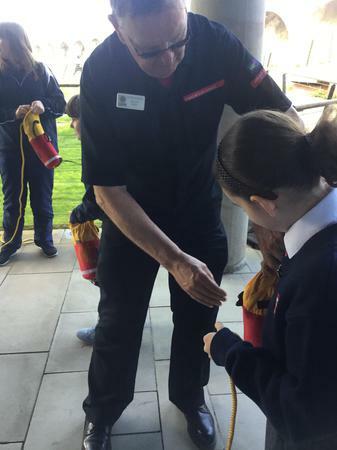 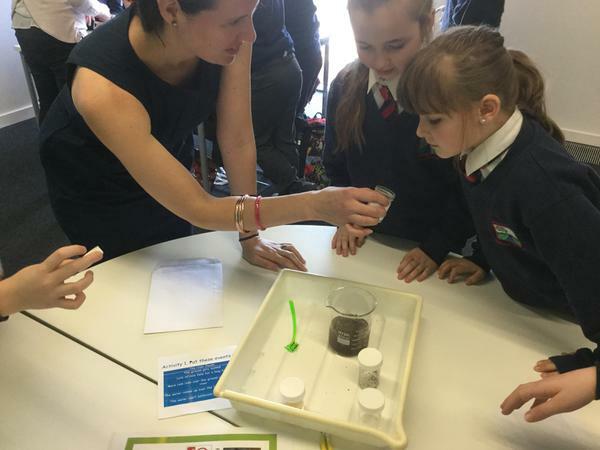 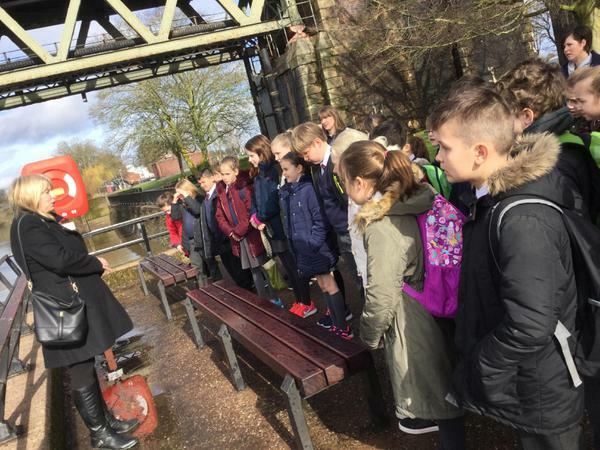 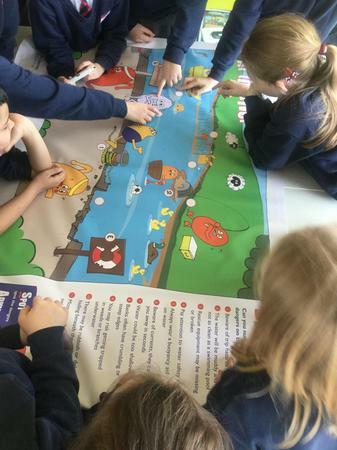 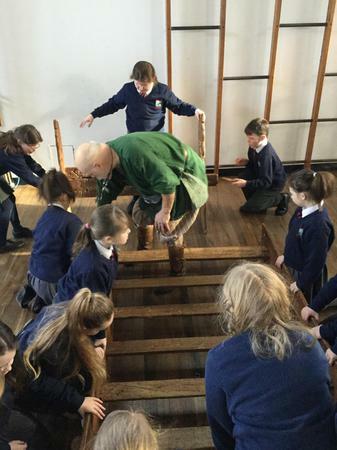 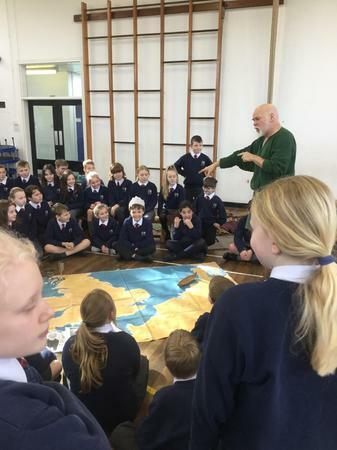 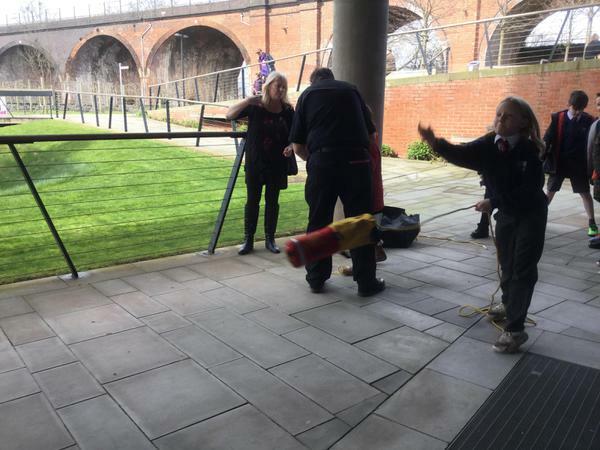 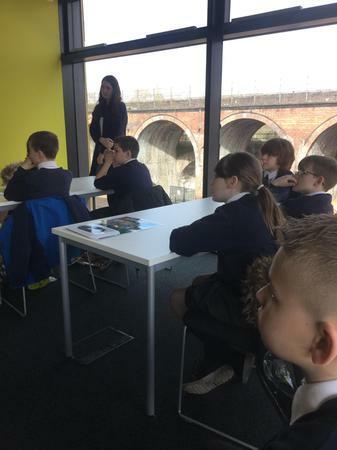 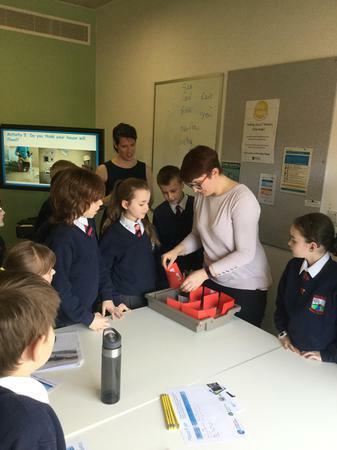 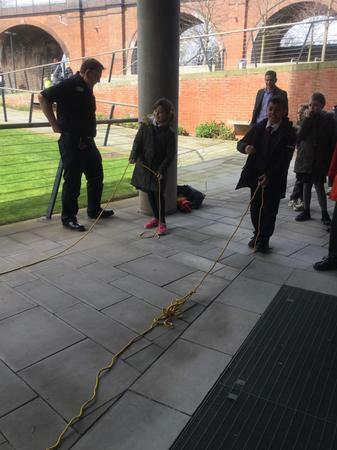 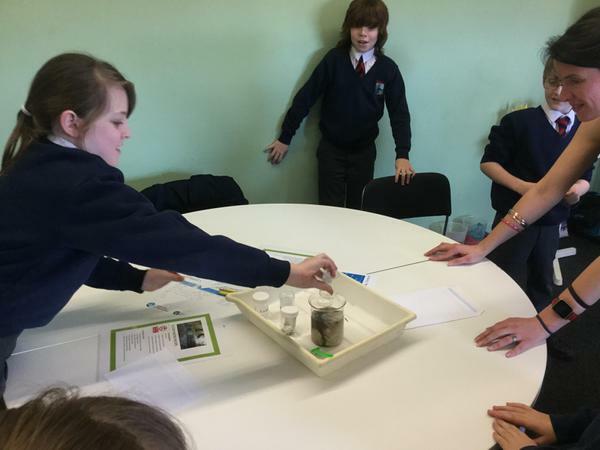 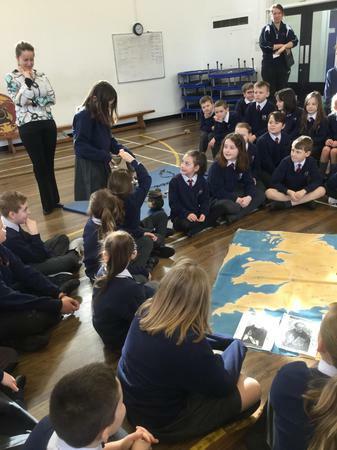 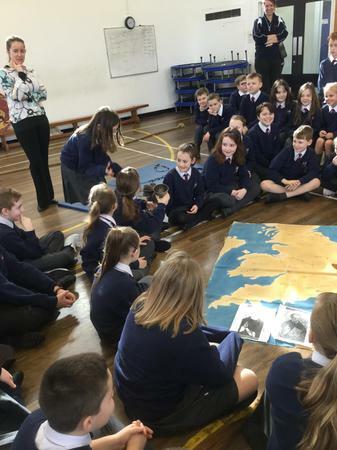 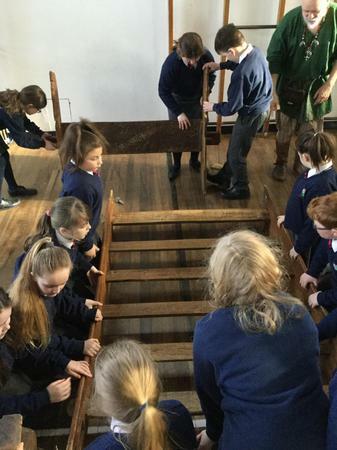 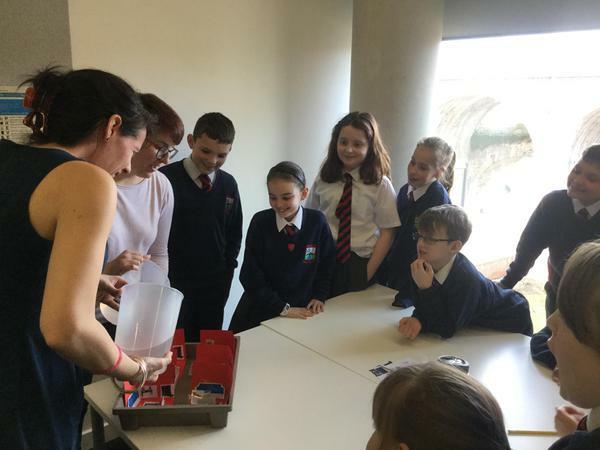 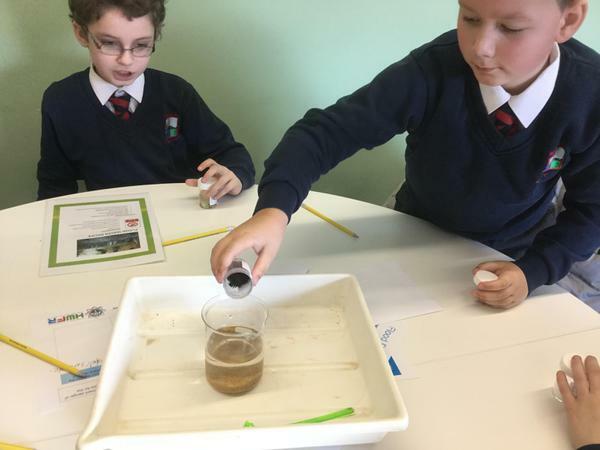 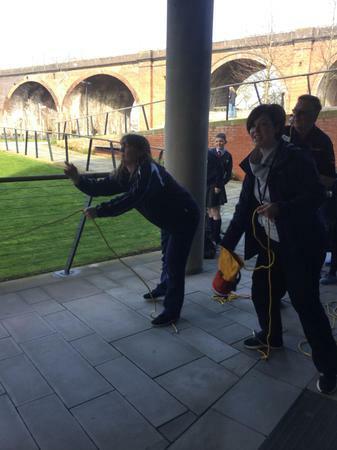 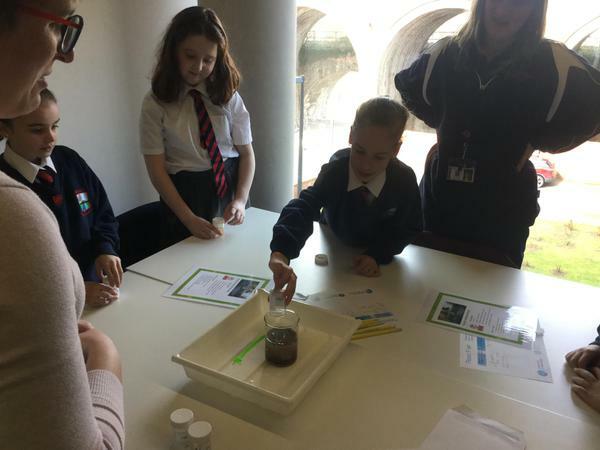 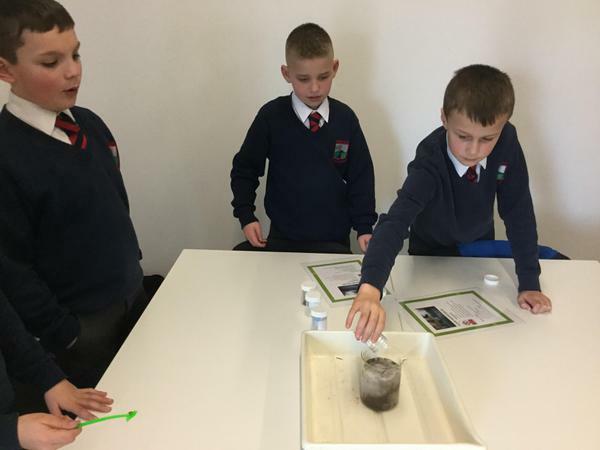 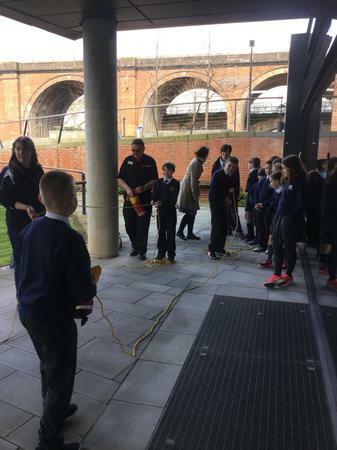 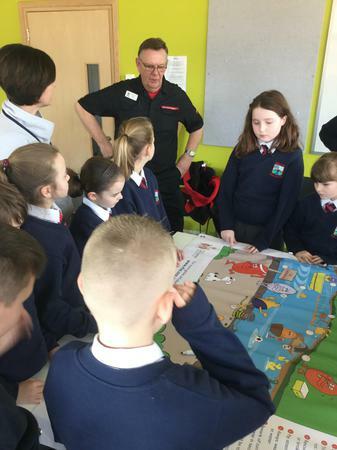 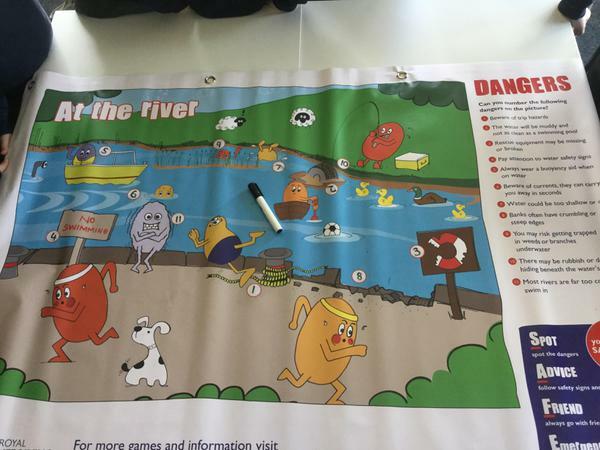 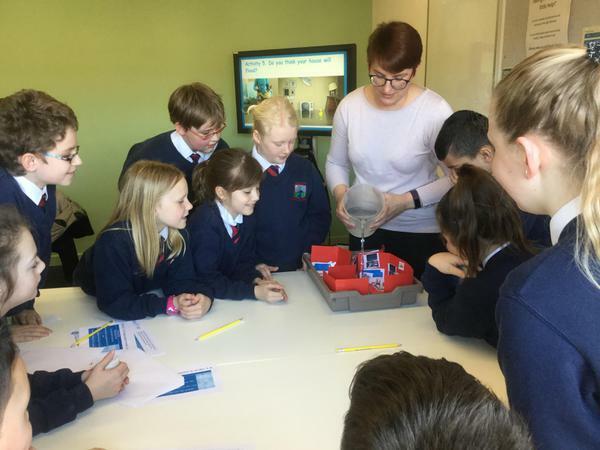 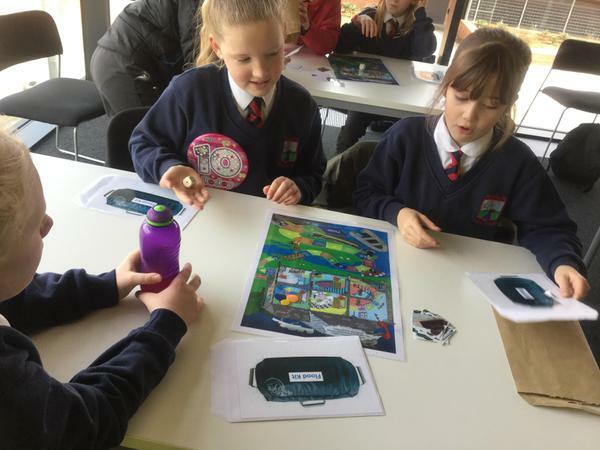 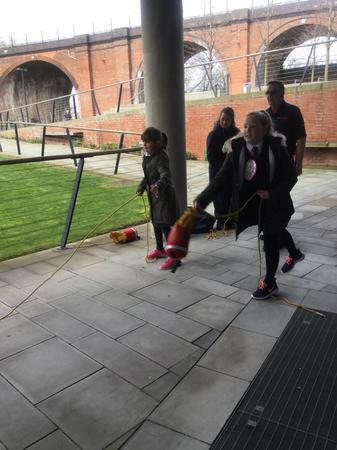 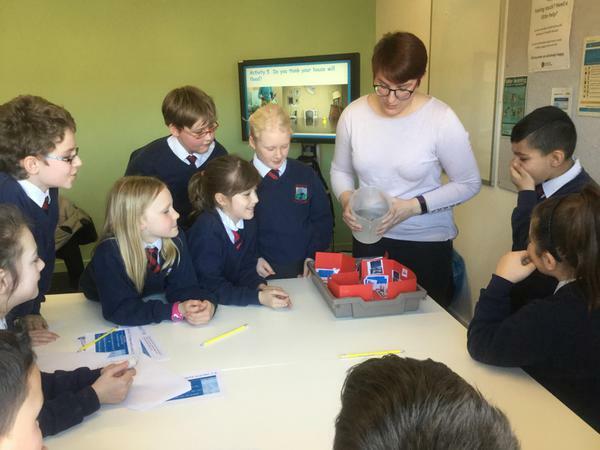 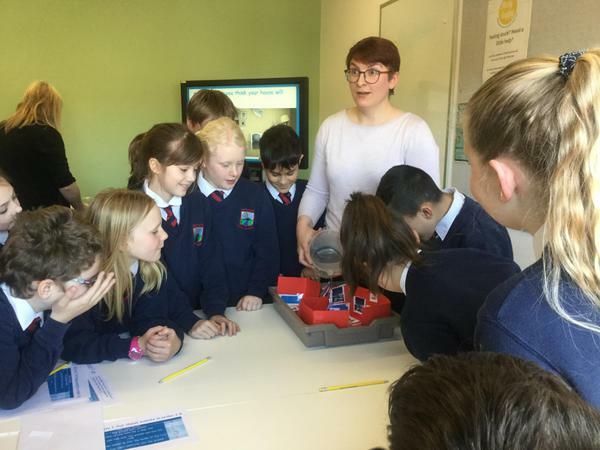 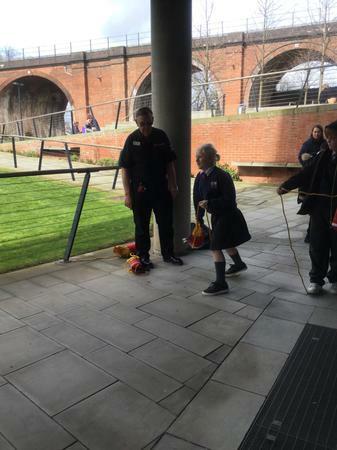 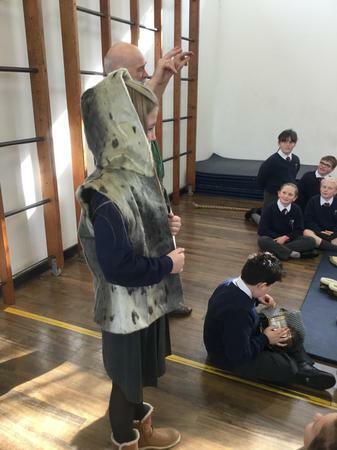 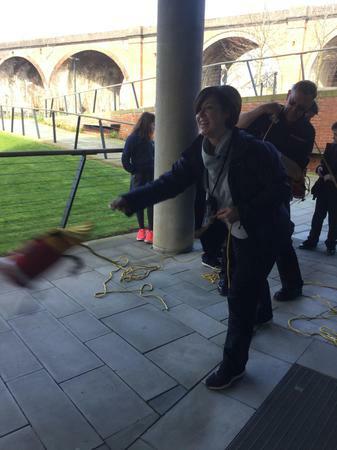 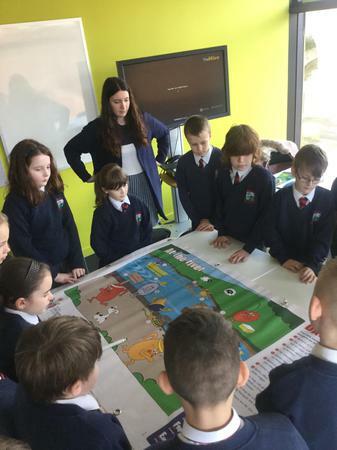 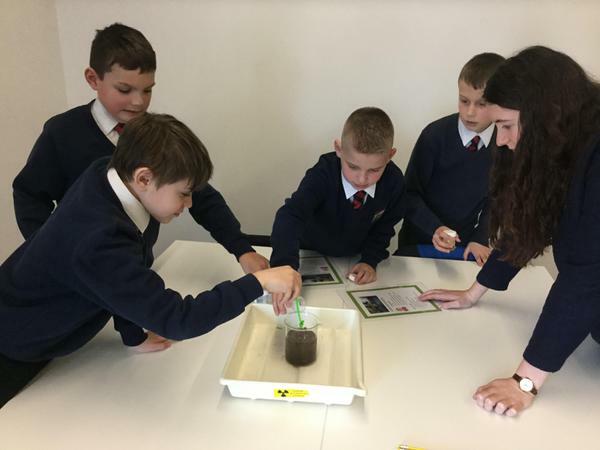 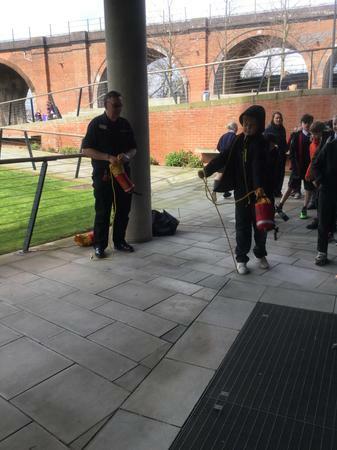 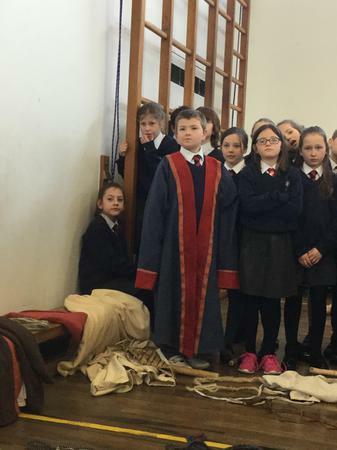 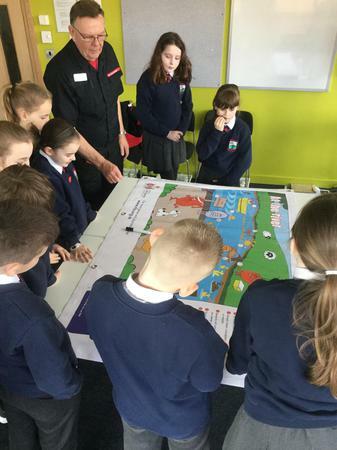 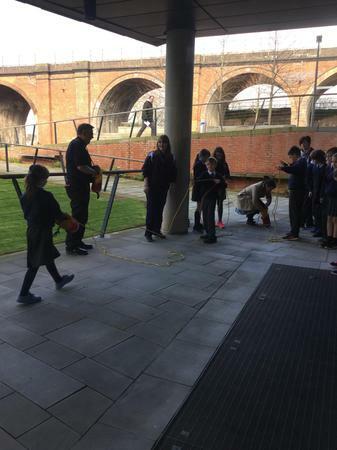 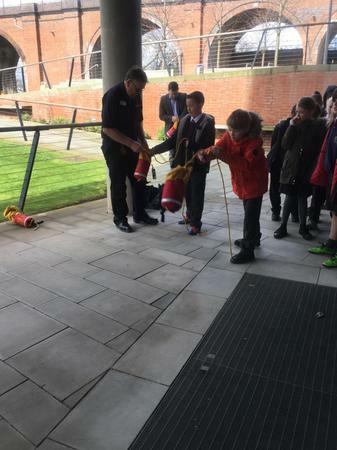 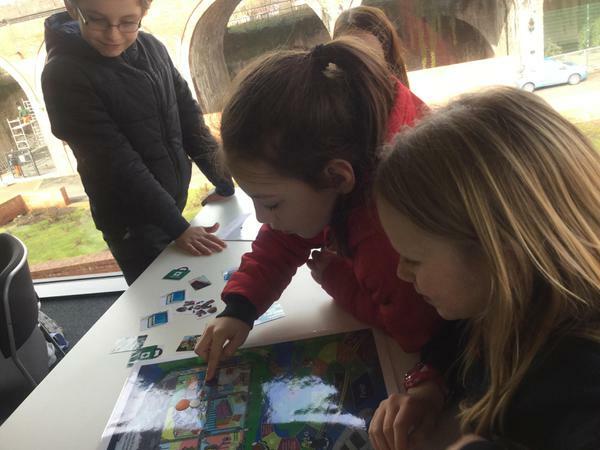 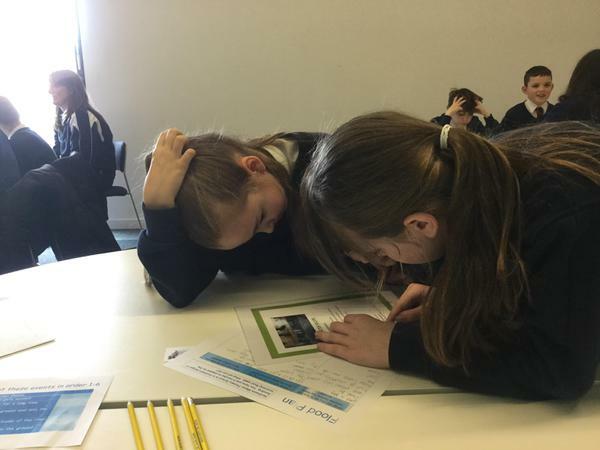 A selection of children from year 5 had the opportunity to learn about Floods in Worcester. 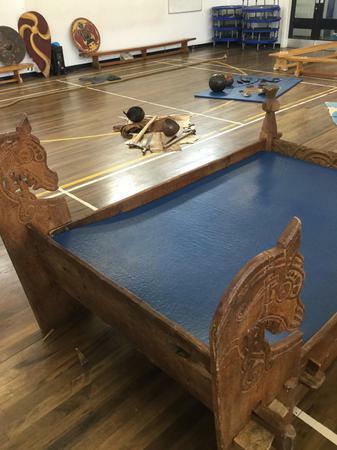 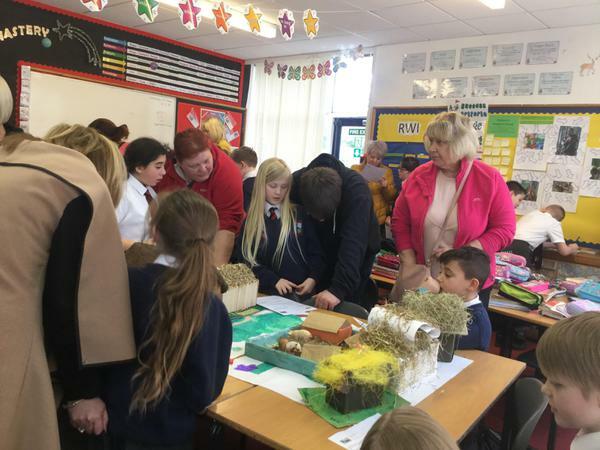 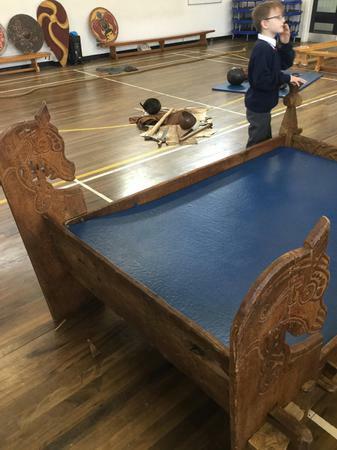 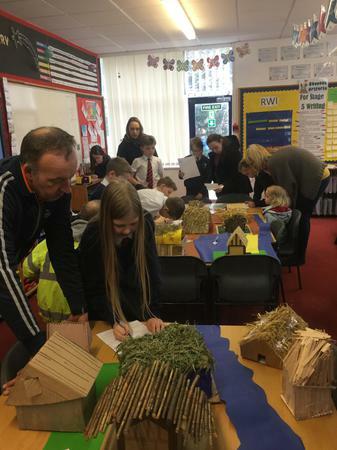 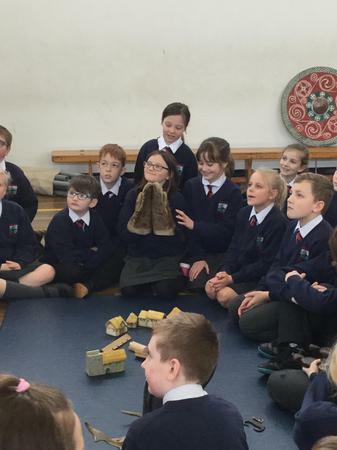 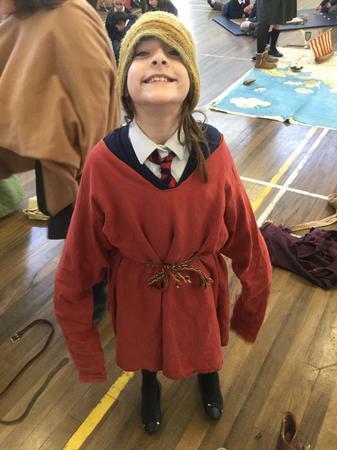 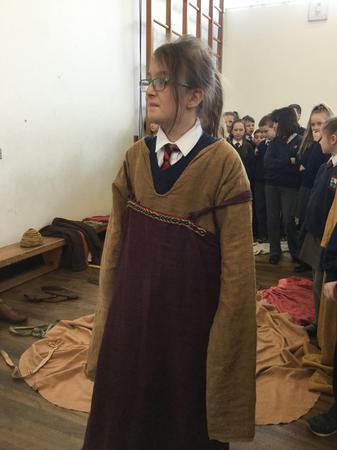 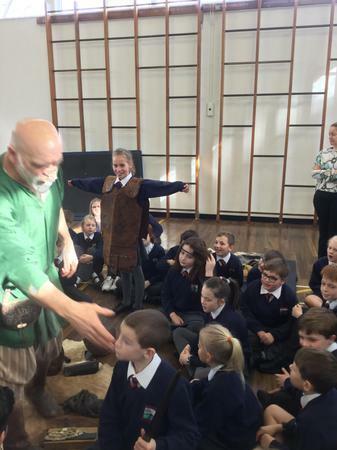 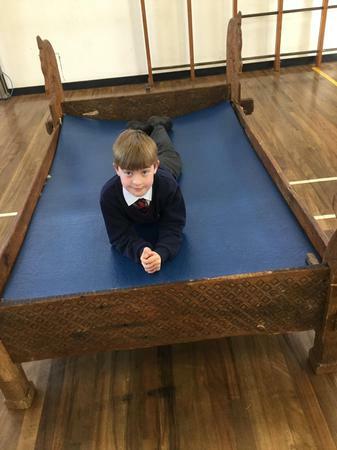 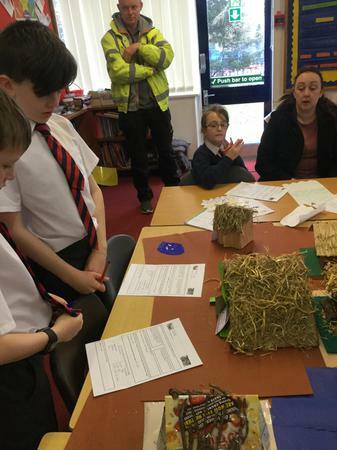 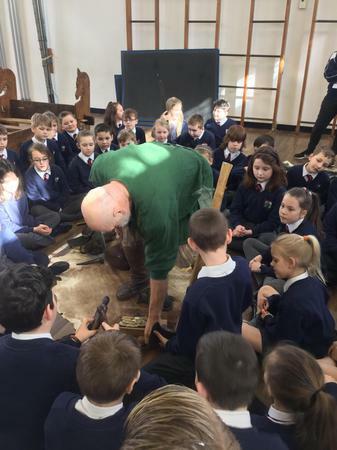 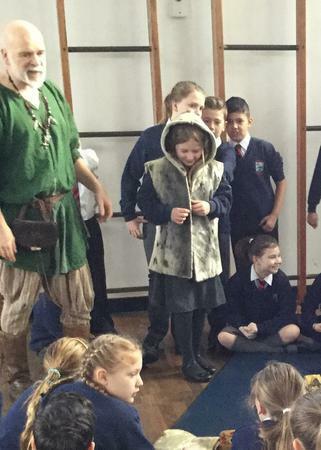 We would like to thank parents for supporting their children in making their Anglo-Saxon houses. 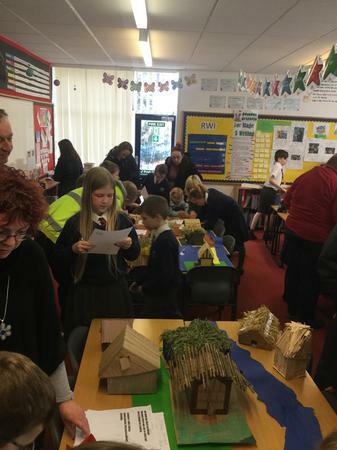 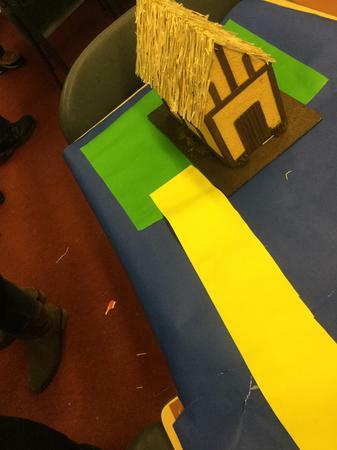 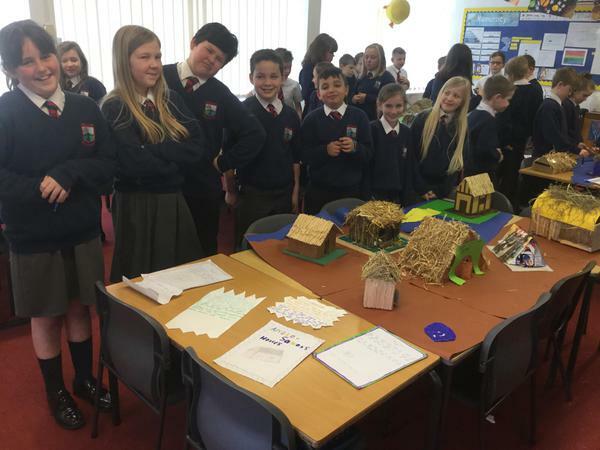 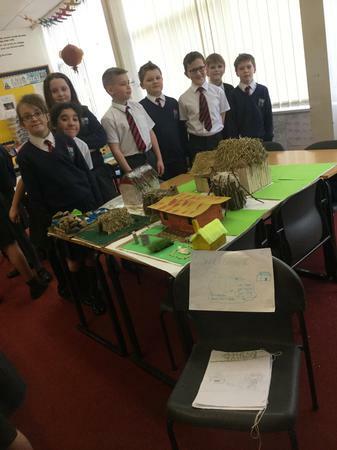 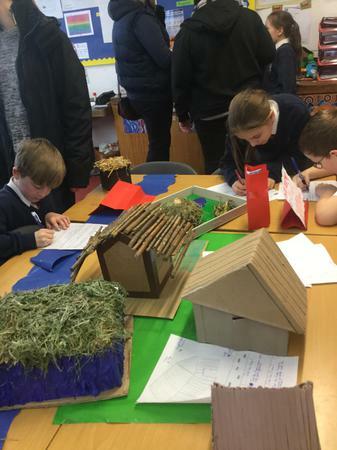 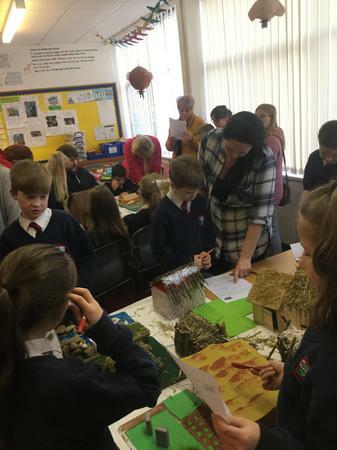 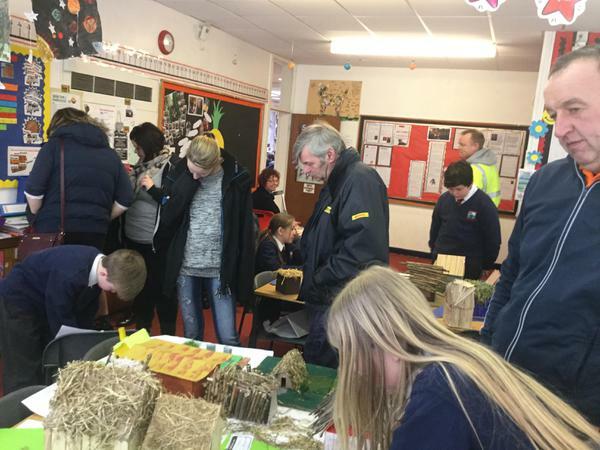 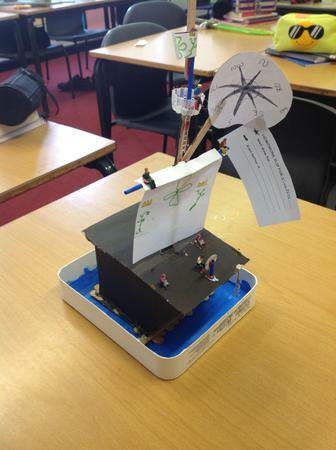 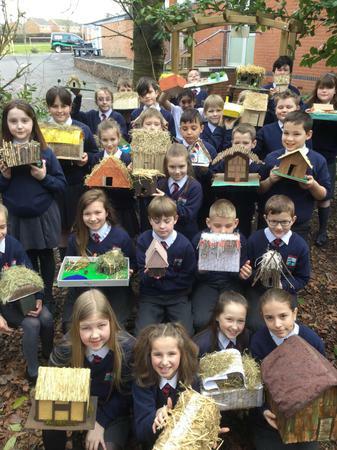 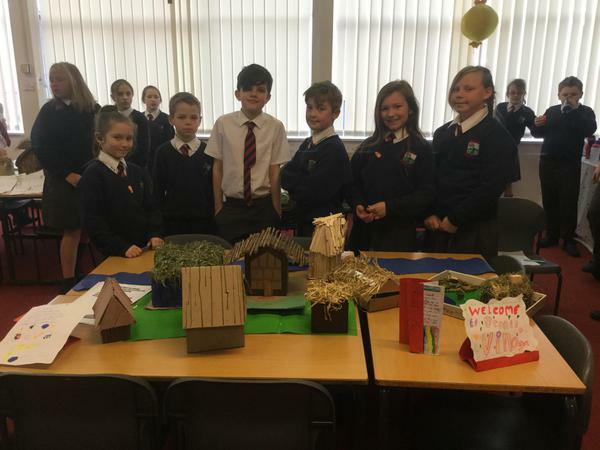 Each class split into houses to create their own villages based on research. 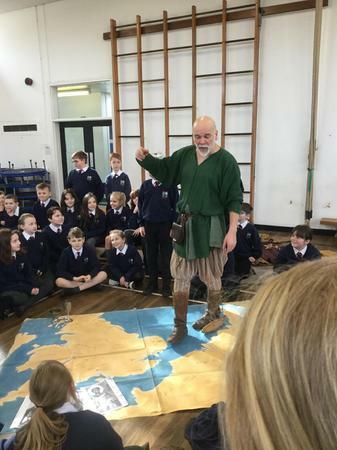 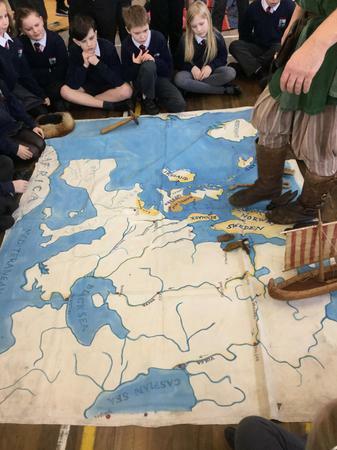 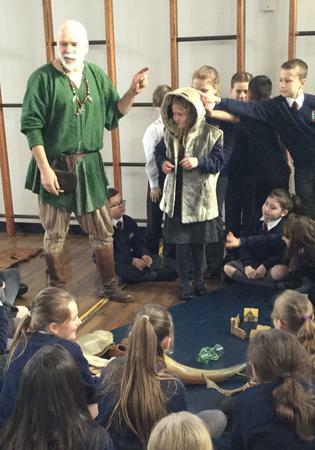 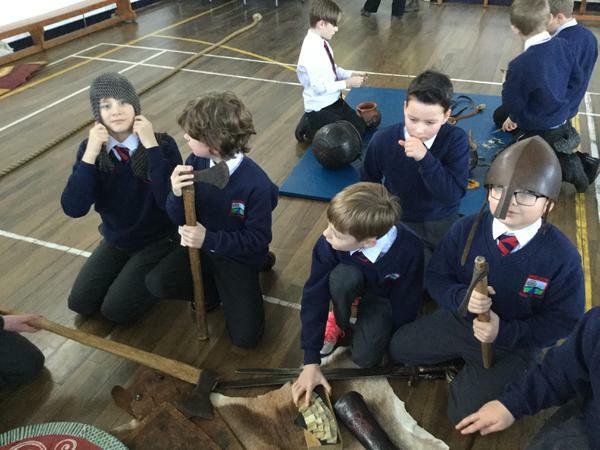 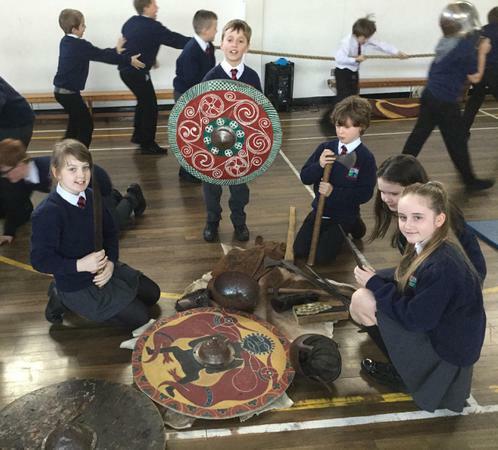 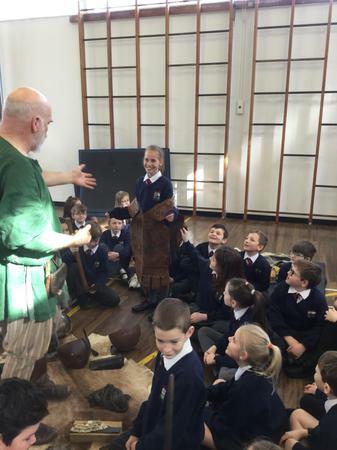 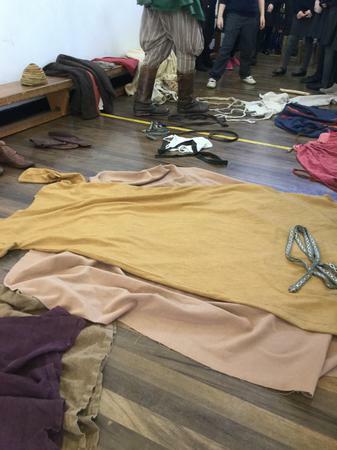 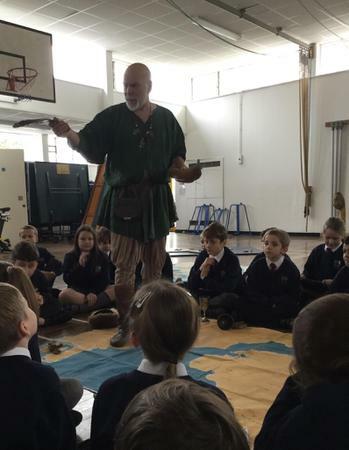 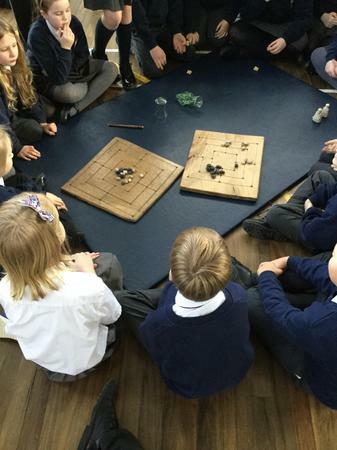 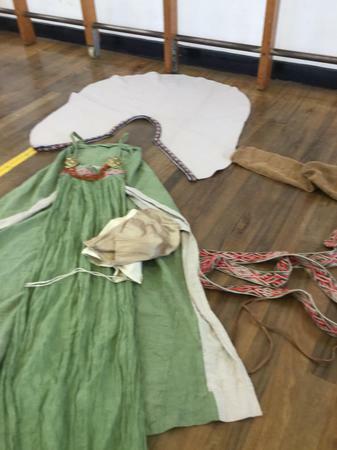 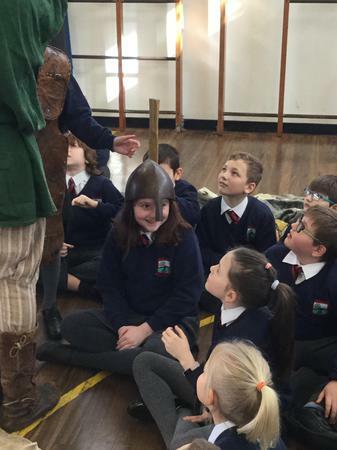 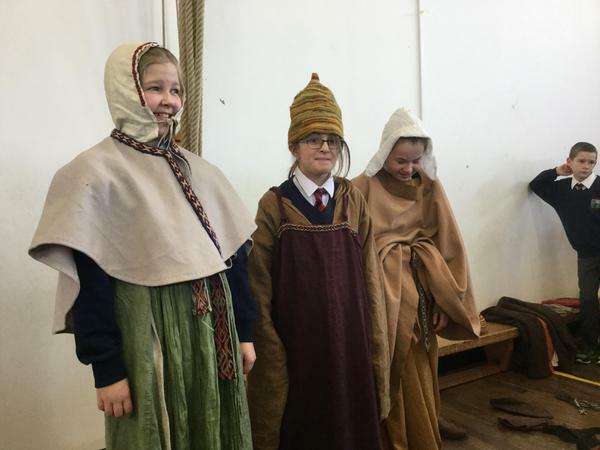 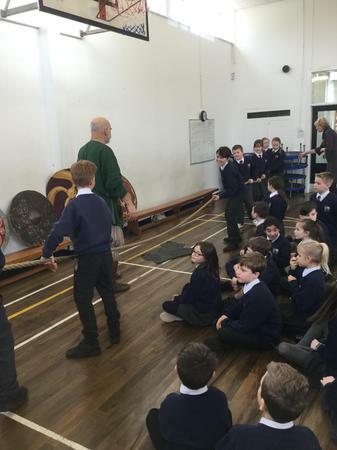 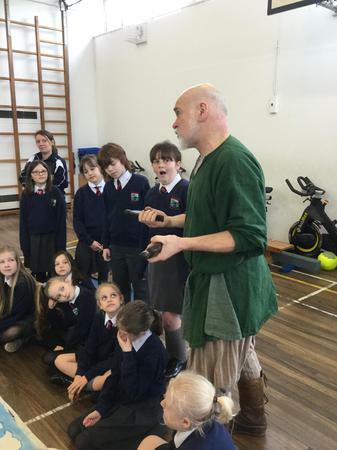 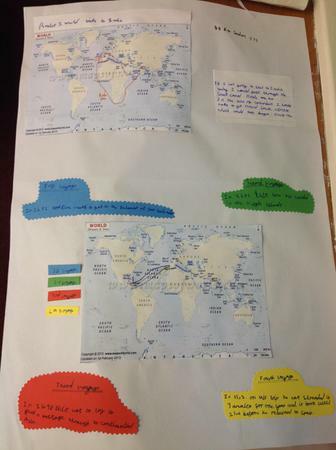 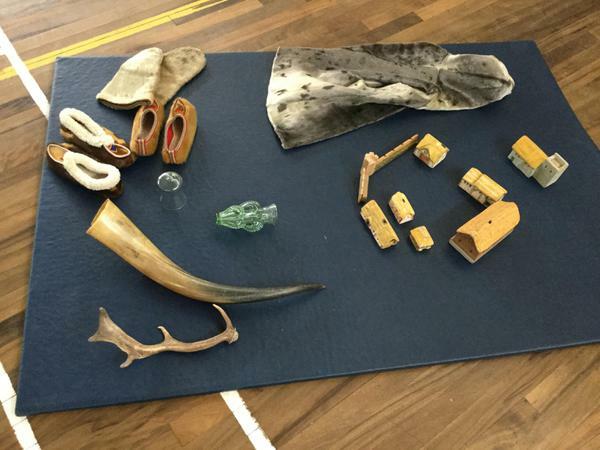 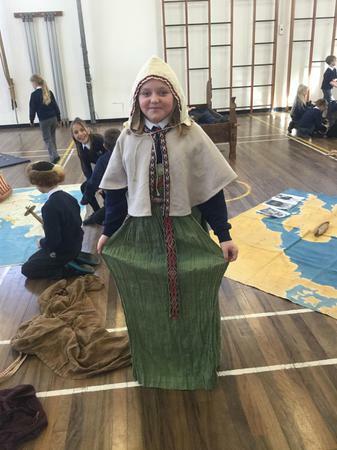 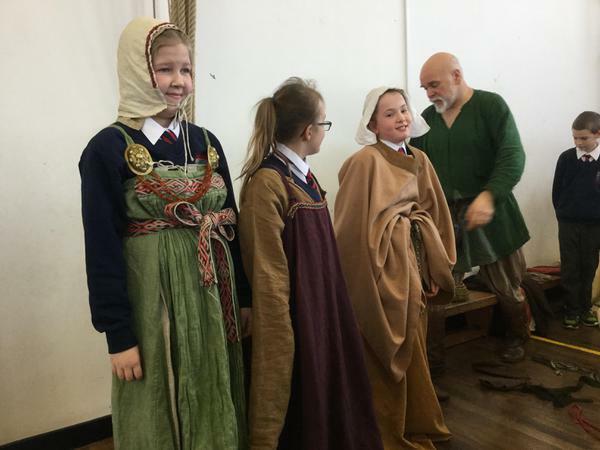 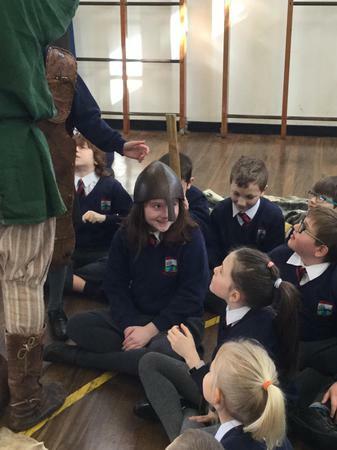 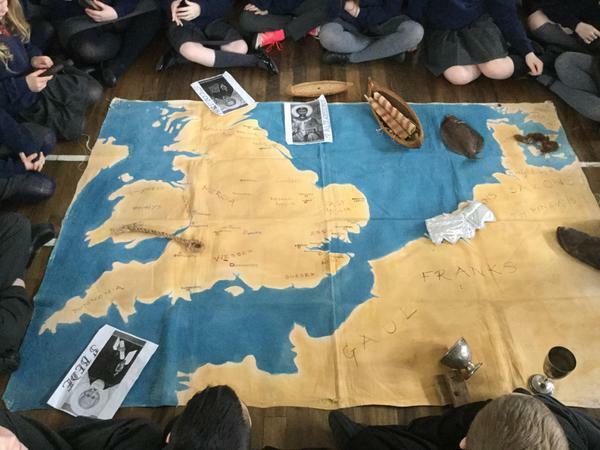 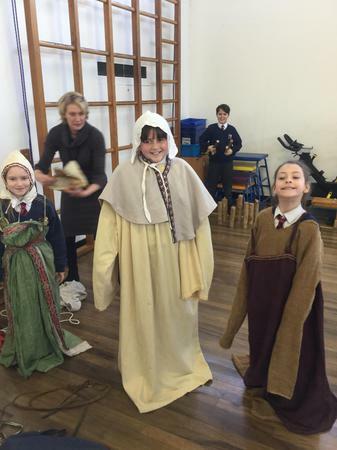 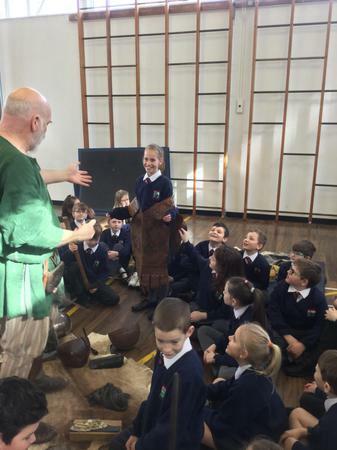 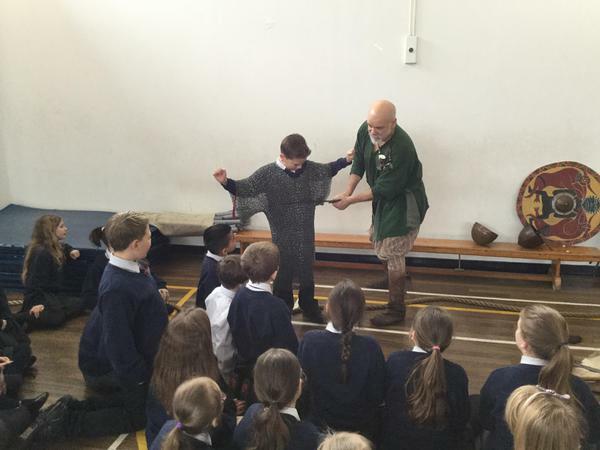 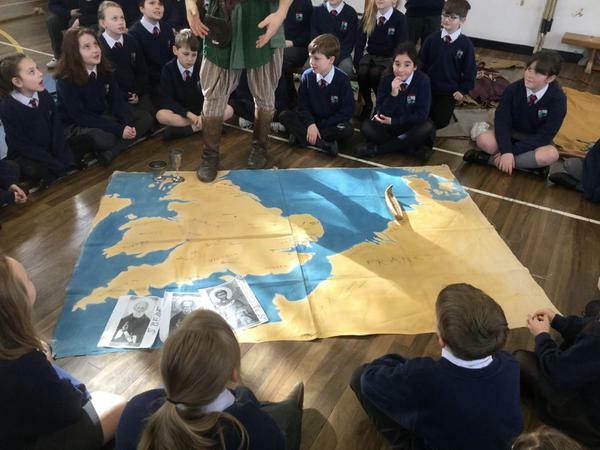 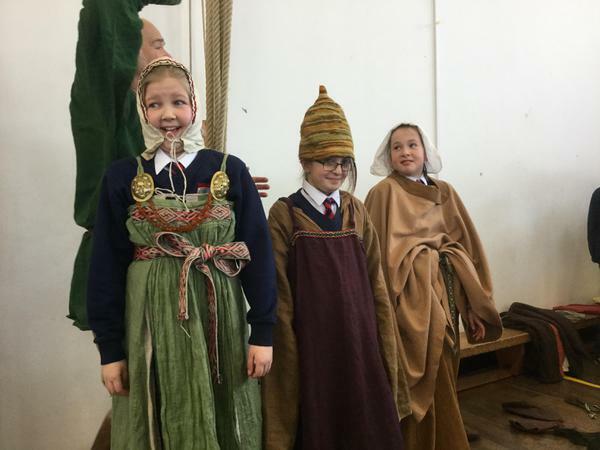 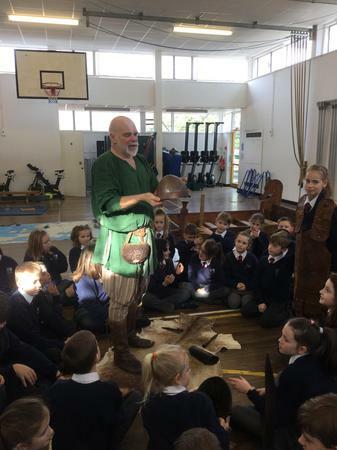 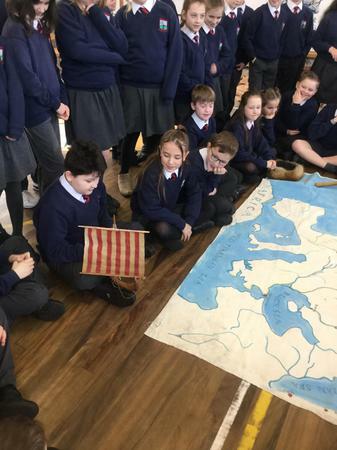 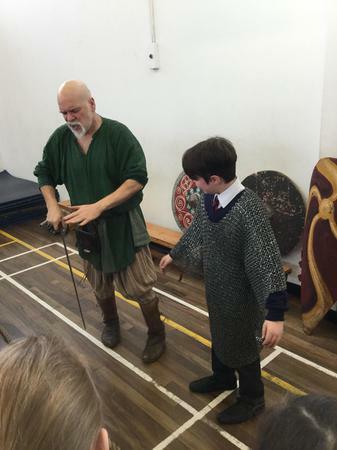 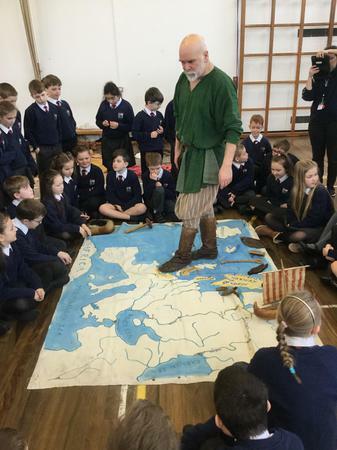 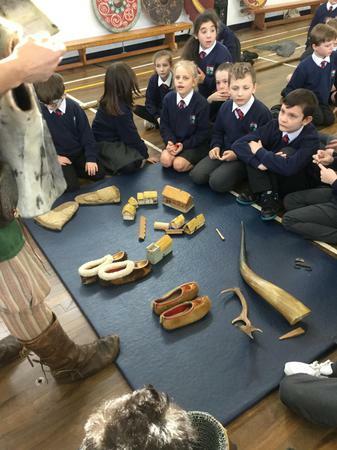 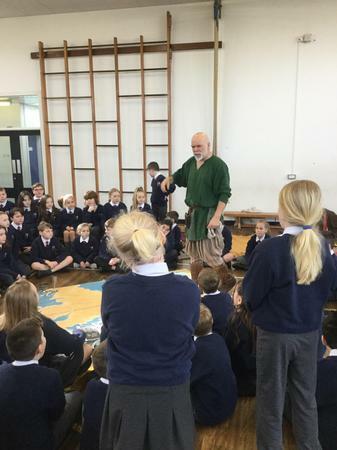 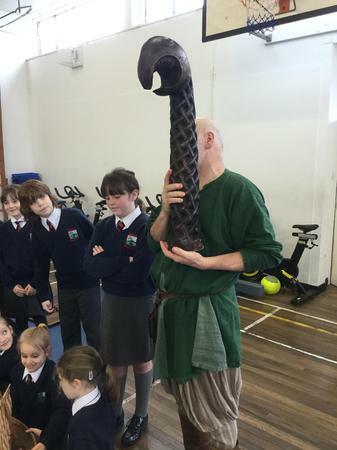 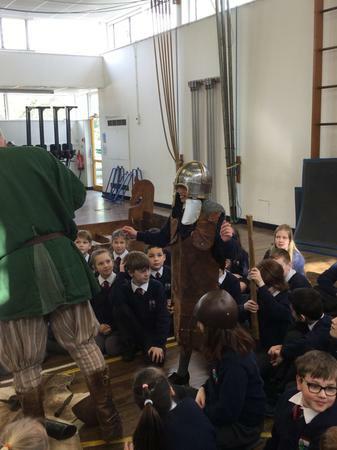 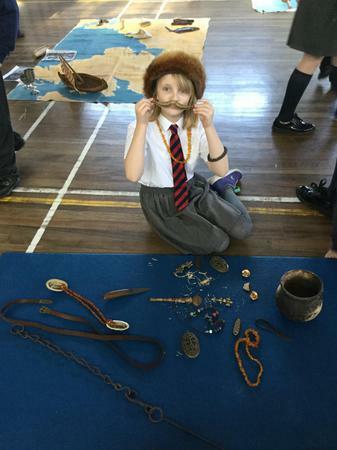 Groups then decided how to show what they had learnt about Anglo-Saxon life to share with parents. 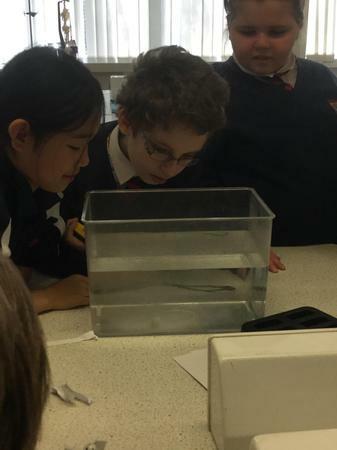 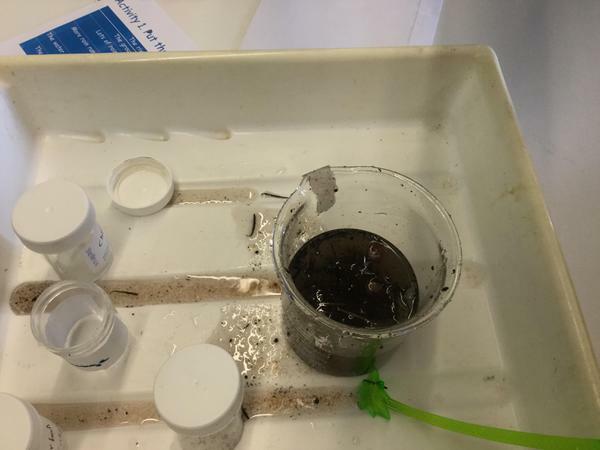 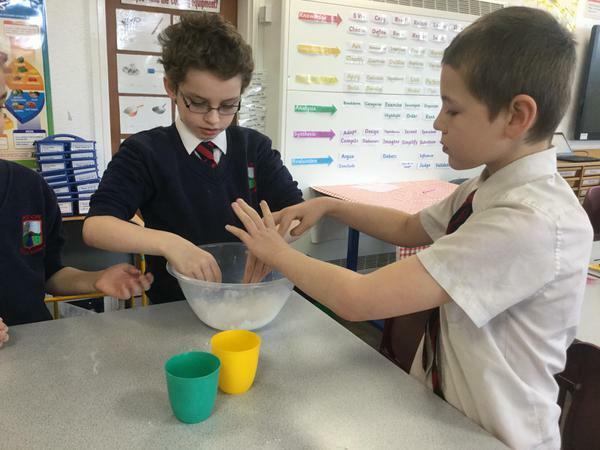 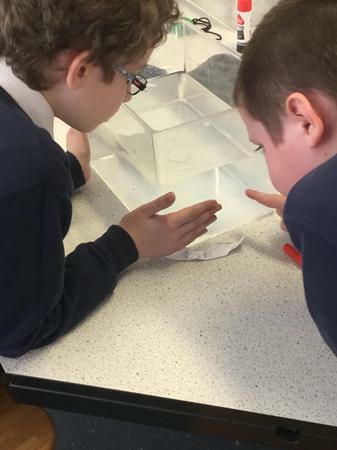 This week 5TS have been investigating dissolving in our science lessons. 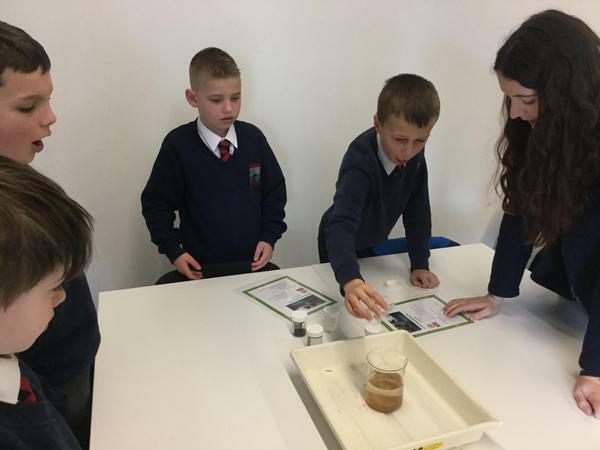 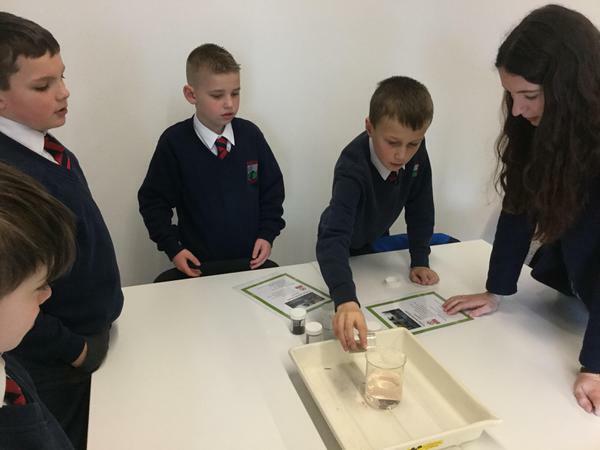 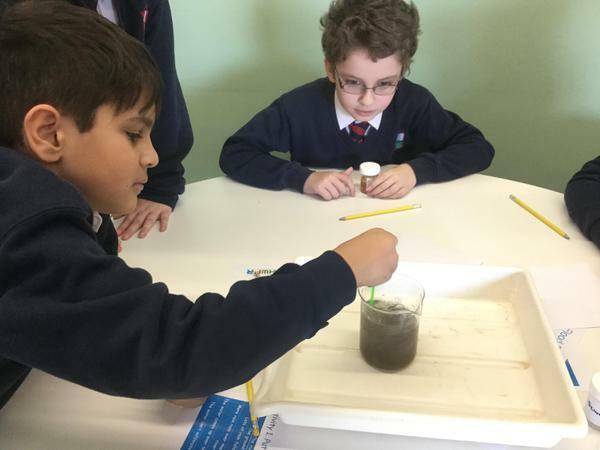 First, we developed an understanding of the concept of dissolving before testing different materials to see whether they were soluble or insoluble. 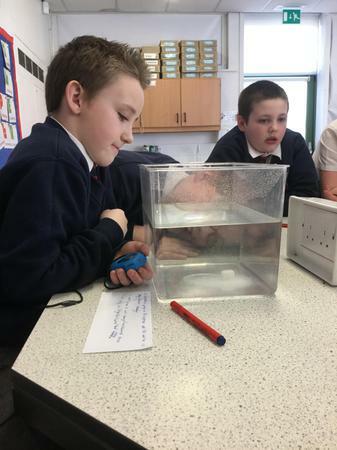 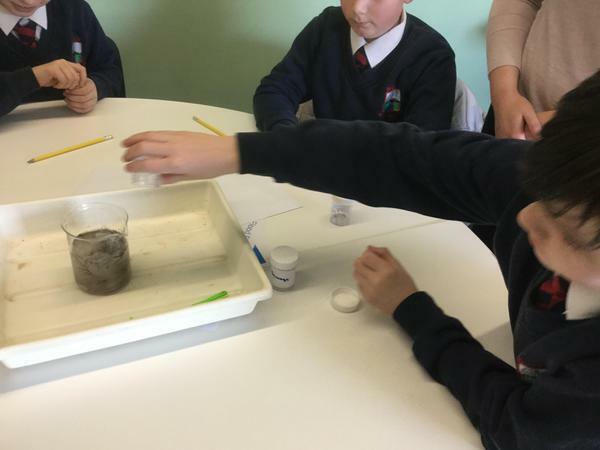 Following this we investigated whether the temperature of the water would affect the time it would take something to dissolve. 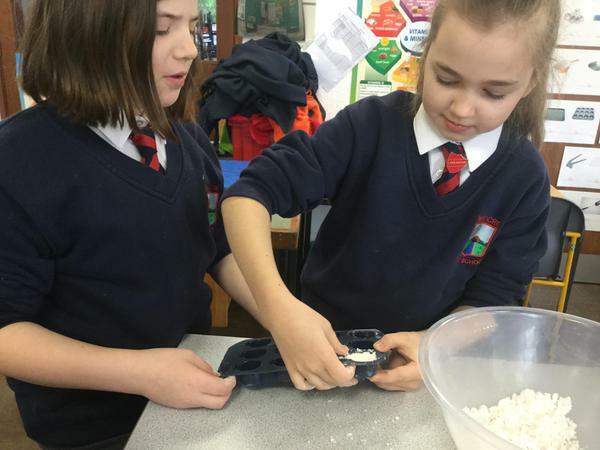 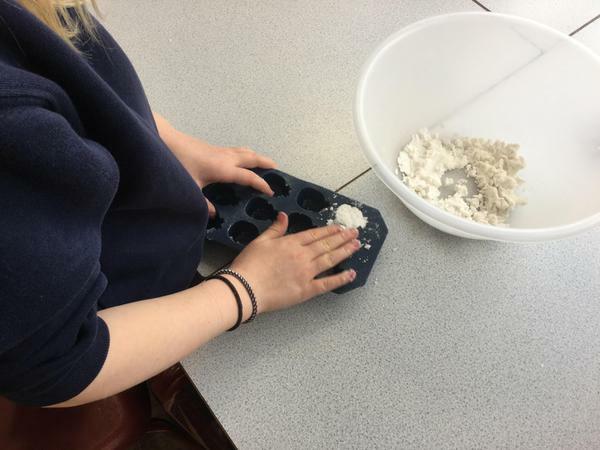 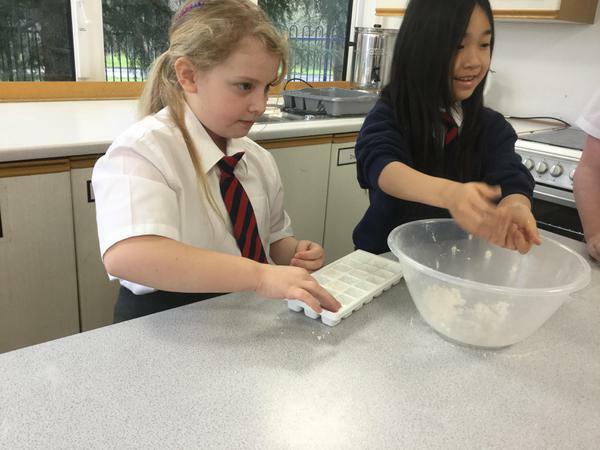 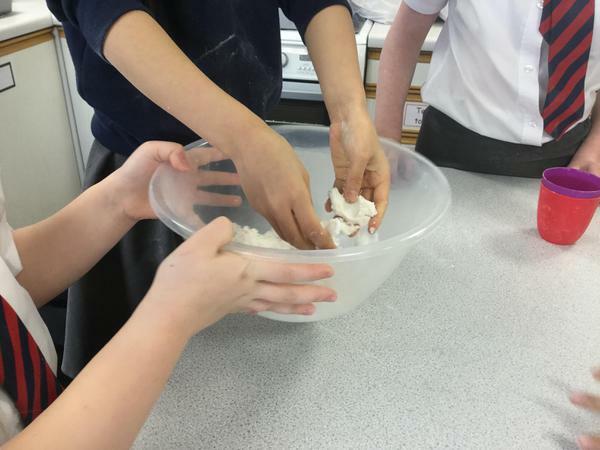 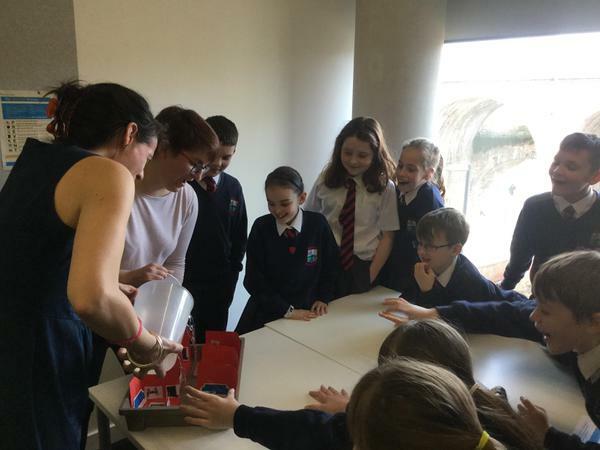 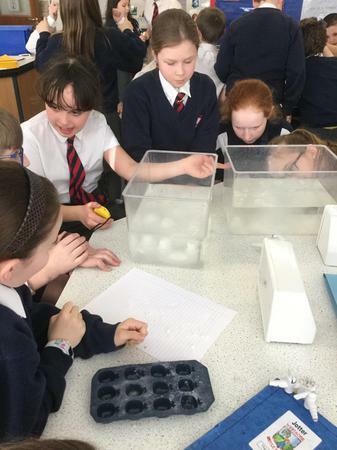 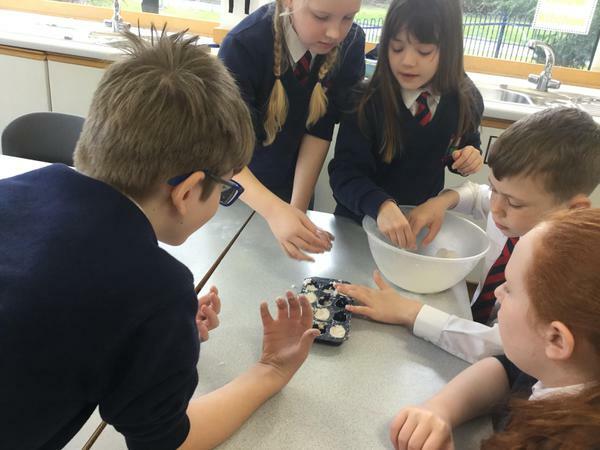 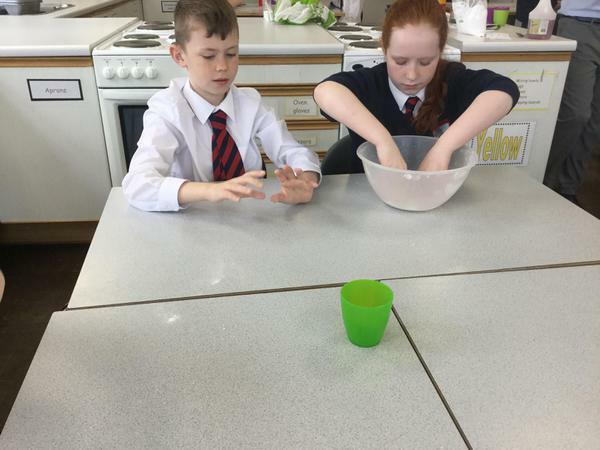 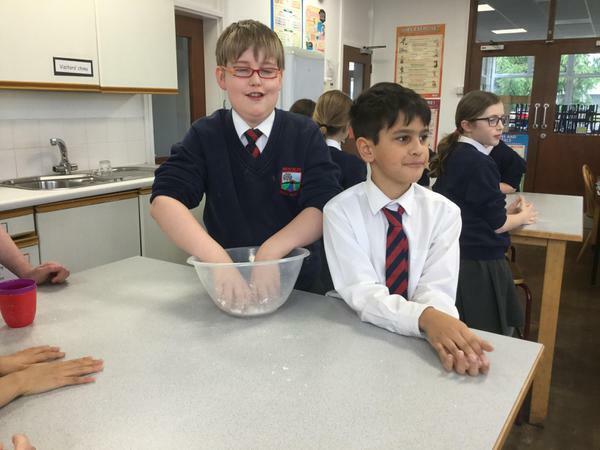 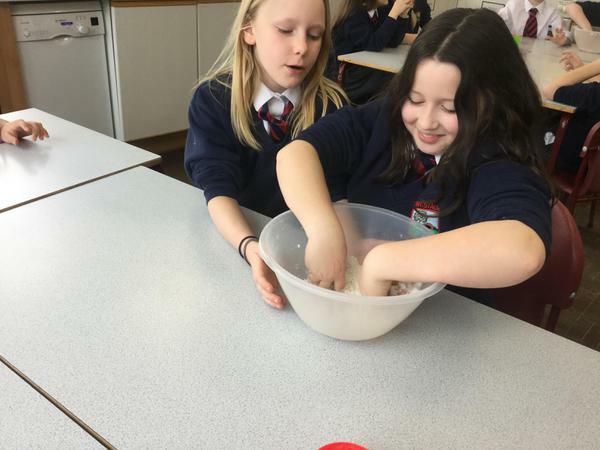 As part of this, we made our own bath bombs in the cookery room before testing them in the lab. 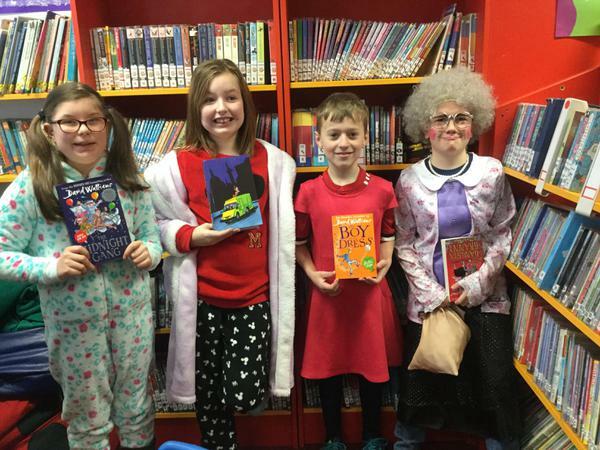 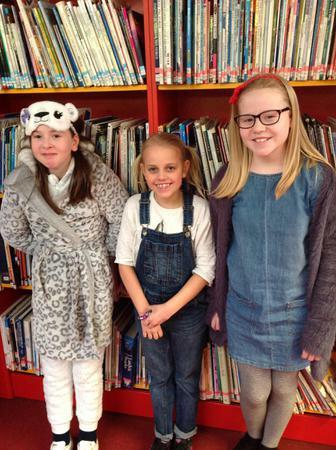 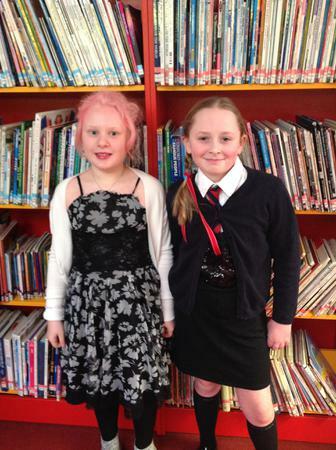 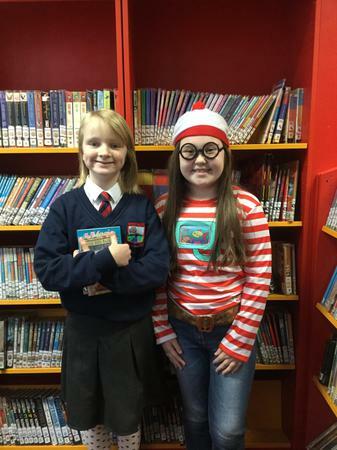 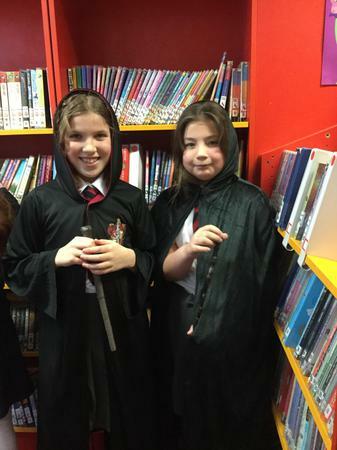 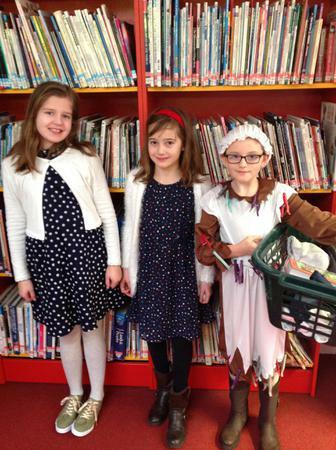 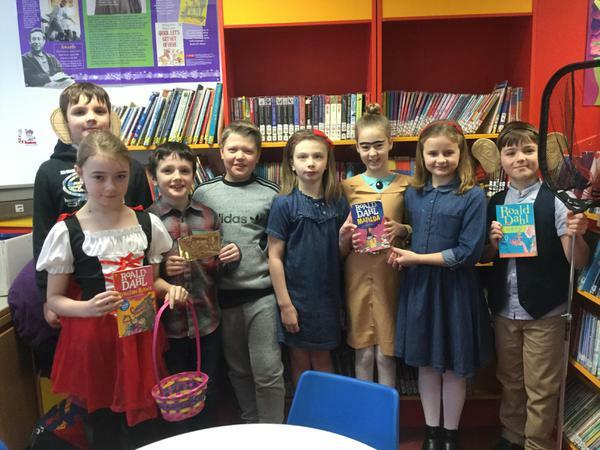 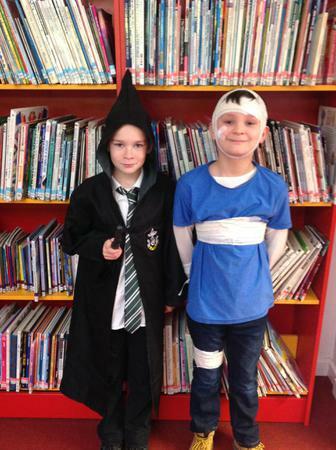 5LW's super World Book Day costumes! 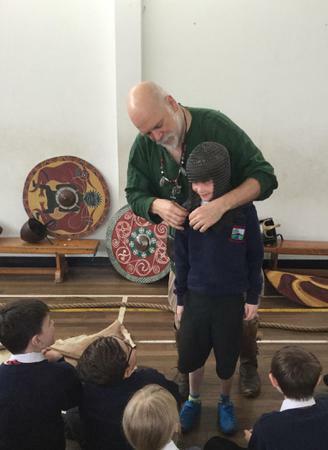 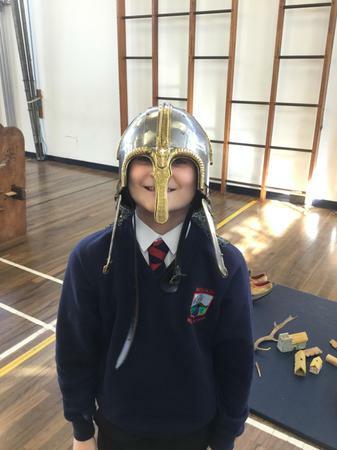 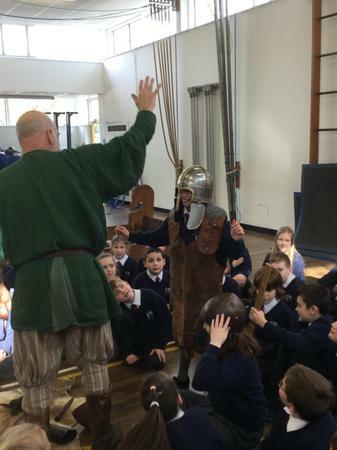 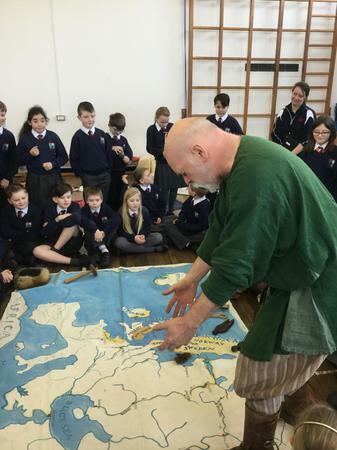 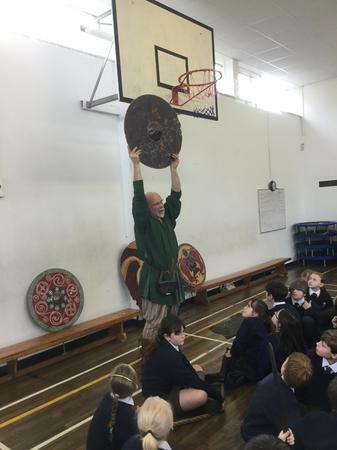 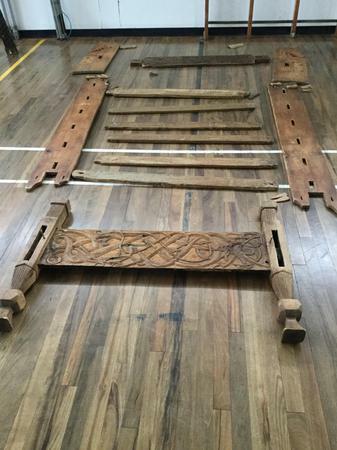 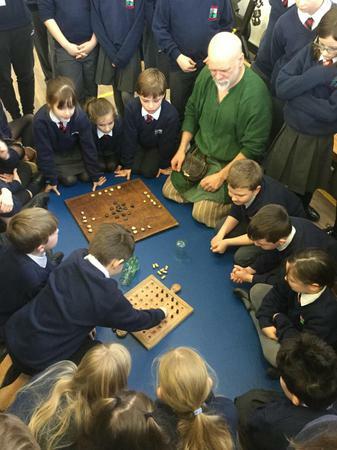 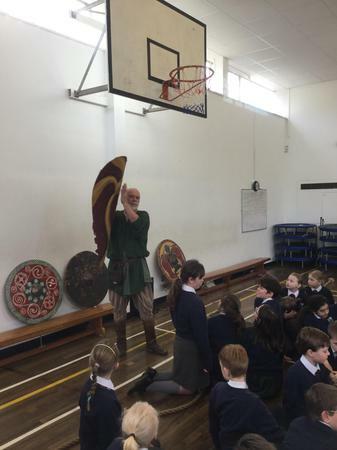 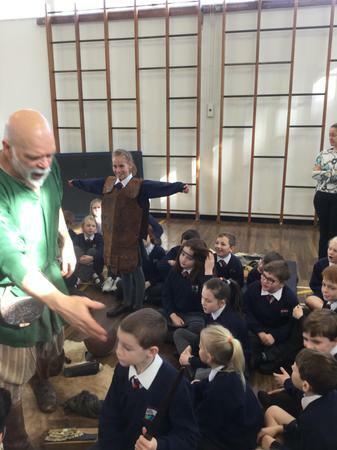 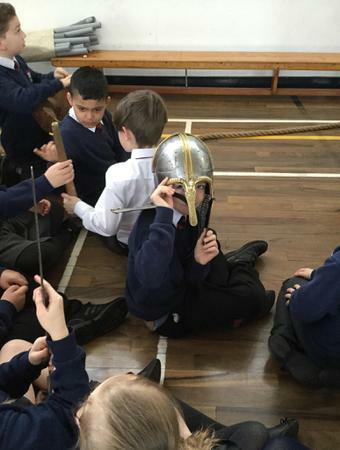 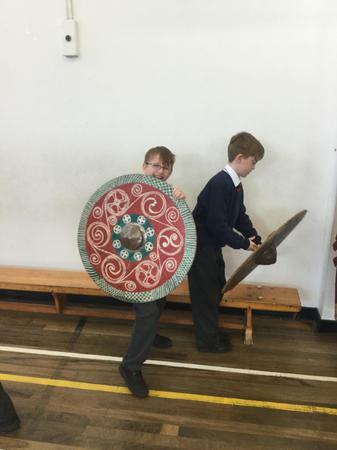 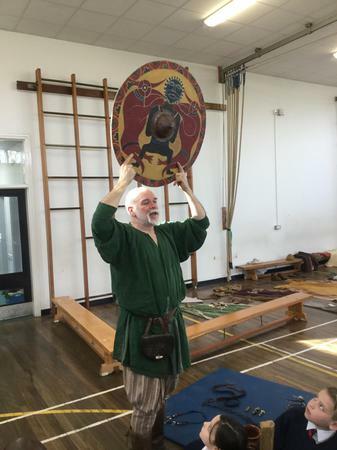 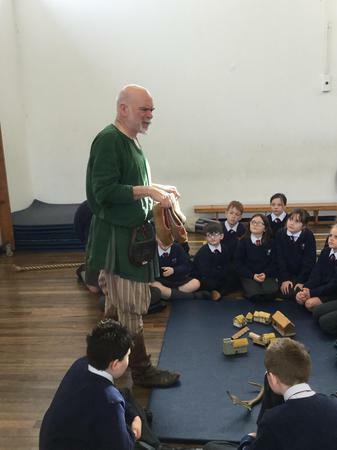 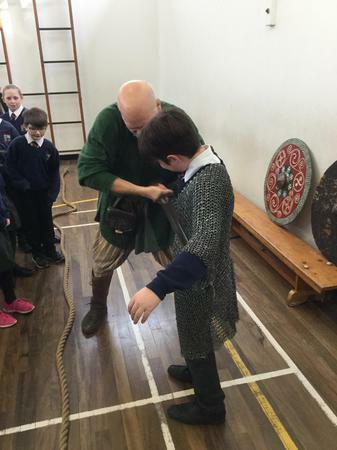 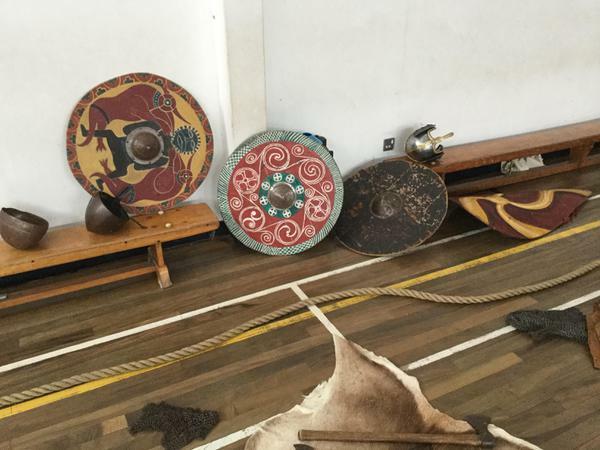 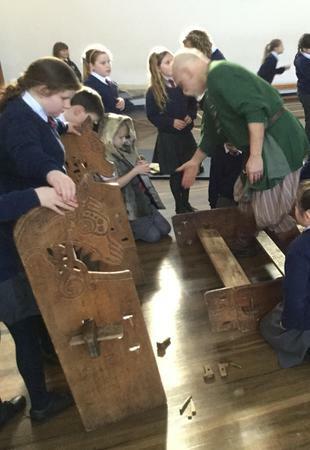 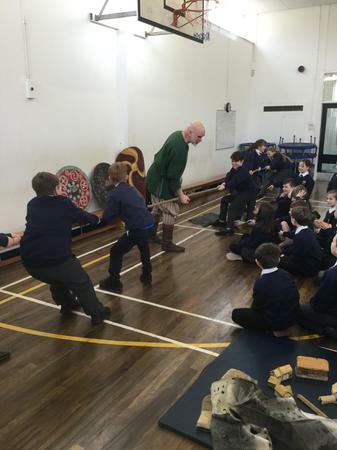 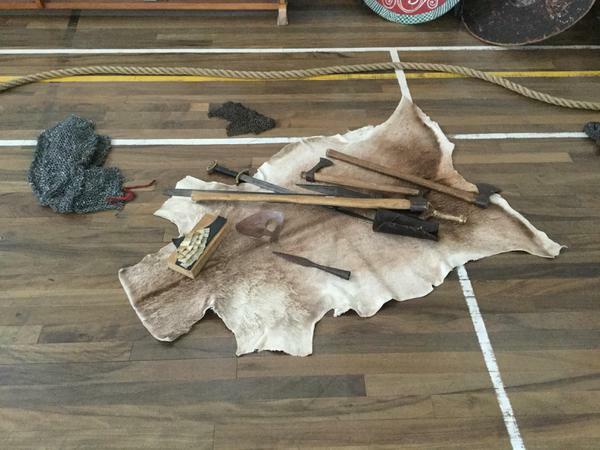 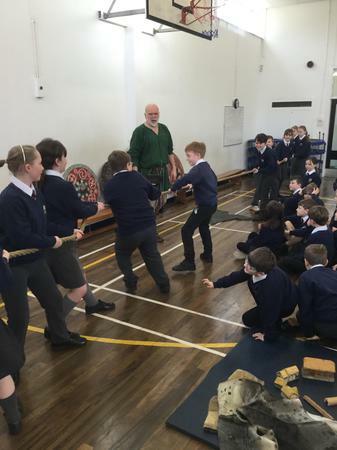 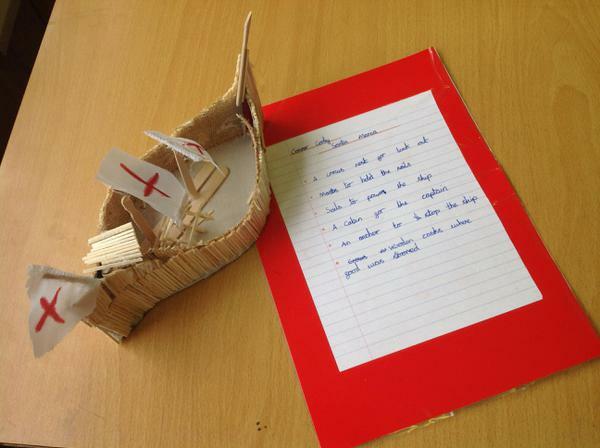 Over the half term holiday, we would like you to make an Anglo-Saxon building. 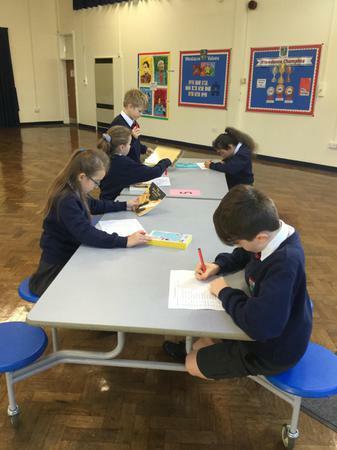 Please find below a copy of the letter that was sent home with all the details. 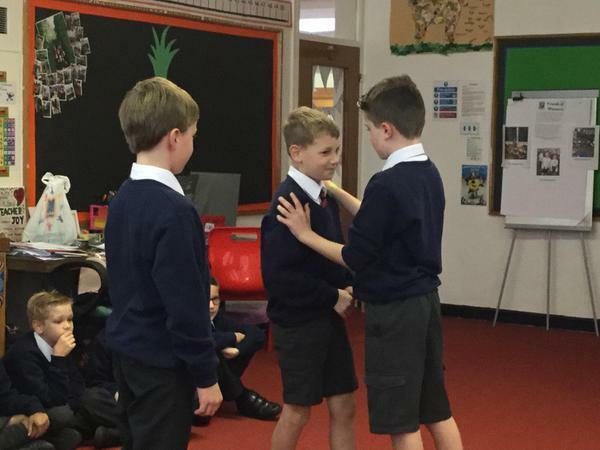 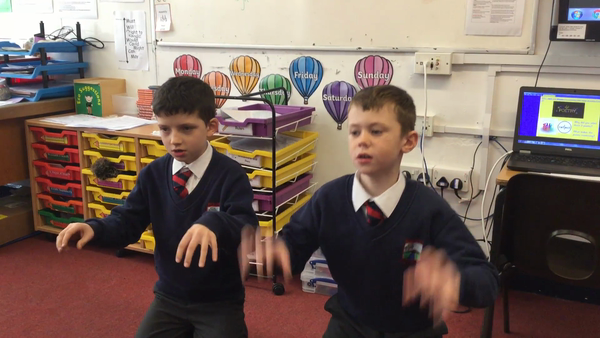 In Year 5, children rehearsed and performed poems to their class adding in actions and thinking carefully about dynamics and intonation. 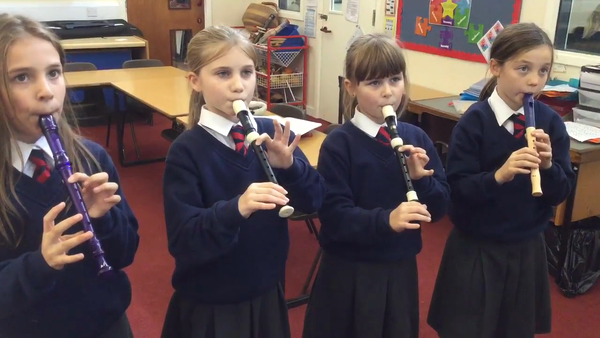 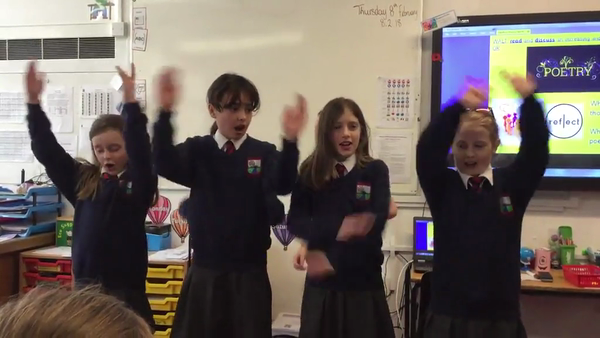 Here are 5TS performing, I'm sure you'd agree they did a fantastic job! 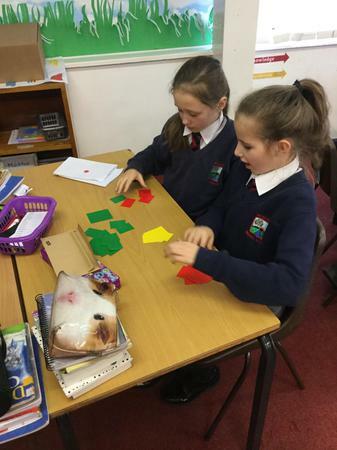 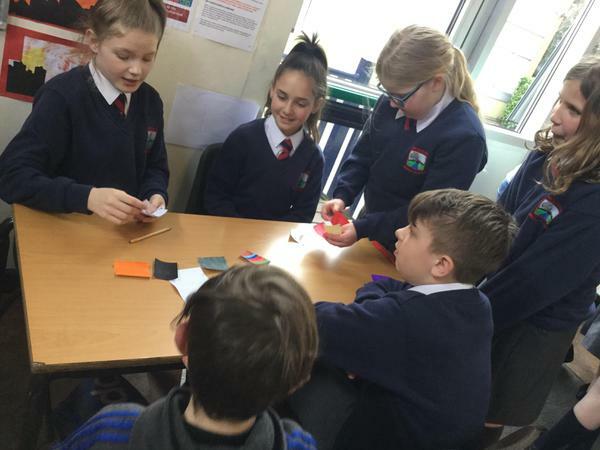 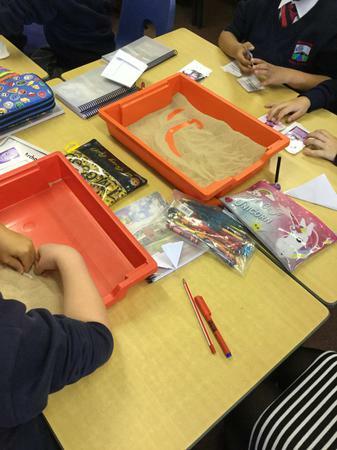 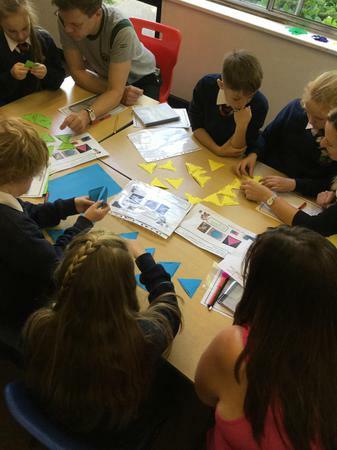 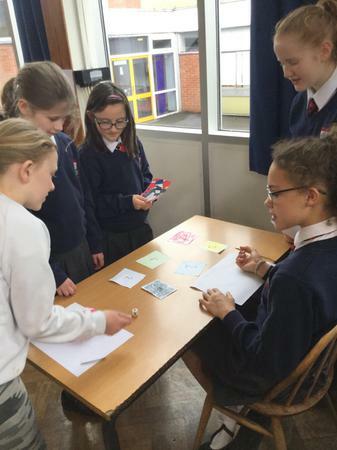 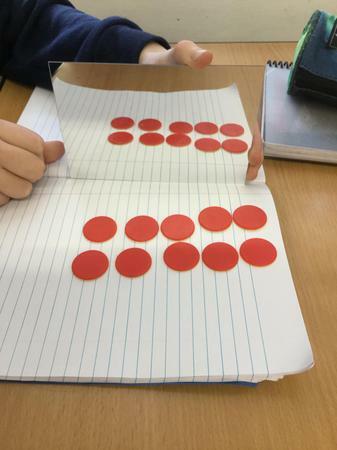 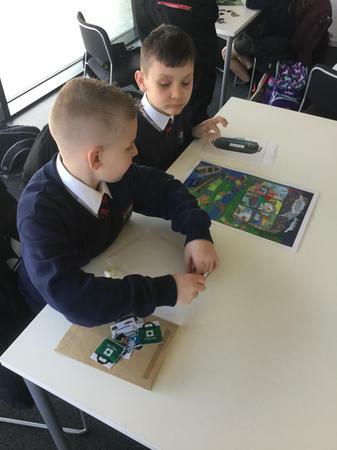 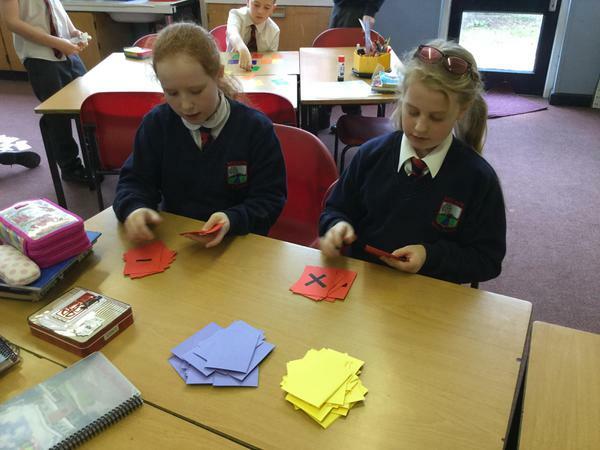 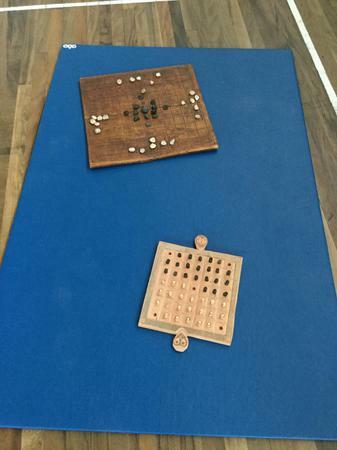 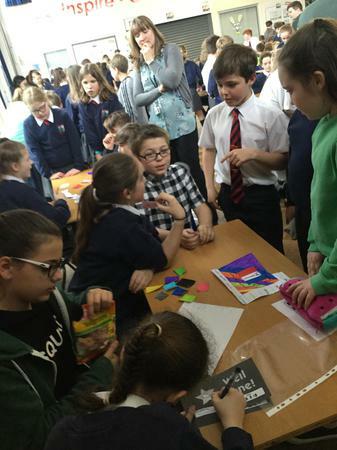 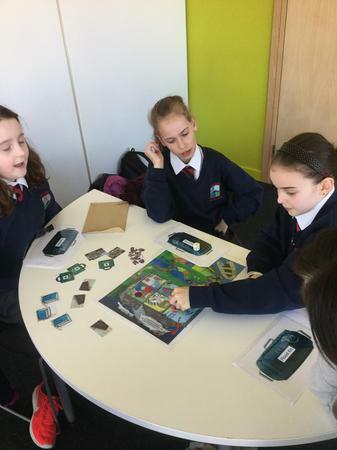 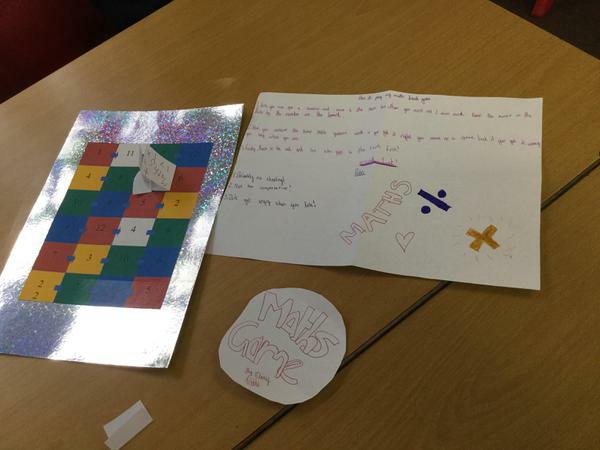 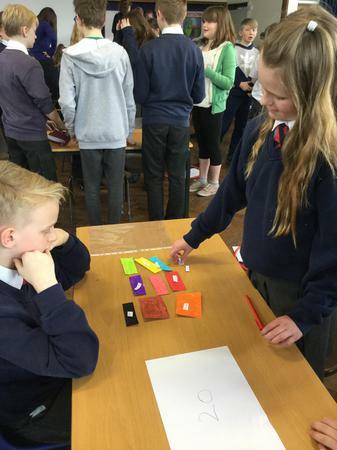 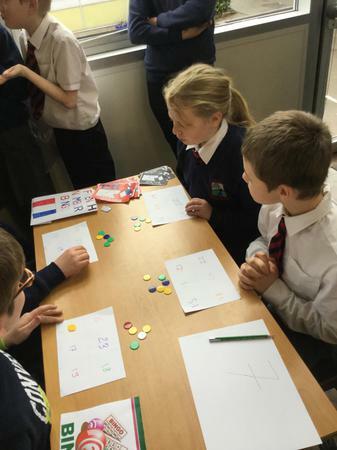 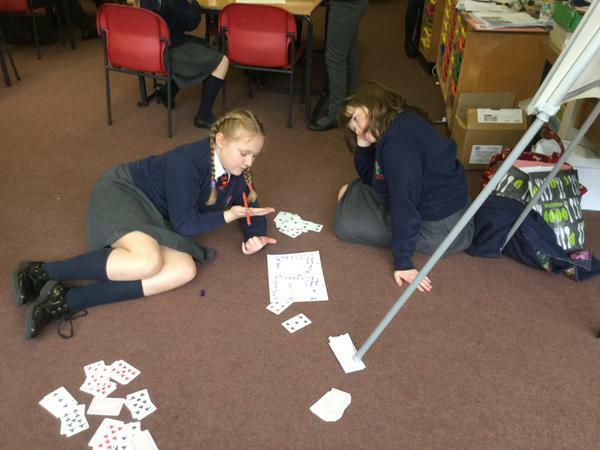 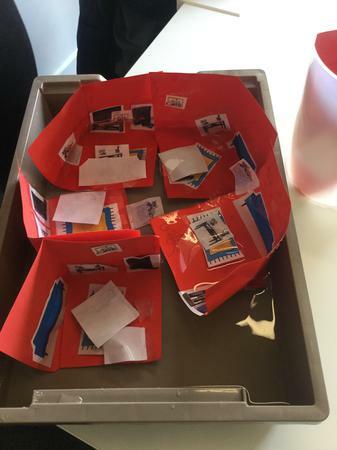 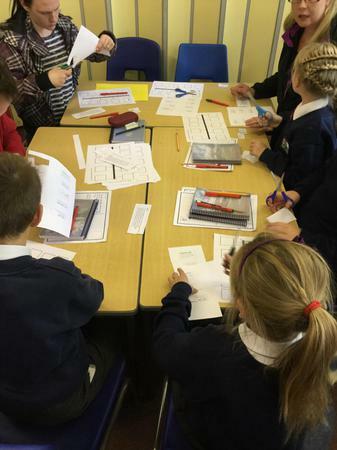 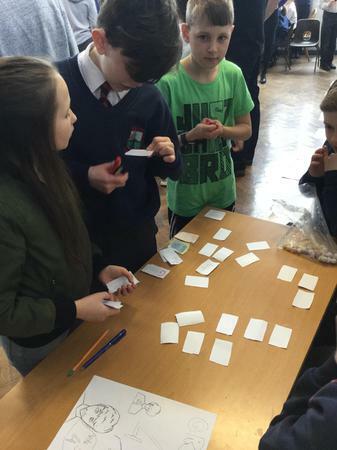 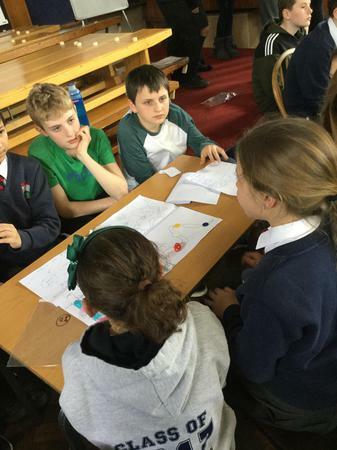 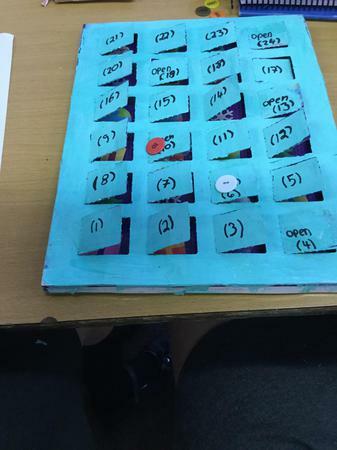 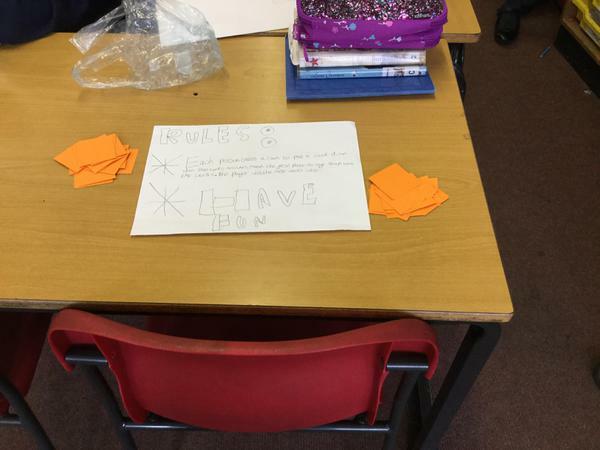 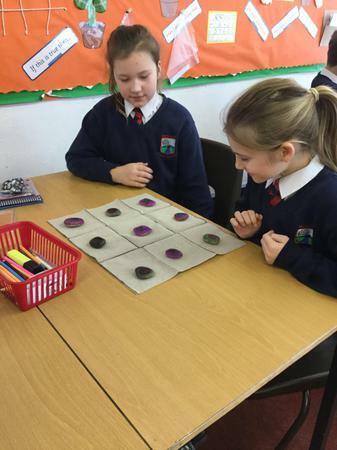 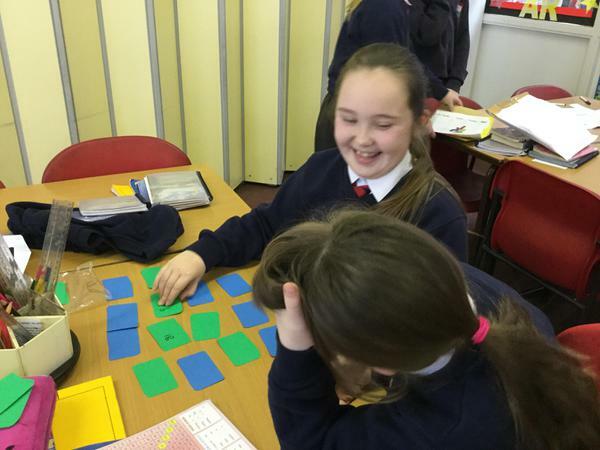 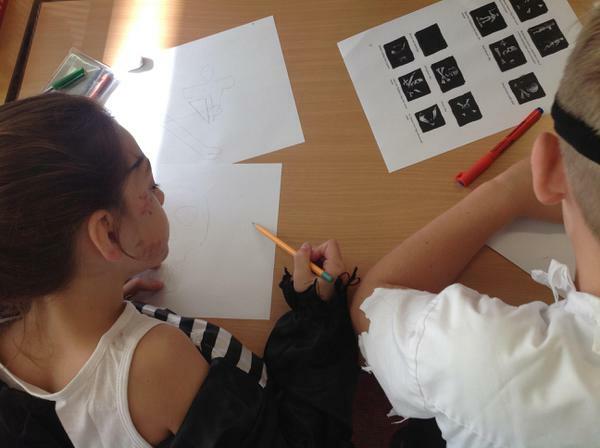 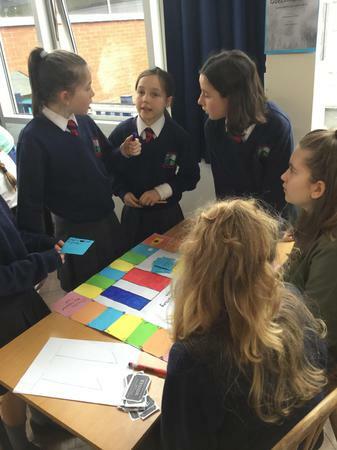 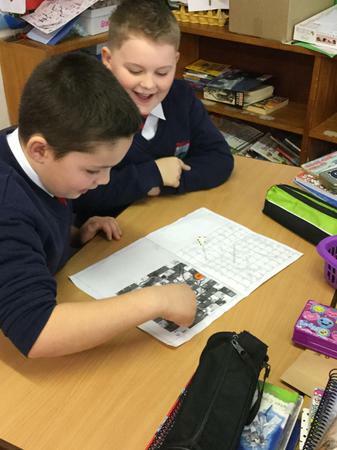 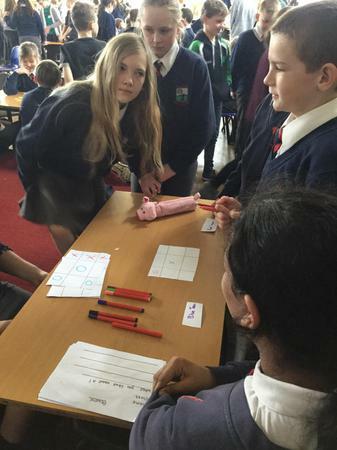 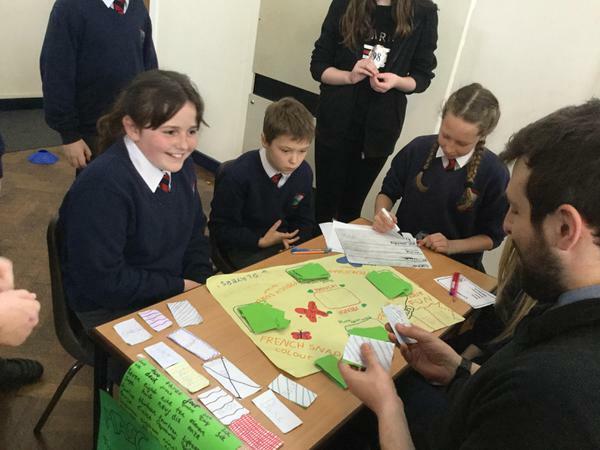 For No Pens Day, children in Year 5 were asked to create Maths board games with a focus on multiplication and division. 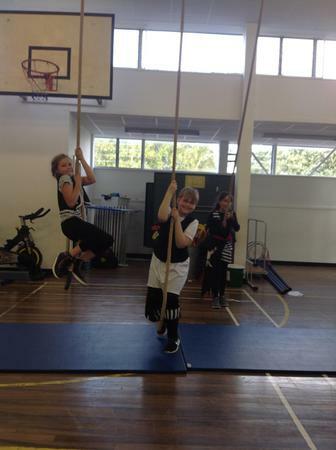 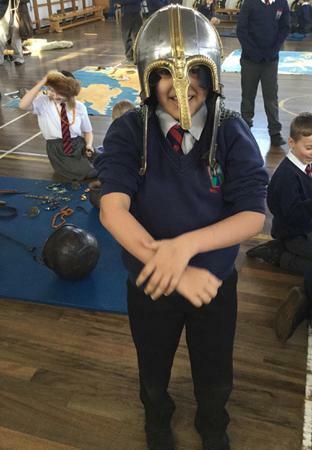 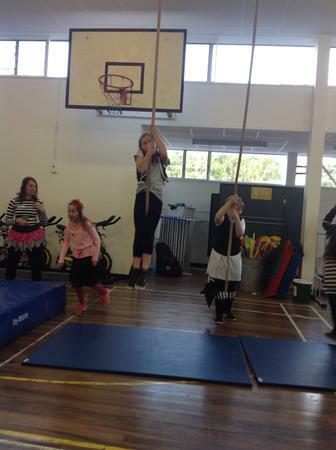 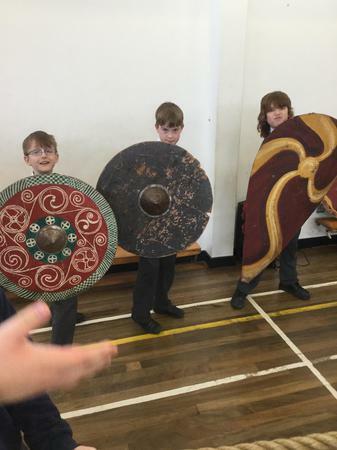 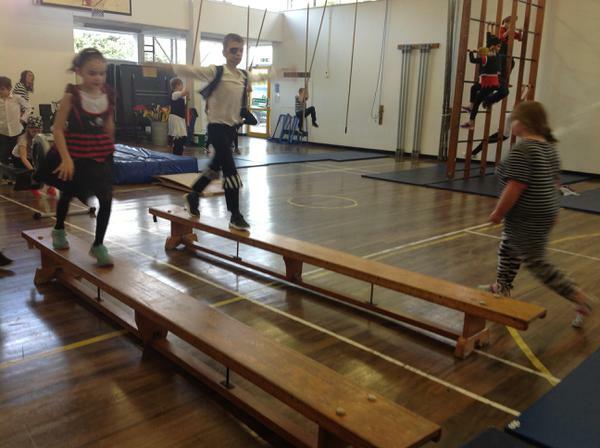 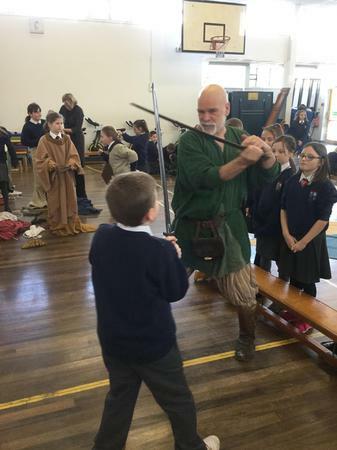 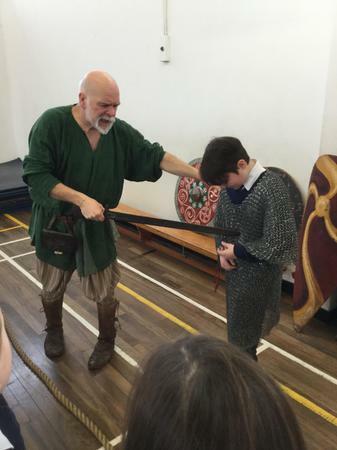 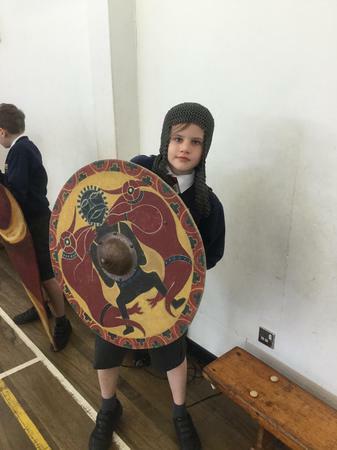 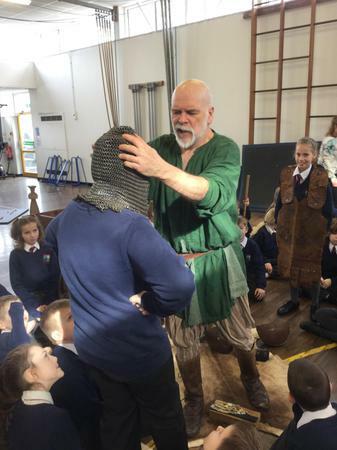 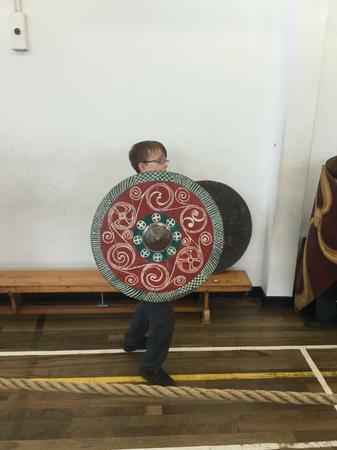 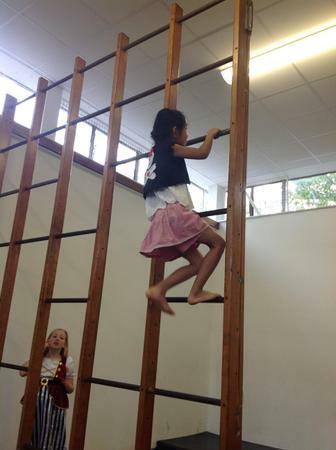 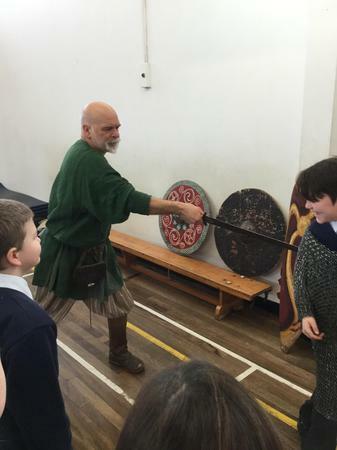 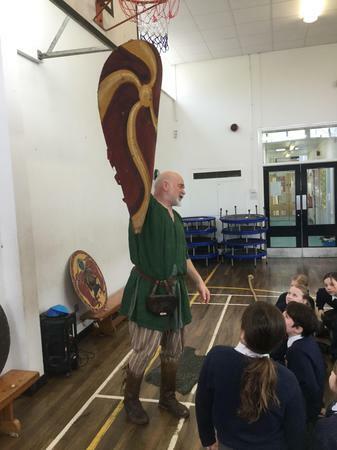 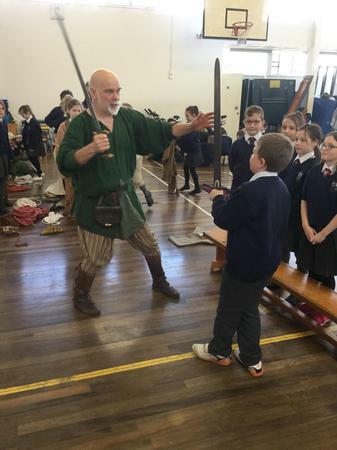 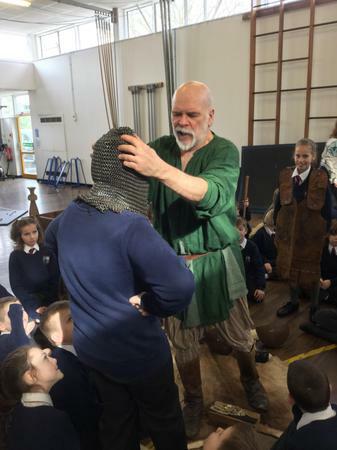 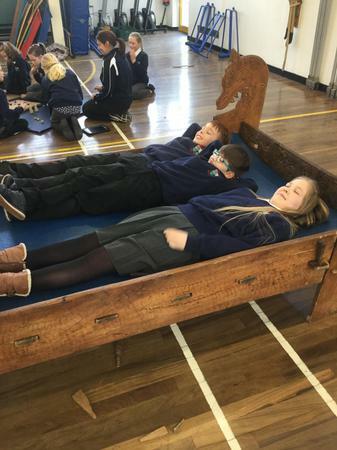 As you can see, the children had great fun trying them out! 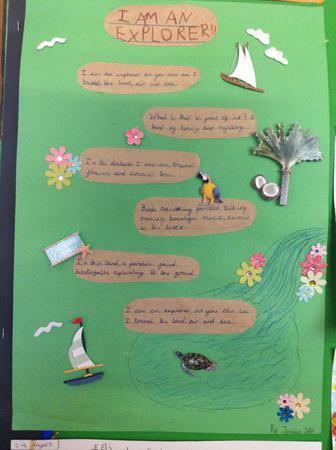 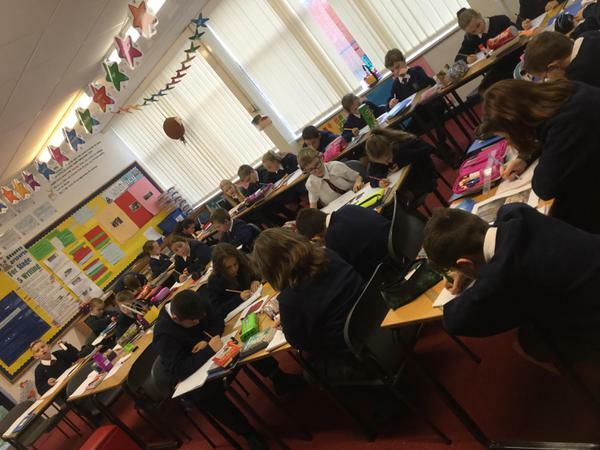 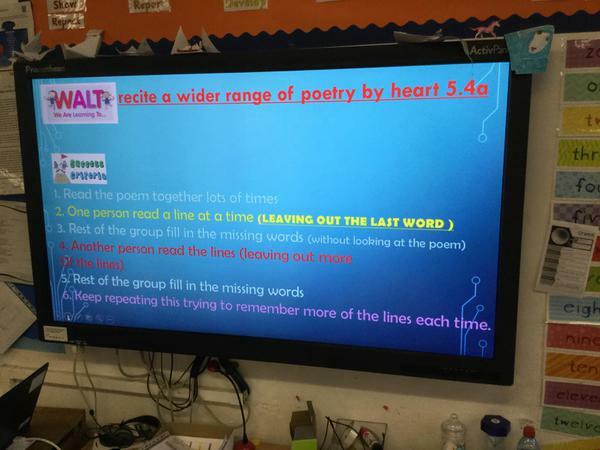 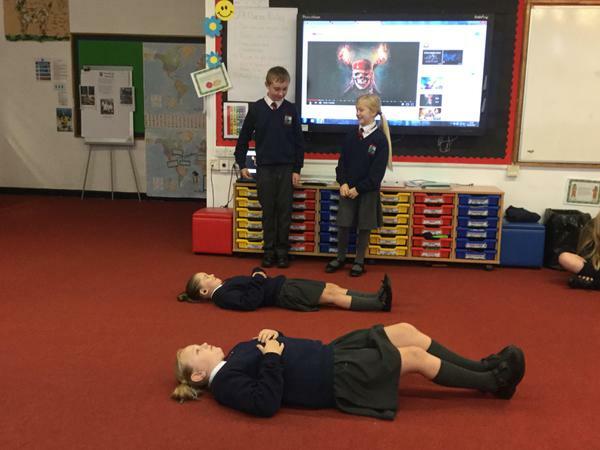 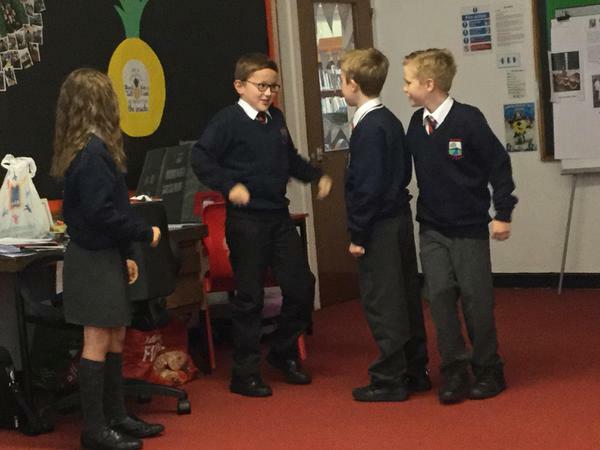 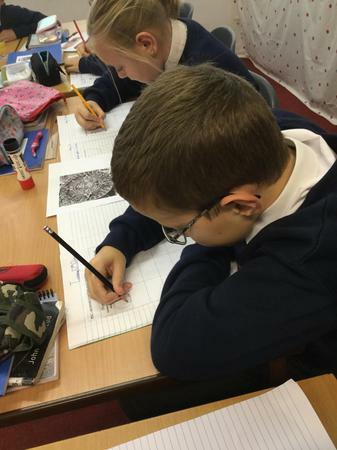 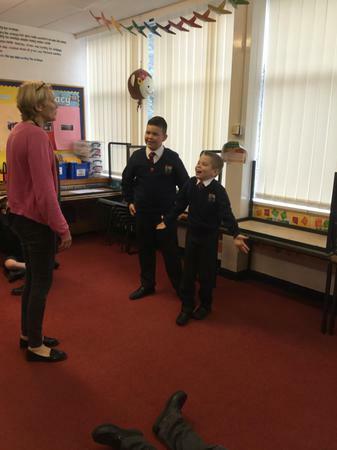 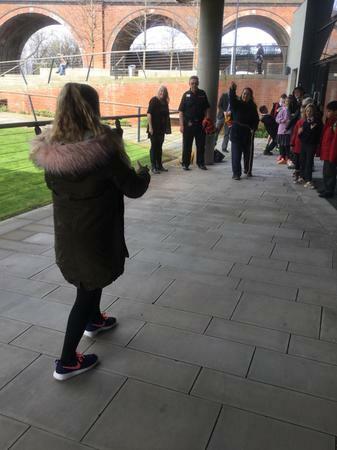 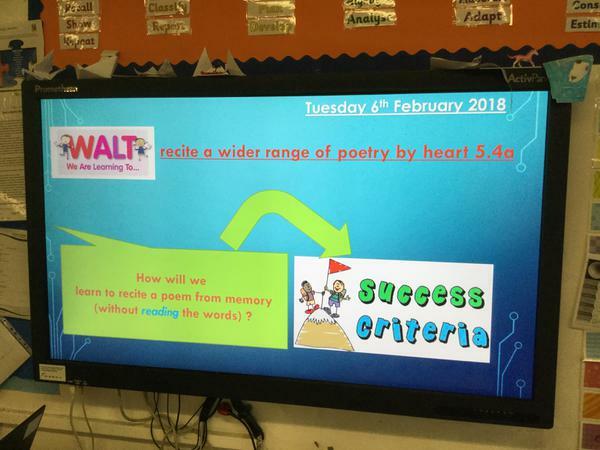 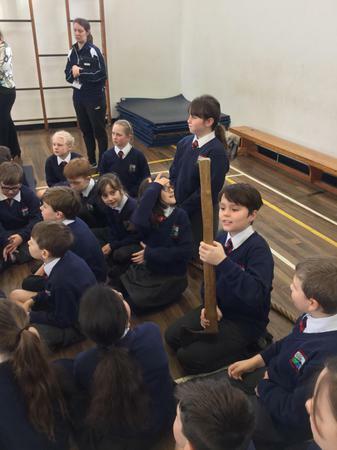 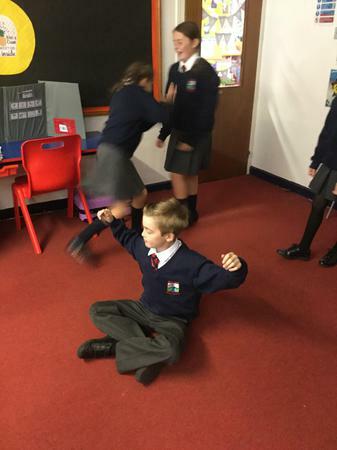 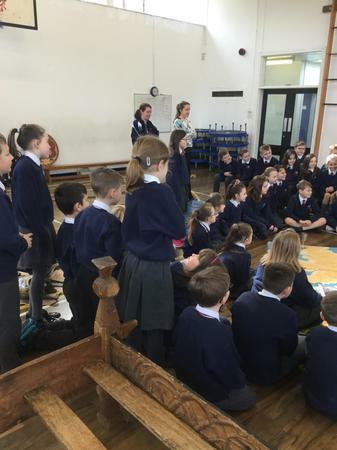 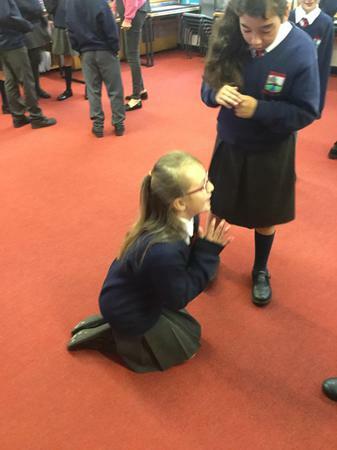 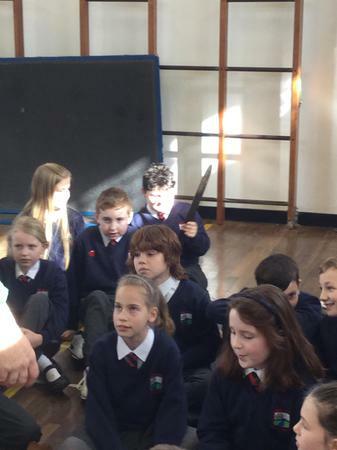 As part of No Pens Day, Year 5 started the day by learning techniques to recite poetry. 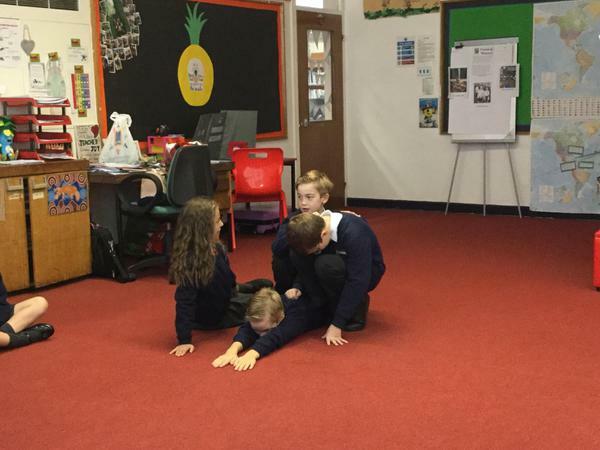 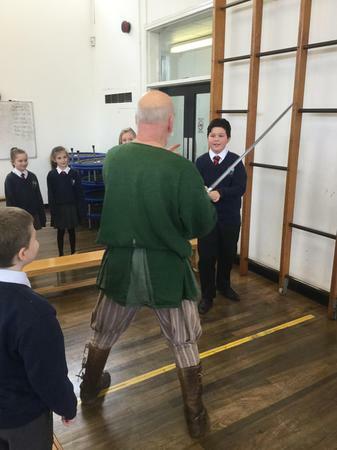 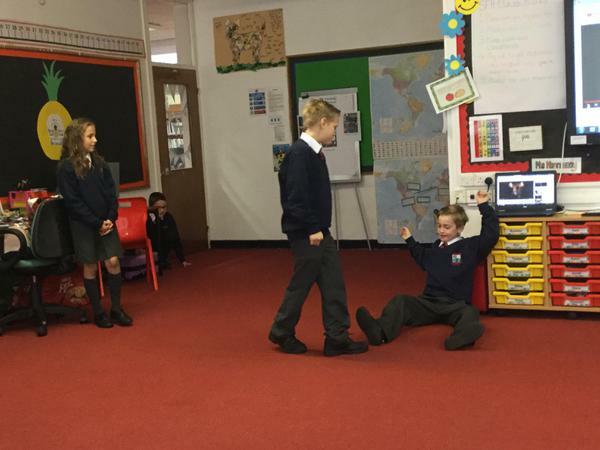 Children enjoyed putting expression into their performances and adding actions to help remember the lines. 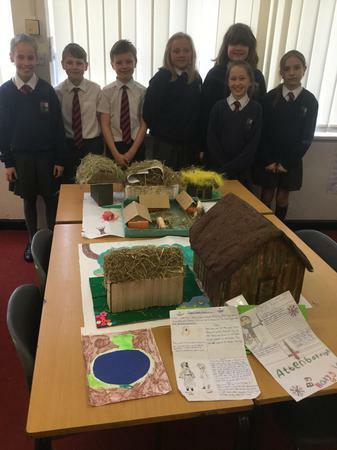 Congratulations to Year 5 for all of their fantastic Science Homework. 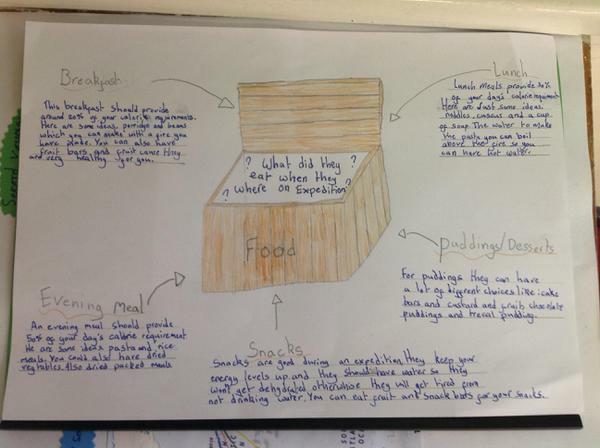 We are really impressed with all of your creativity. 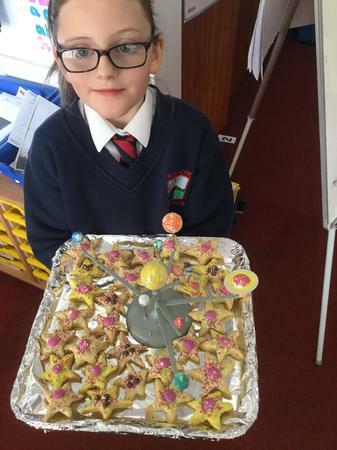 We have had some fantastic Science homework so far, including these two edible contributions! 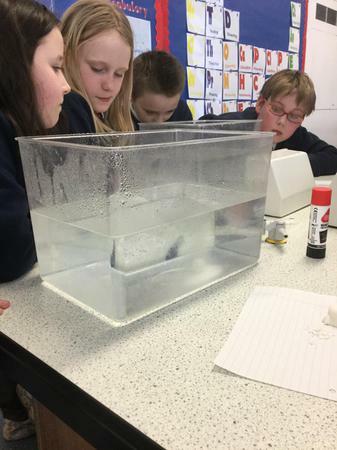 We're looking forward to seeing all of your Science homework by Monday 22nd January. 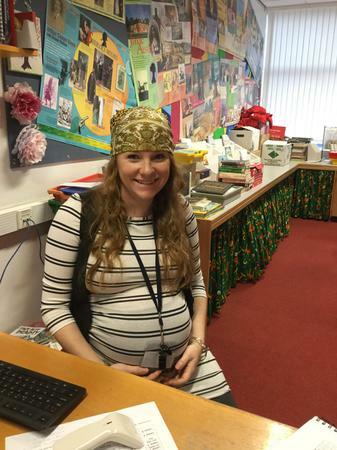 All the staff in Year 5 hope you had a lovely Christmas break. 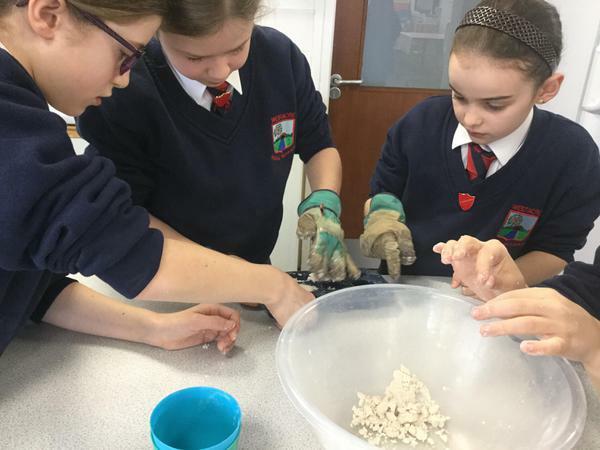 We're looking forward to lots of hard work and exciting opportunities in 2018. 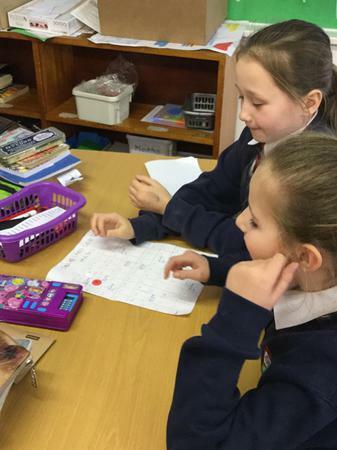 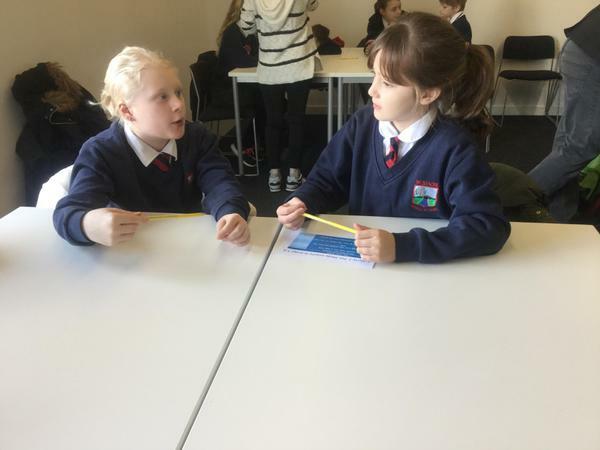 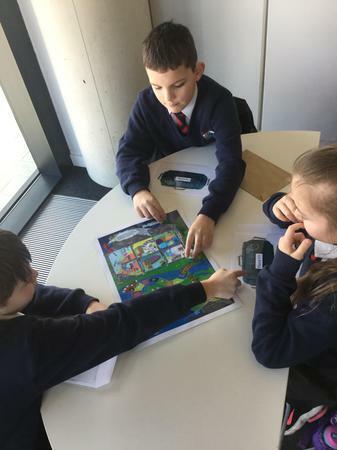 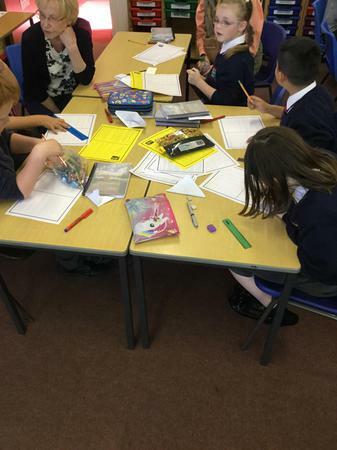 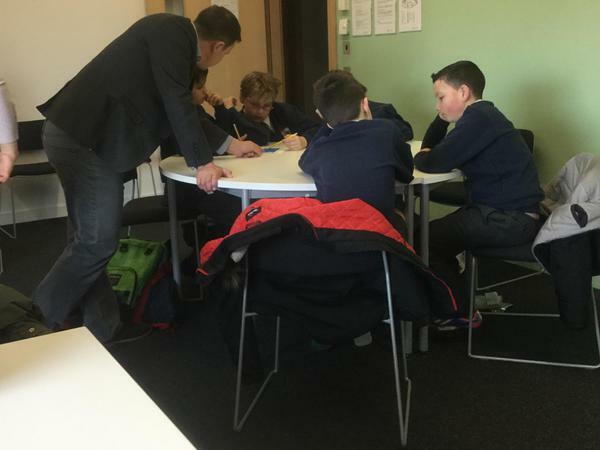 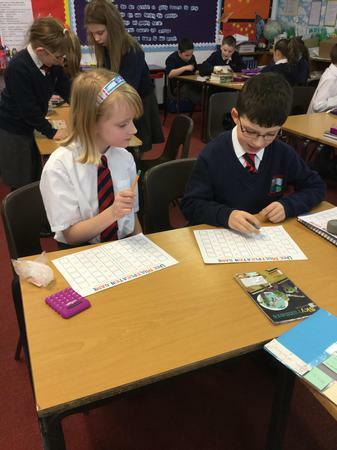 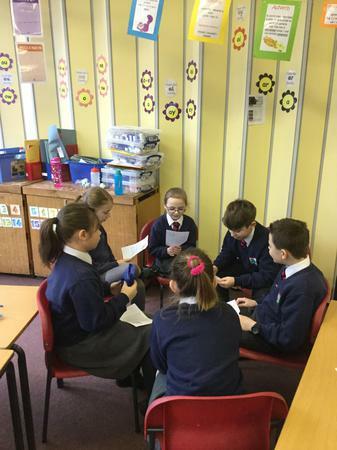 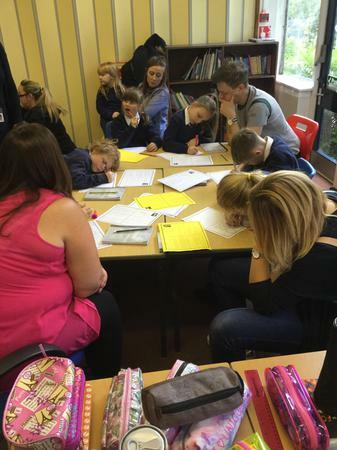 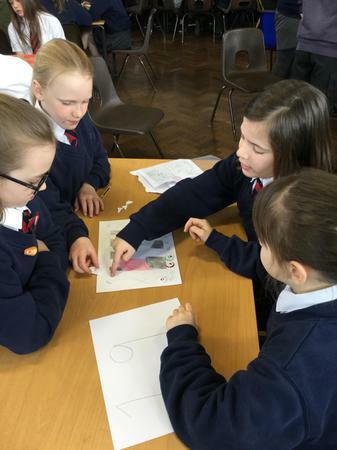 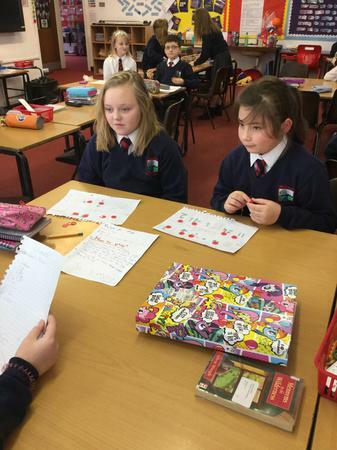 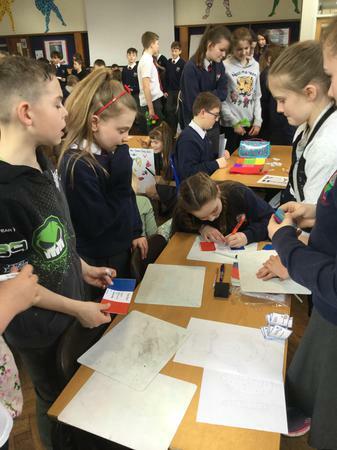 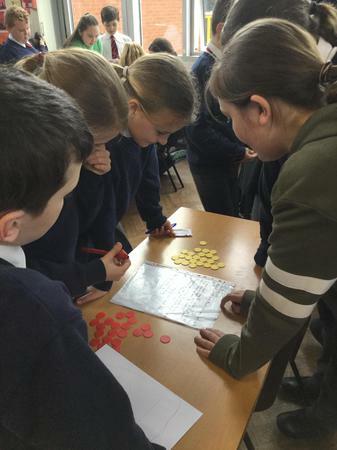 Some of our year 5 pupils have taken part in this years primary maths challenge. 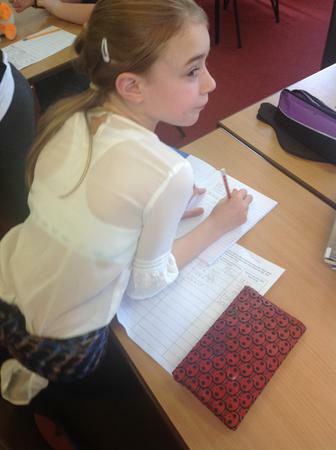 They have worked hard applying their knowledge to solve different complex problems. 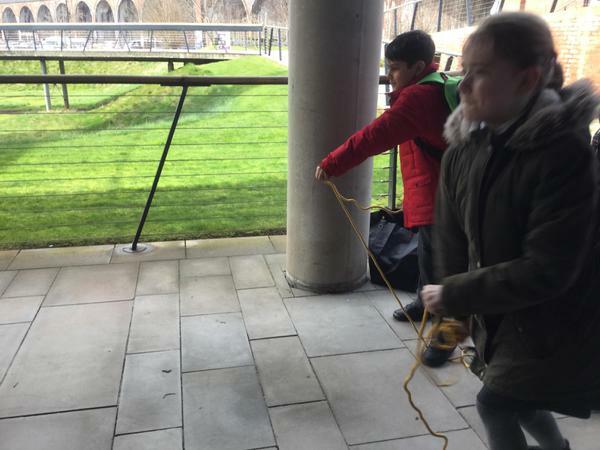 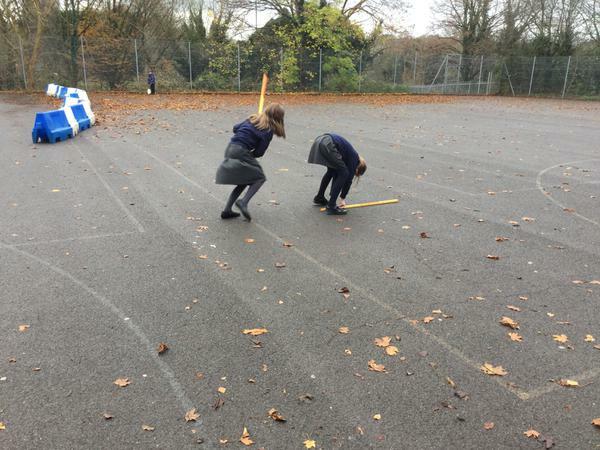 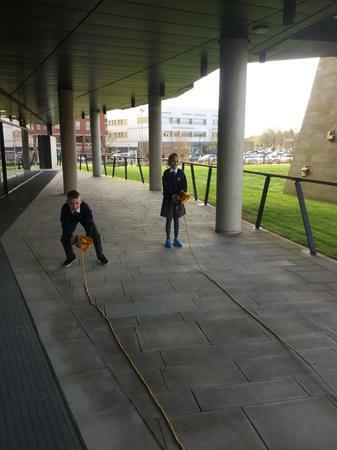 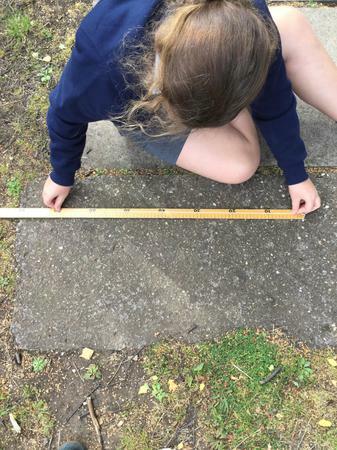 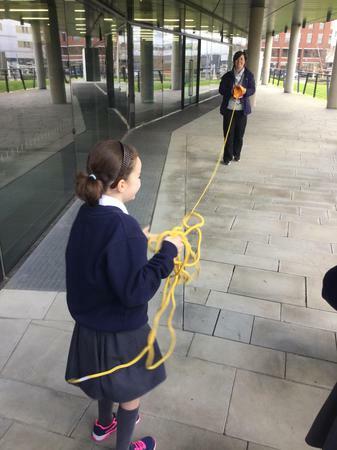 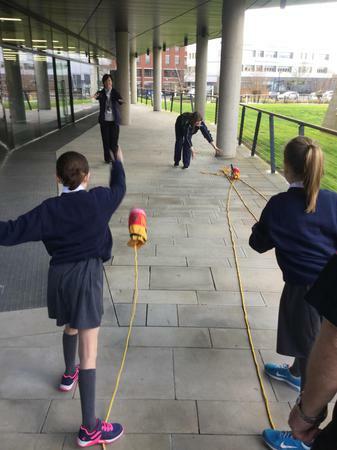 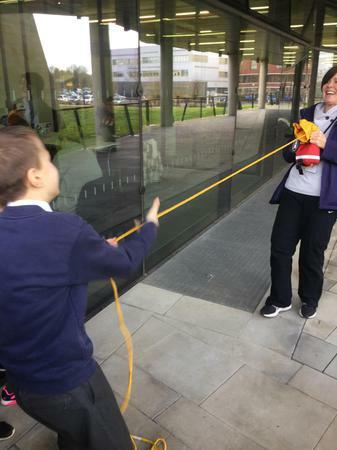 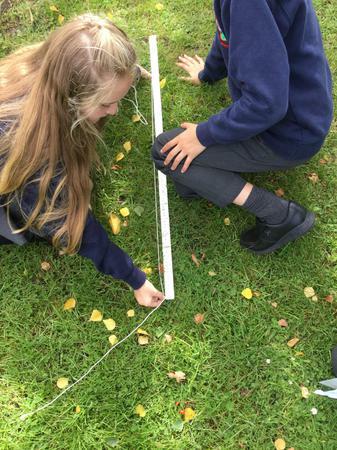 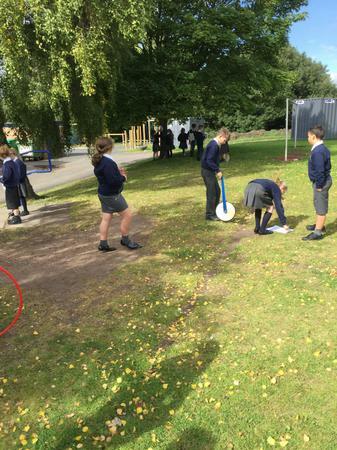 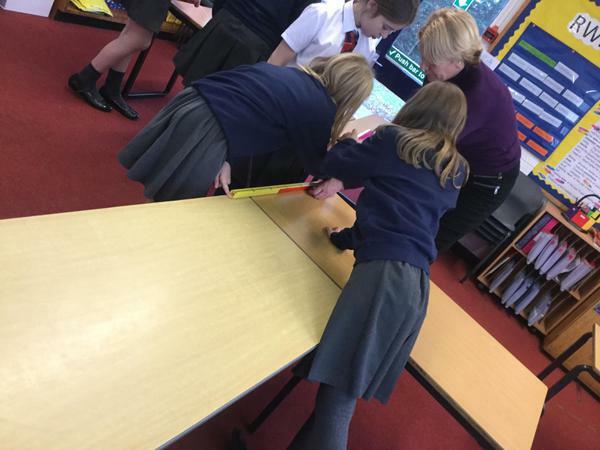 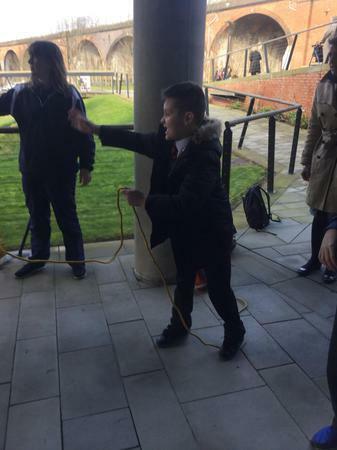 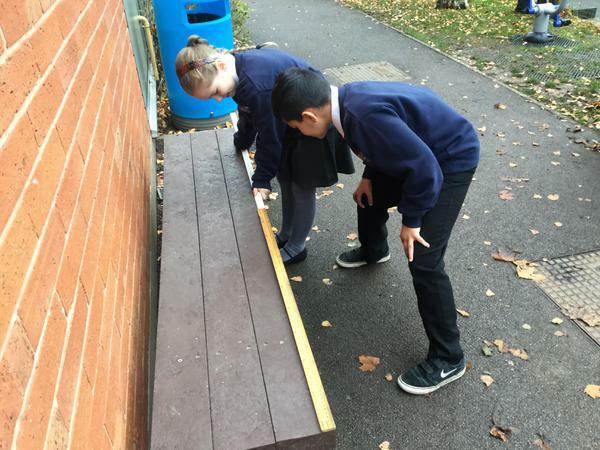 Year 5 used No Pens Day as a chance to measure and calculate the perimeter of different composite rectilinear shapes, including tables and our school environment. 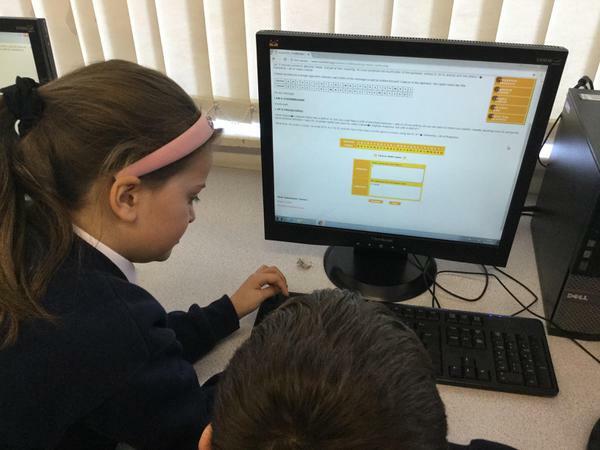 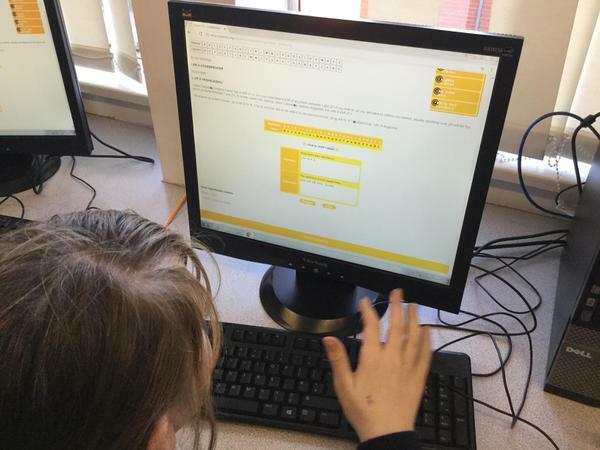 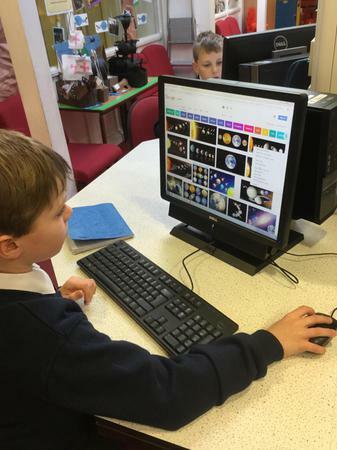 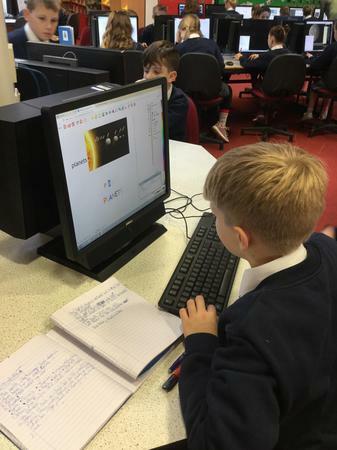 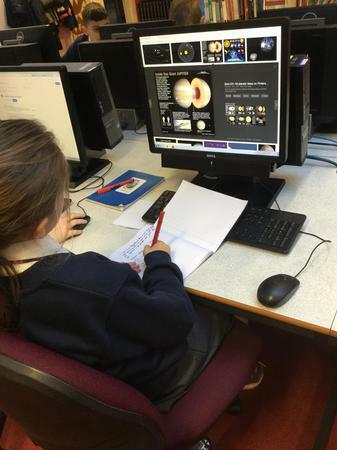 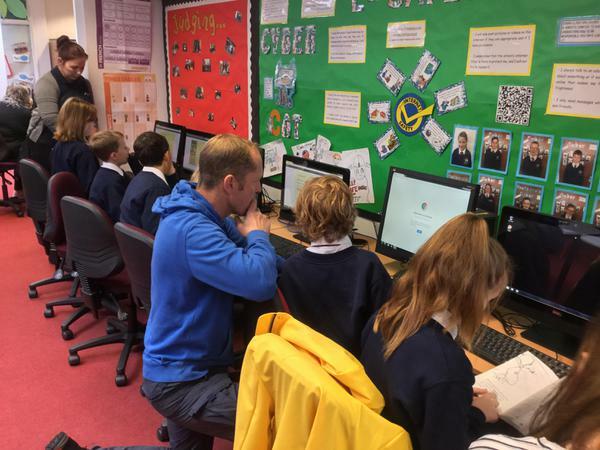 Year 5 have started their journey into Computer Science. 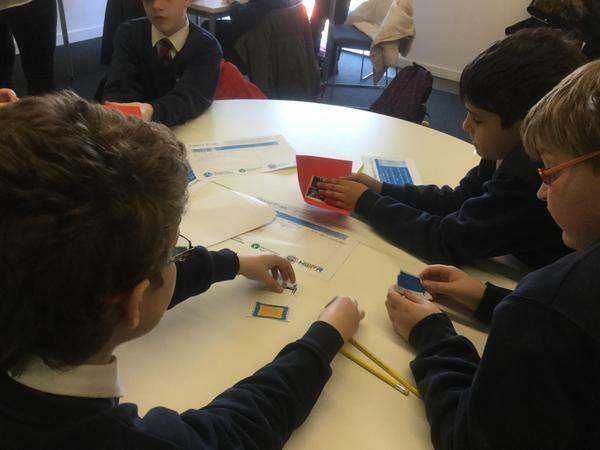 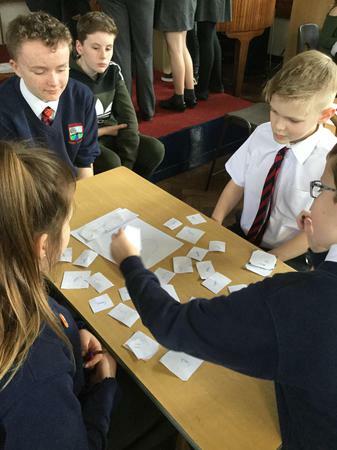 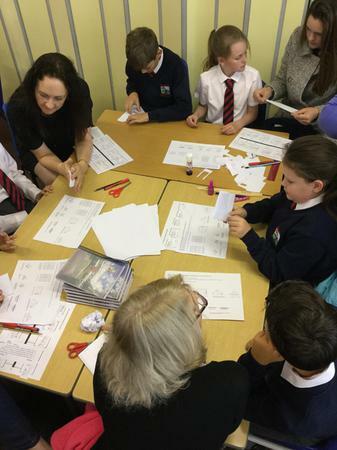 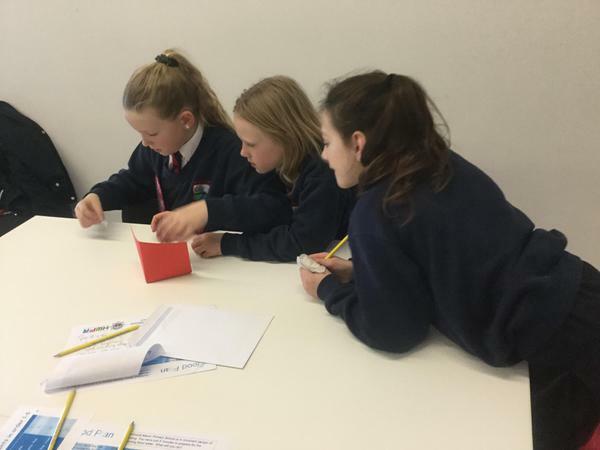 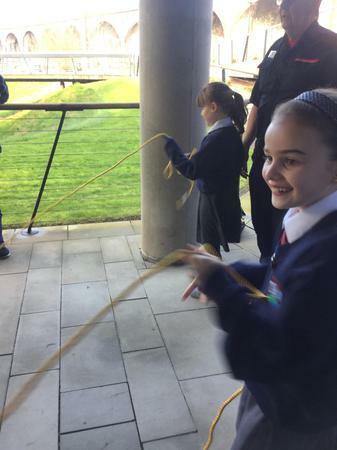 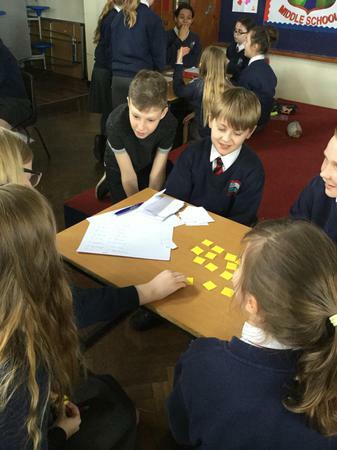 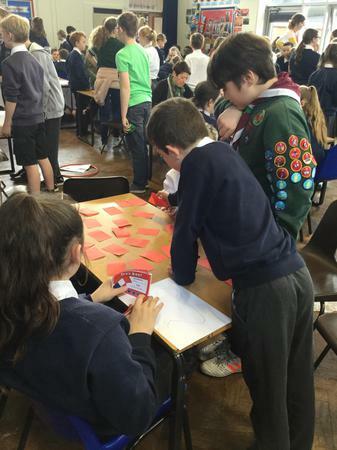 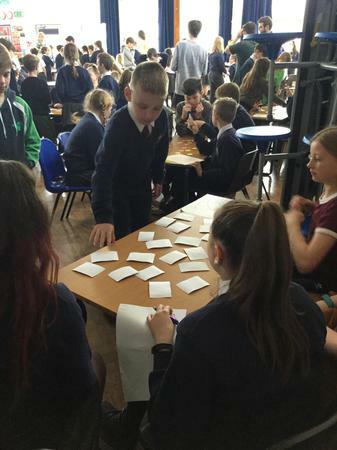 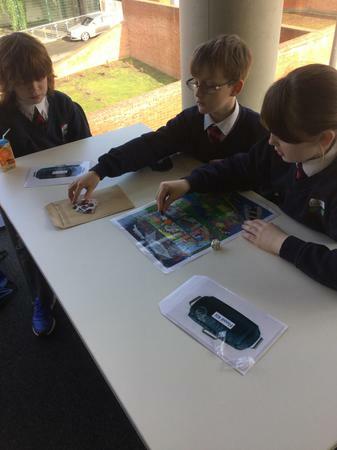 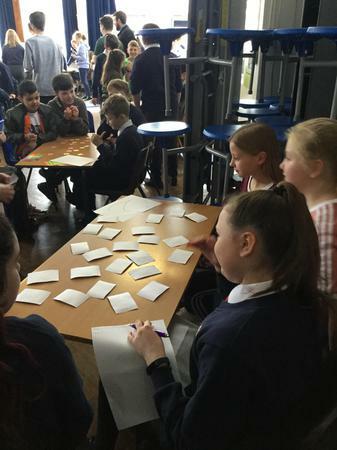 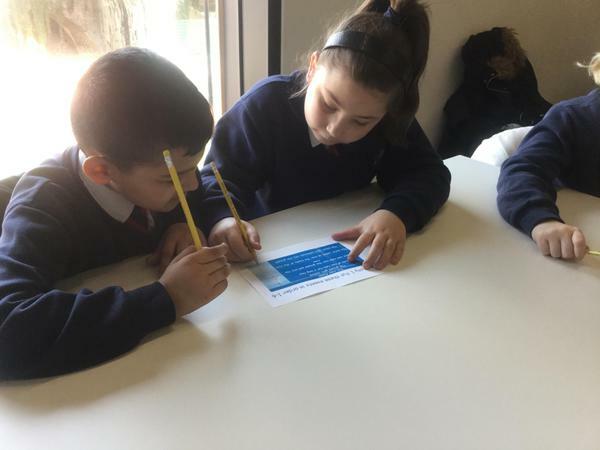 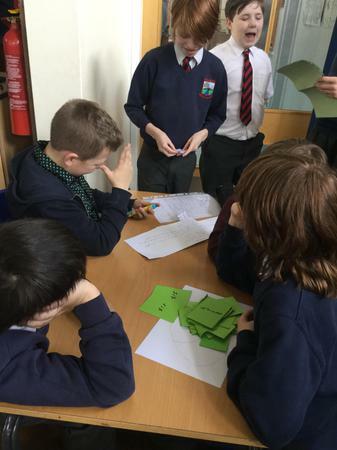 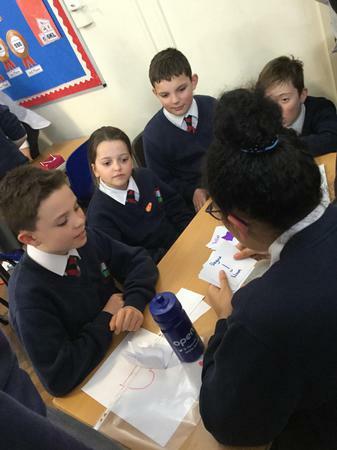 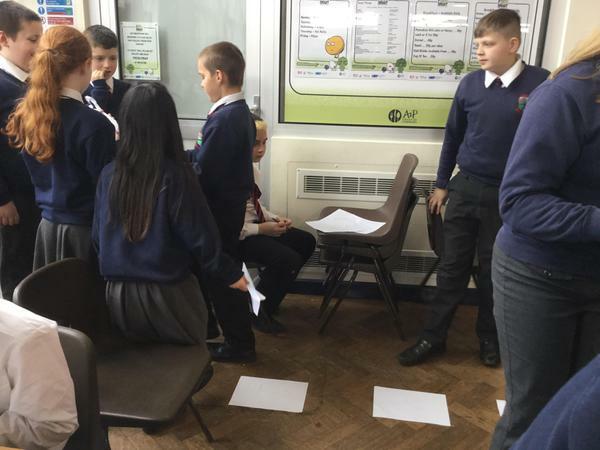 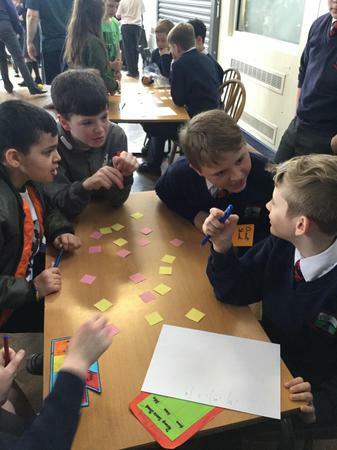 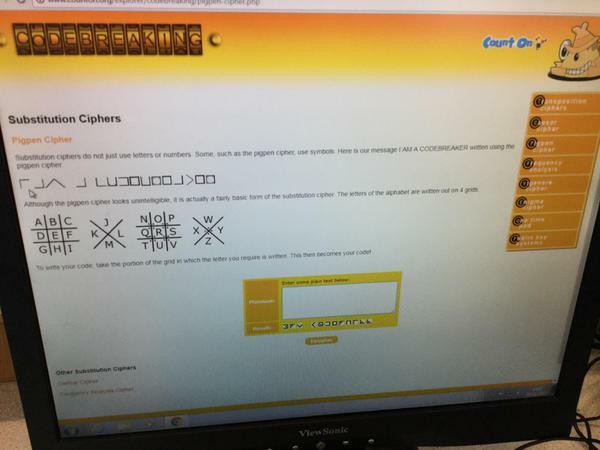 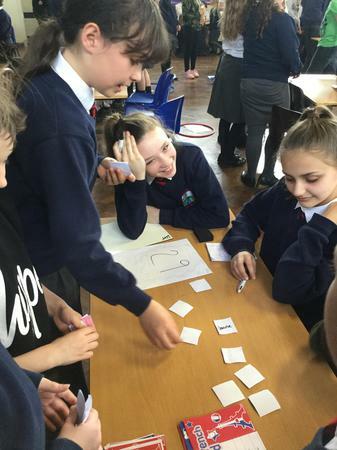 This week they have looked at breaking problems down into steps, and also created ciphers for each other to crack using a variety of methods such as the PigPen Cypher. 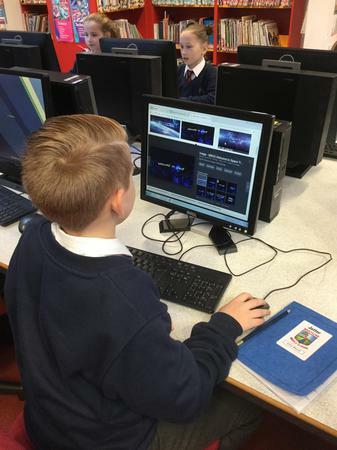 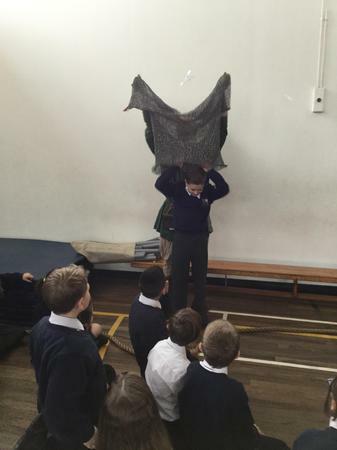 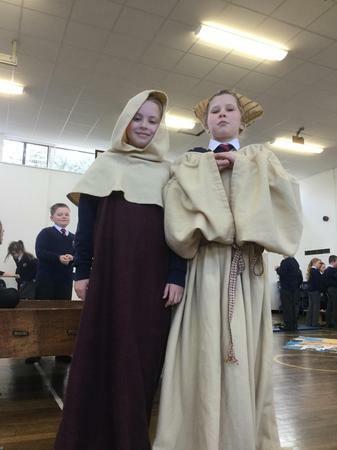 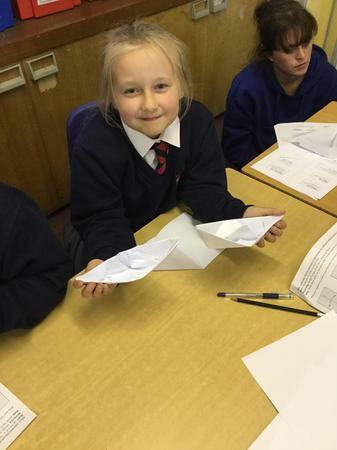 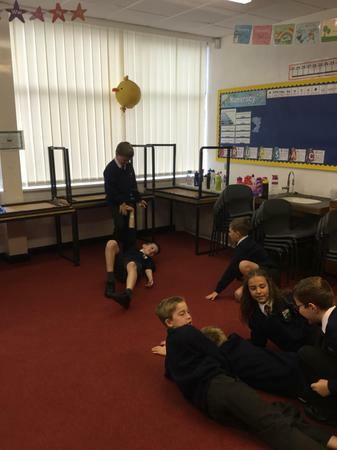 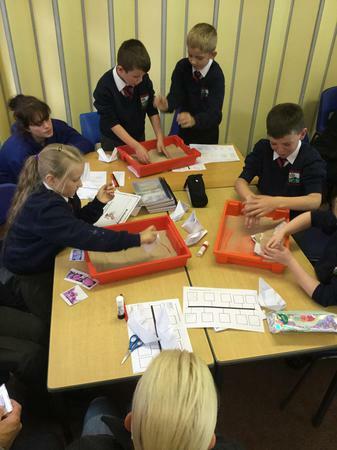 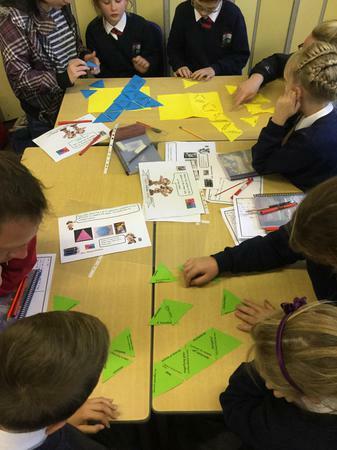 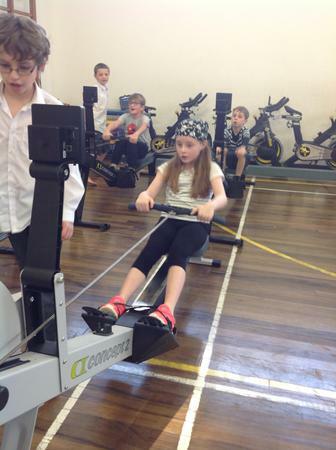 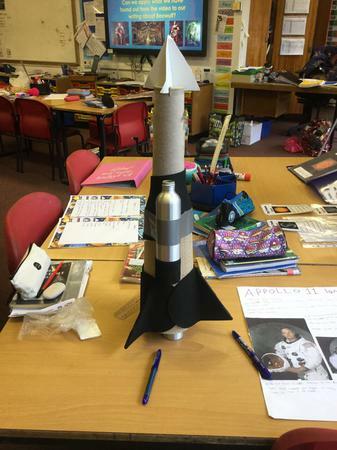 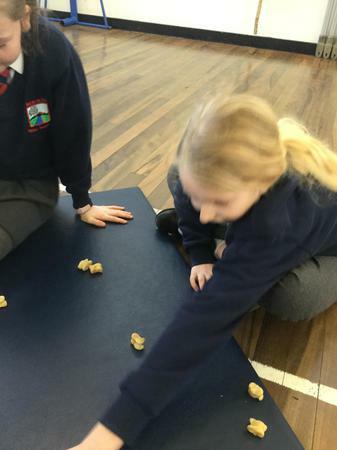 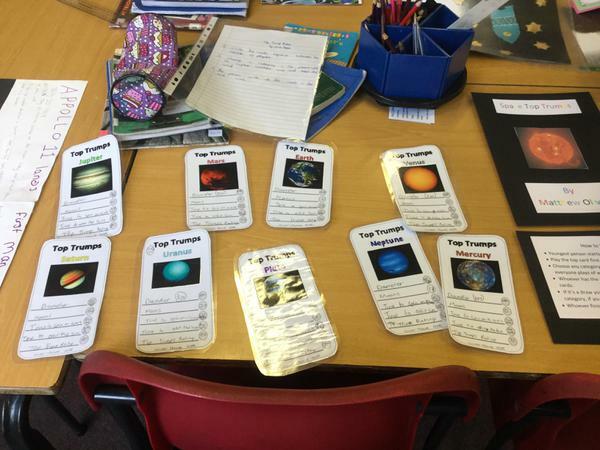 On Friday 17th November Year 5 children took part in our annual Space Day. 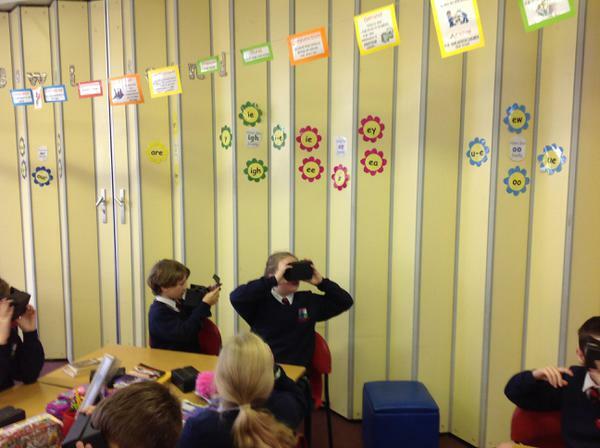 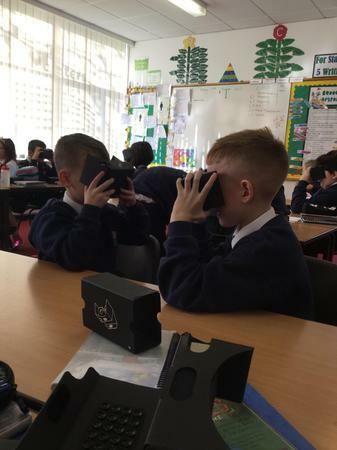 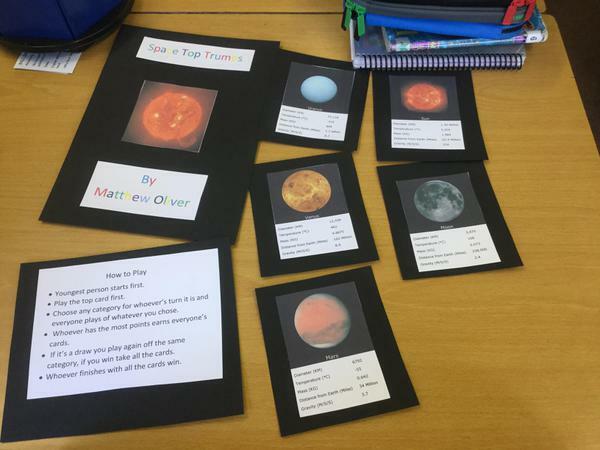 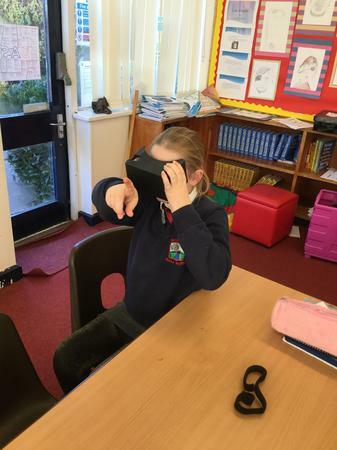 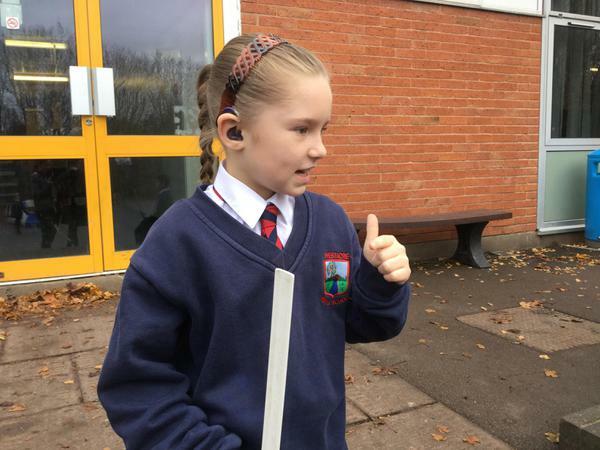 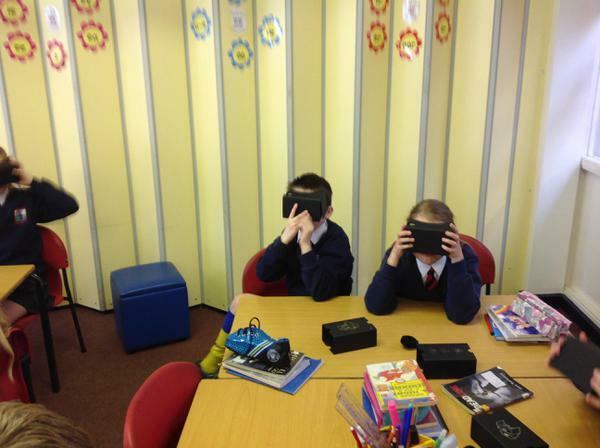 Using google headsets, children explored the Solar System finding out key facts about our neighbouring planets and the International Space station which was really exciting! 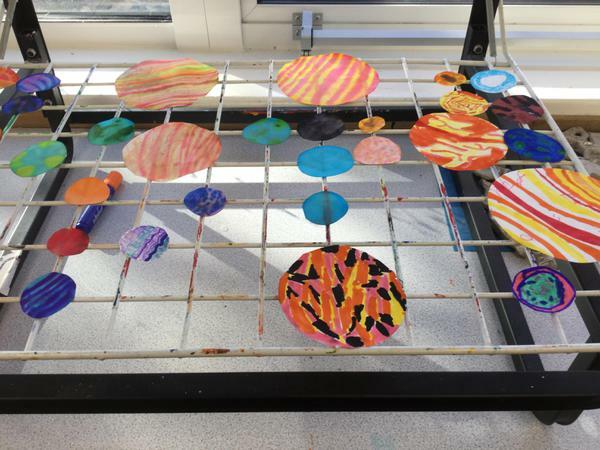 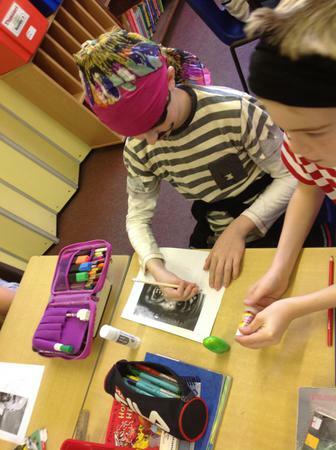 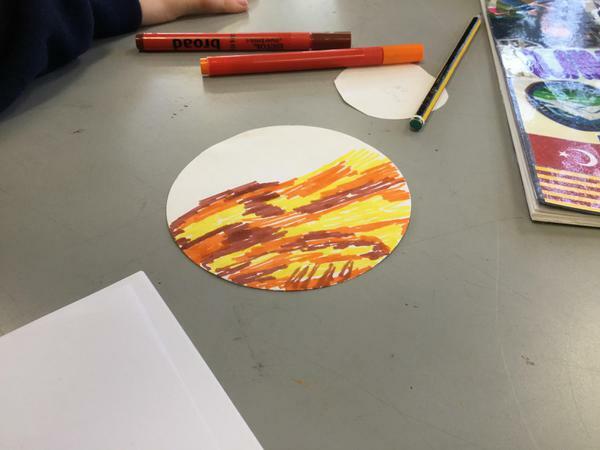 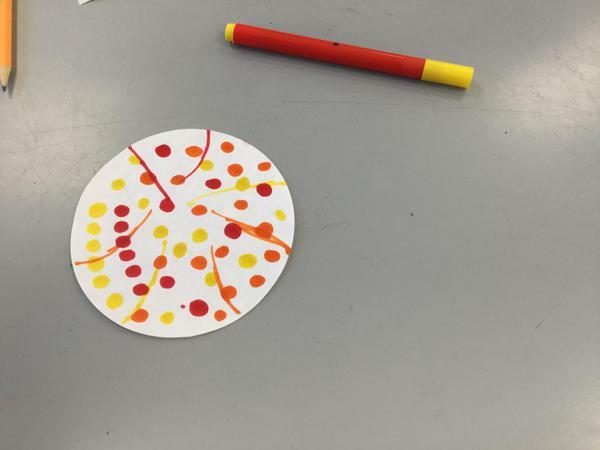 Children also worked collaboratively to create artwork based on the Solar System using watercolours and other mediums. 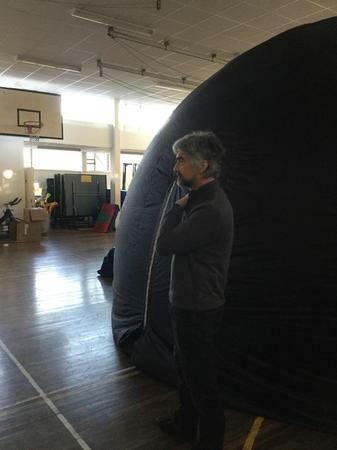 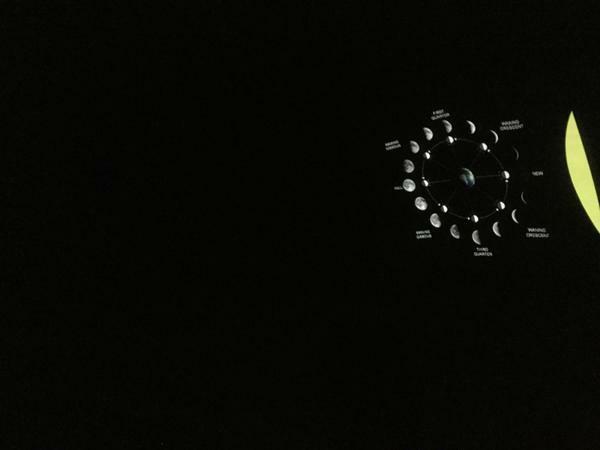 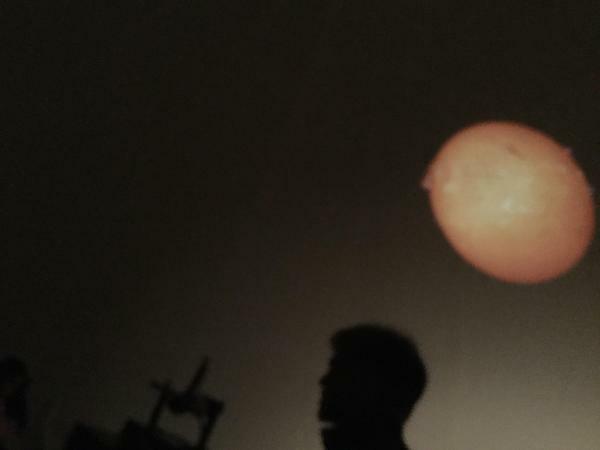 Most children would probably agree that their favourite part of the whole day was to visit the Planetarium, where they studied constellations and the phases of the moon. 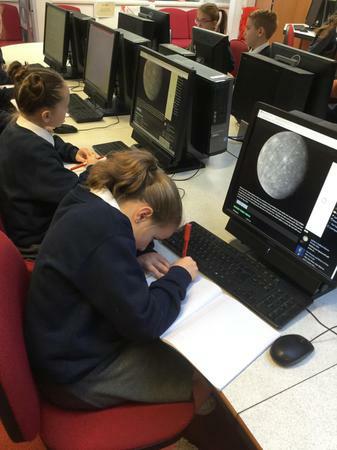 Year 5 enjoyed a great day and can’t wait to continue our Space topic this term. 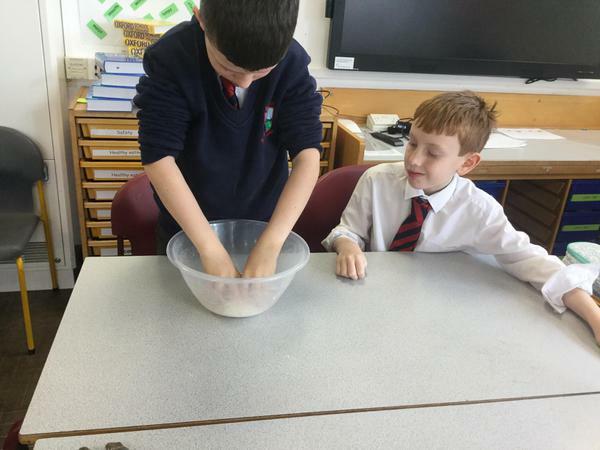 In Science we have been investigating scientific evidence. 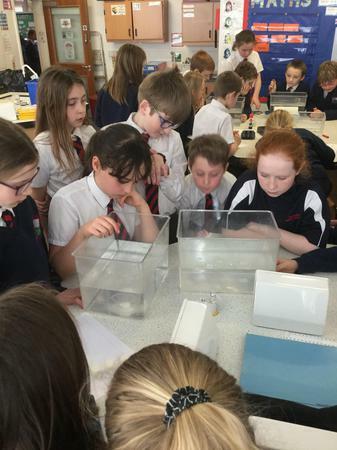 Carrying out experiments and writing them have formed part of our work on Earth and Beyond. 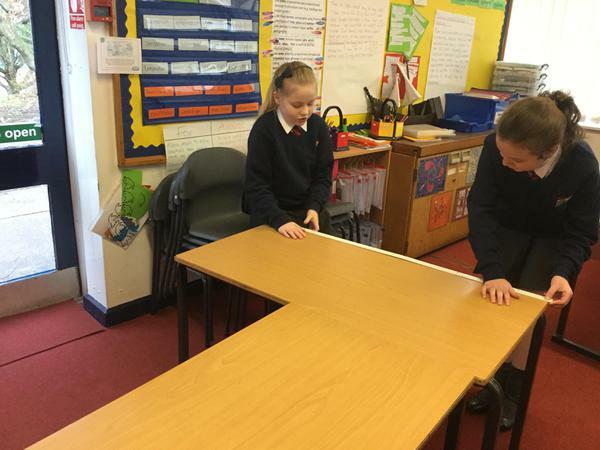 We used the working wall to show examples of factors and mutiples to help us with our Basic, Advancing and Deep tasks in class. 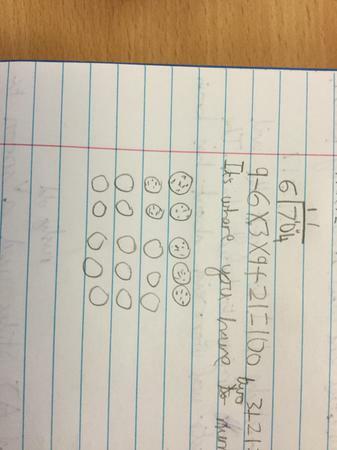 Does this show 2 x 10 or 10 x 2? 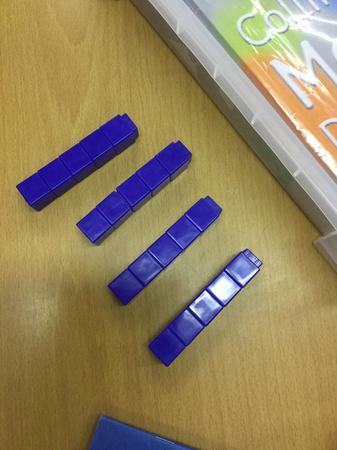 4 x 5 or 5 x 4? 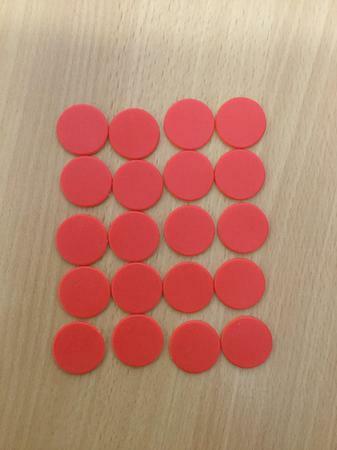 1 x 20 or 20 x 1? 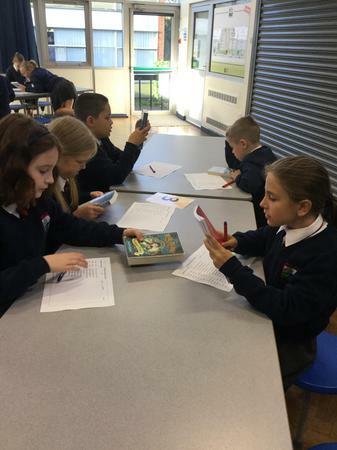 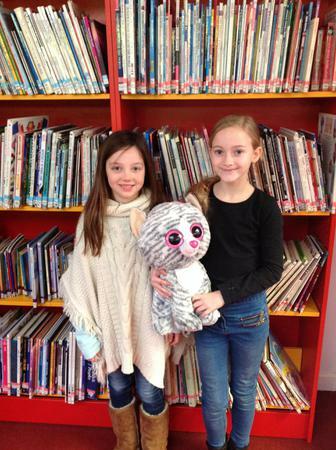 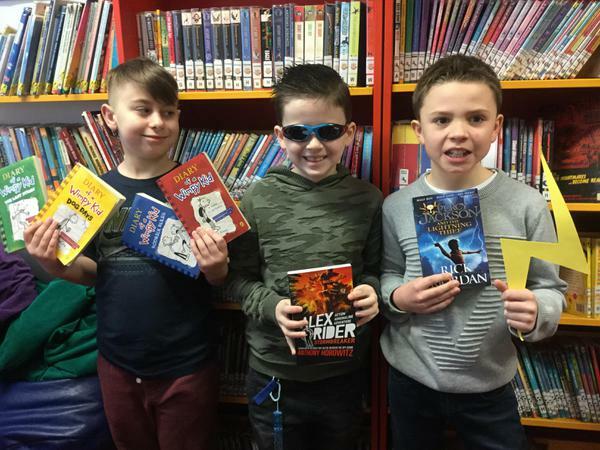 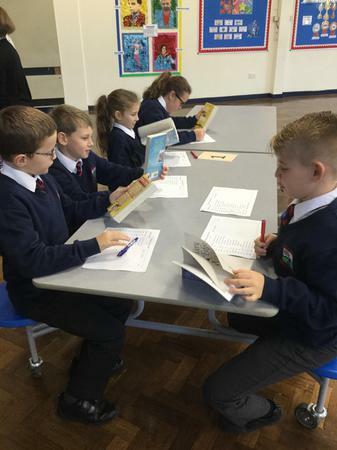 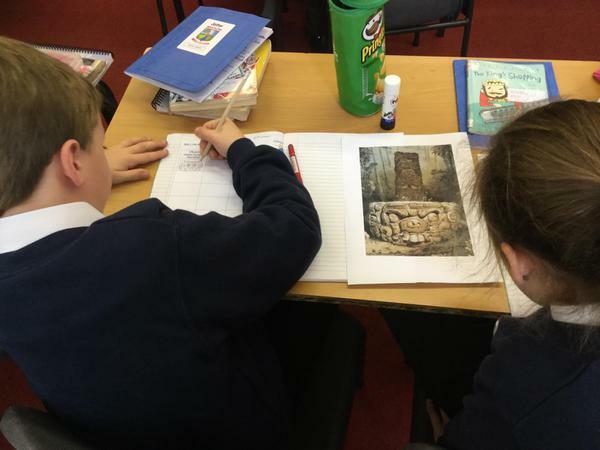 Year 5 have had the chance to look at a variety of new books to choose their favourite for the Awesomest Book Awards. 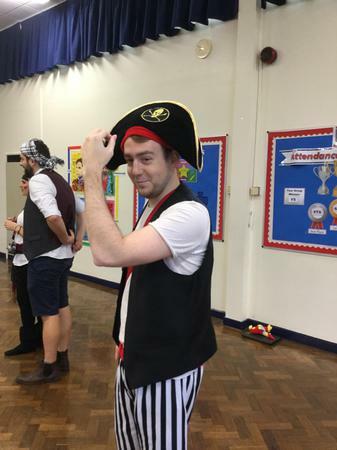 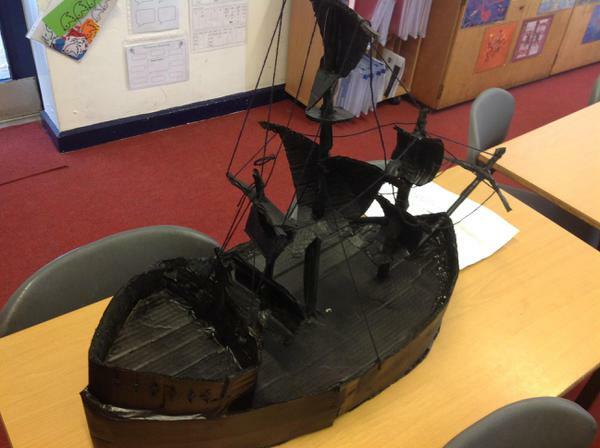 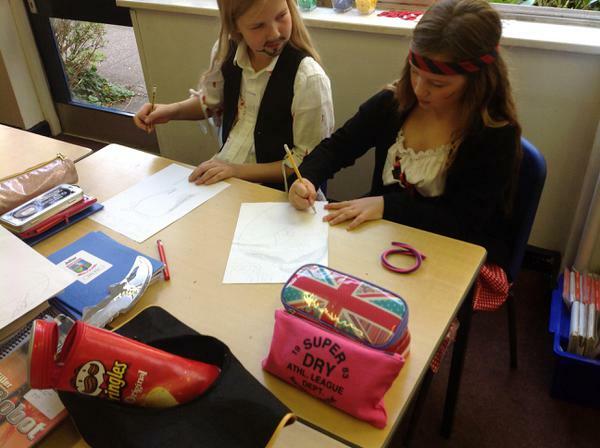 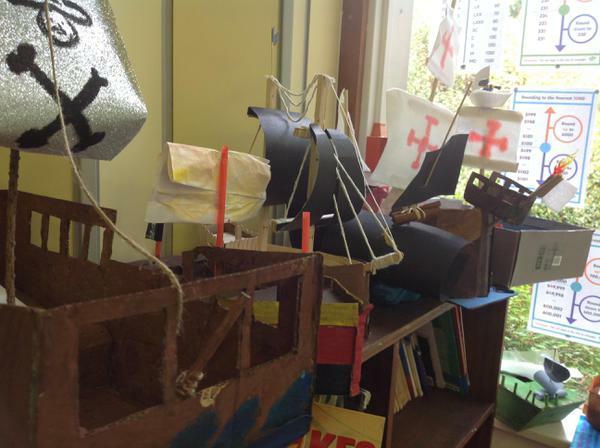 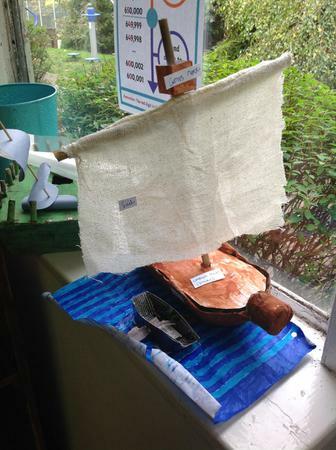 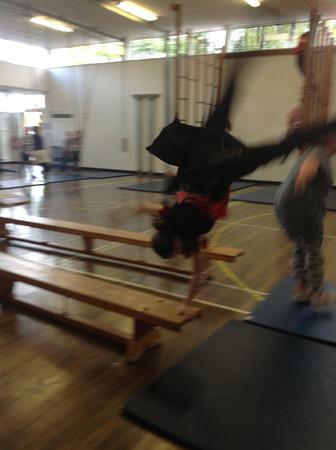 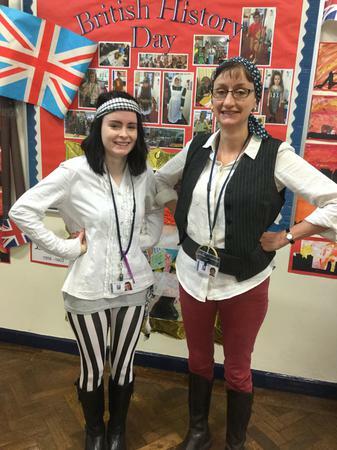 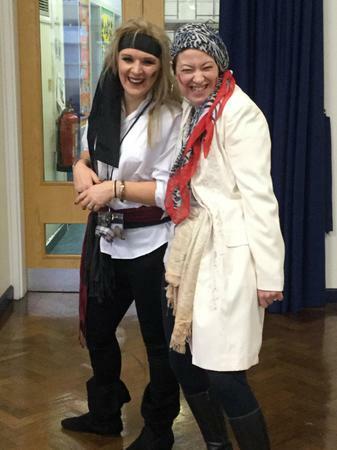 The children (and staff) have been busy channelling their inner pirate today. 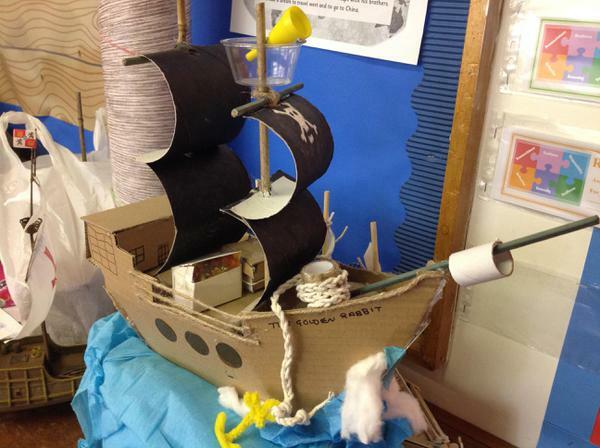 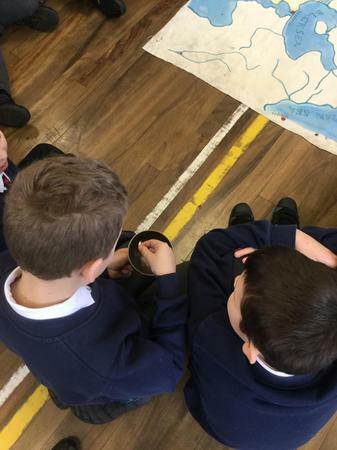 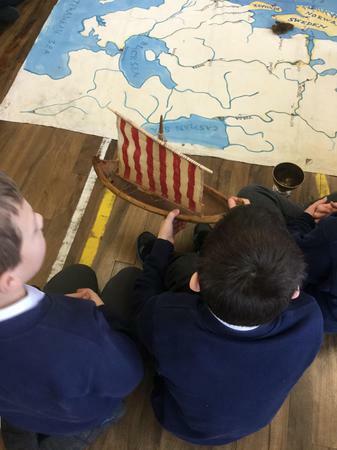 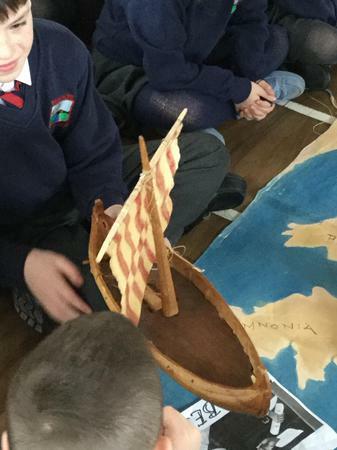 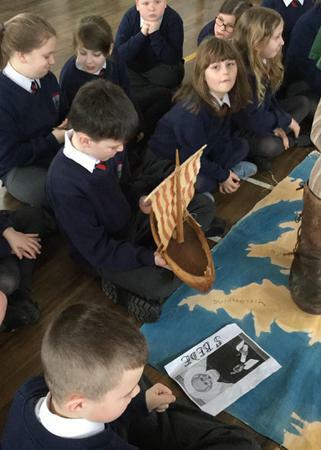 They have walked the plank, rowed the oars, climbed the rigging, designed their own pirate flag, drawn a pirate portrait, sung some sea shanties and performed some pirate maths. 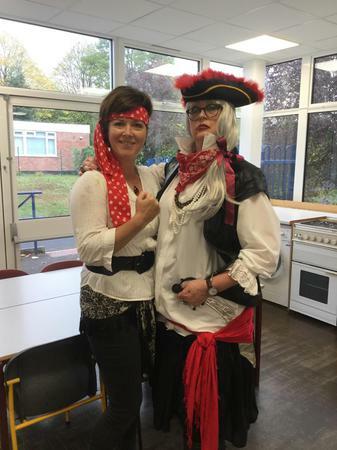 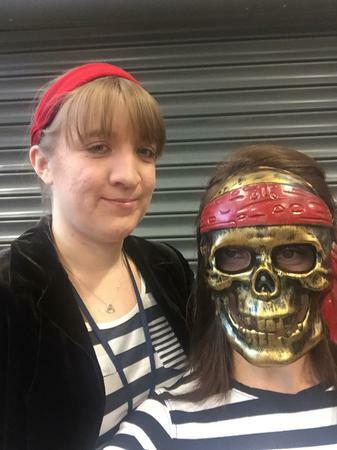 There be some scary pirates around school! 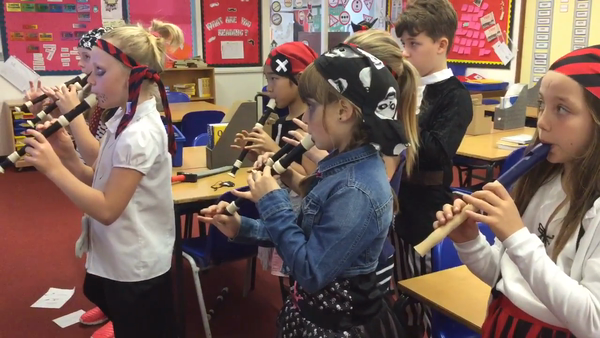 To support our study of the classic text Treasure Island and to provide additional opportunities for children to develop their love of music. 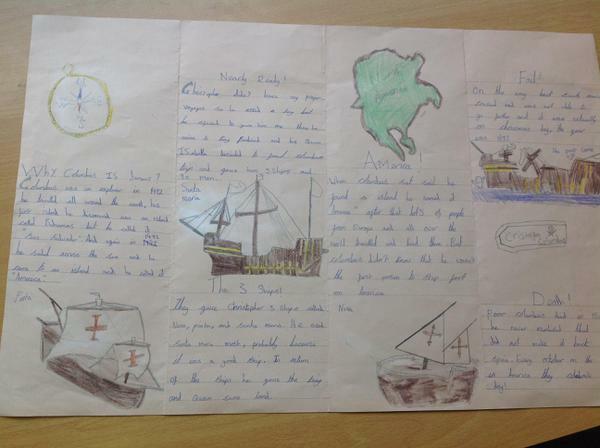 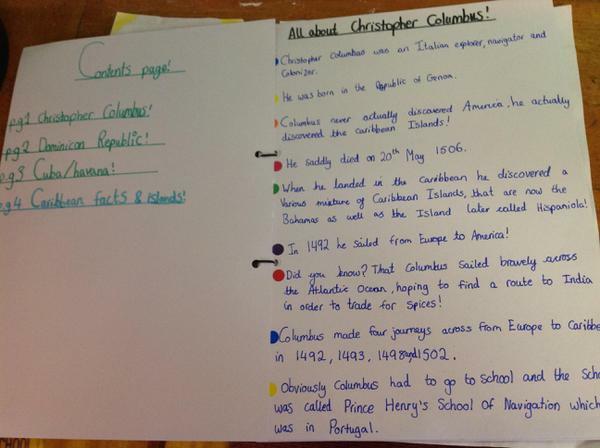 Here are only a few examples of the amazing response to homework we have had so far this term. 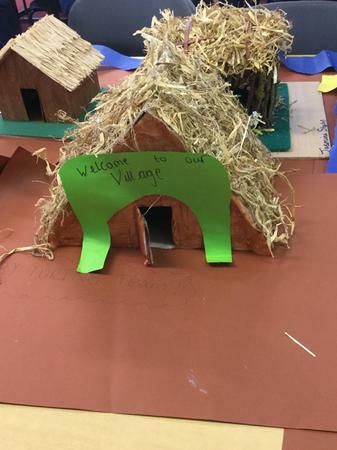 The children (and their families) have put so much effort and time into these pieces. 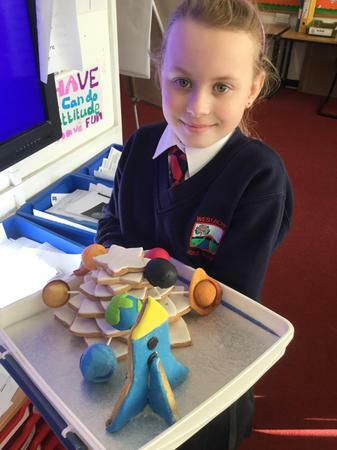 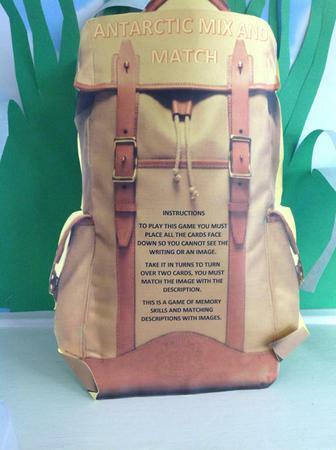 We look forward to seeing what other creative creations come in! 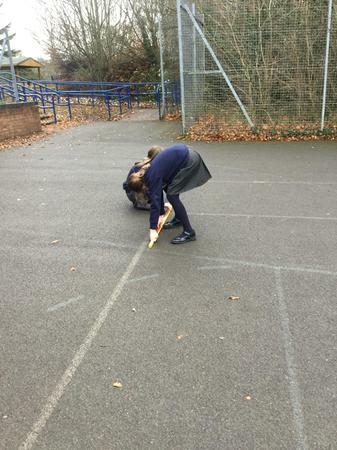 We spent a whole day at school without using a pen (or pencil, whiteboard pen or anything else you can write with) at all! 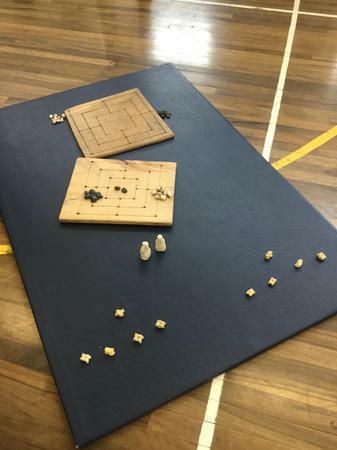 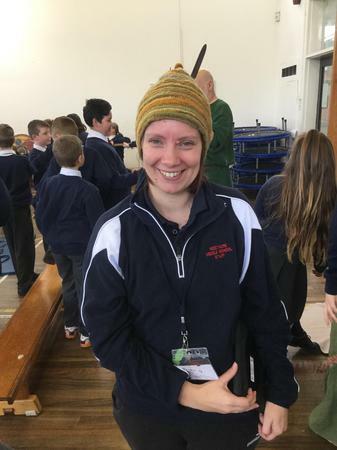 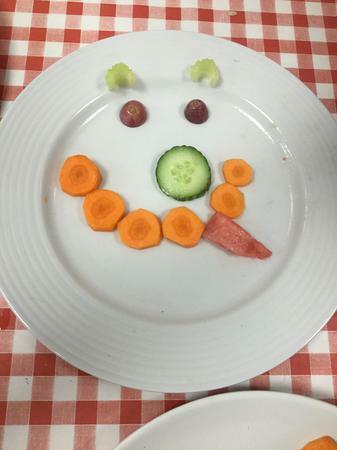 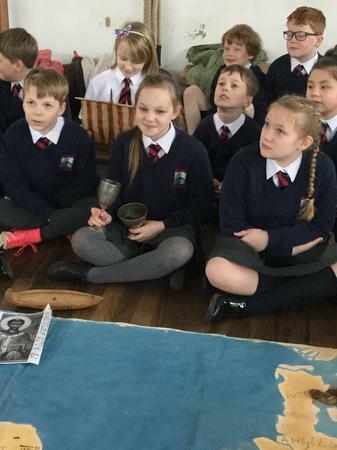 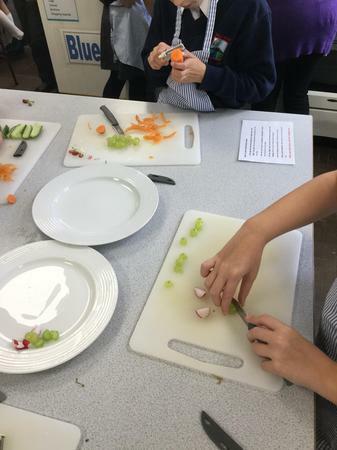 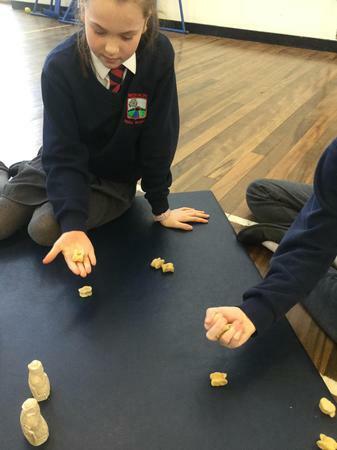 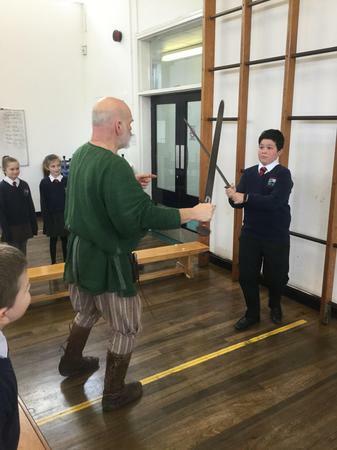 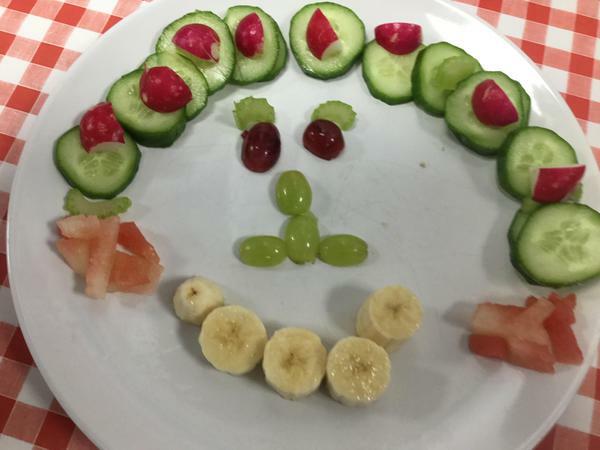 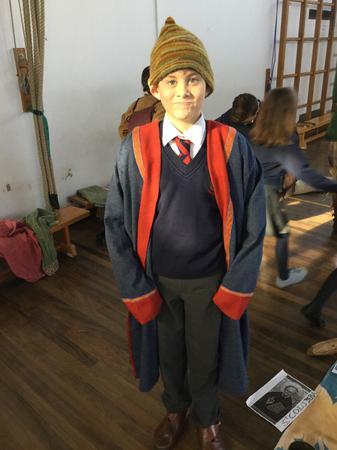 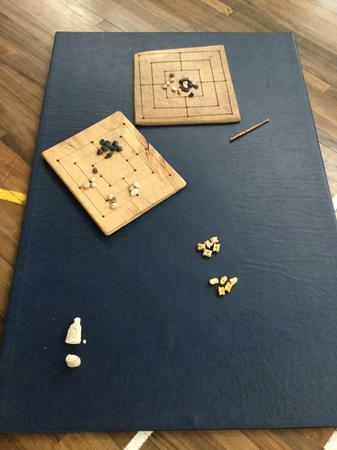 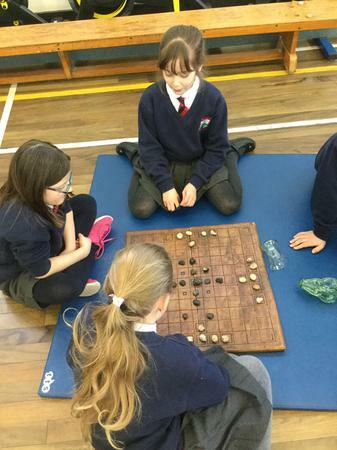 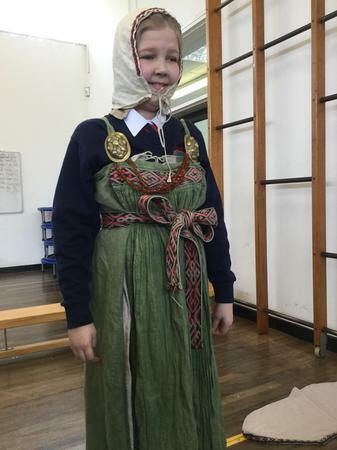 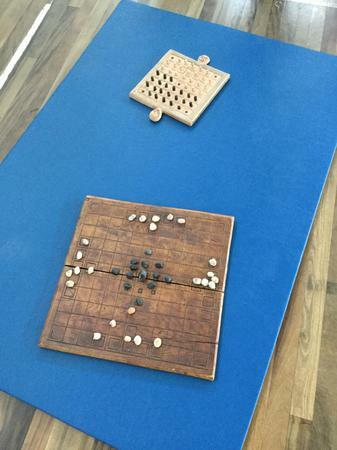 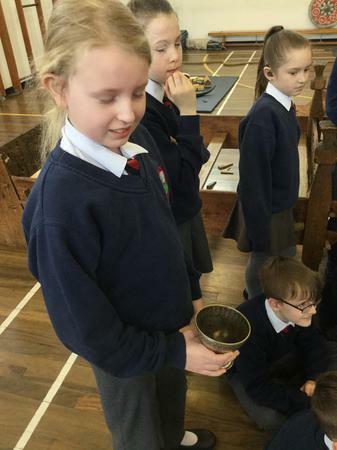 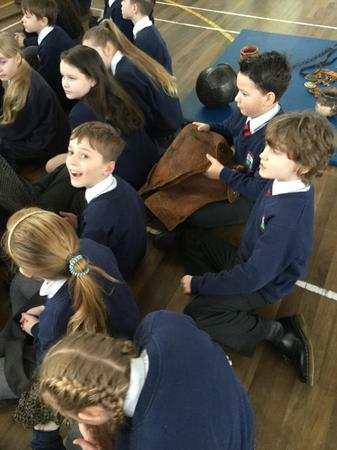 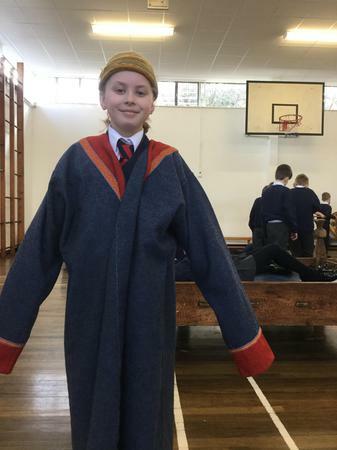 We enjoyed lots of different activities during the day including: making fruit and vegetable faces in the cookery room; improving our acting skills; creating collages in our house teams; participating in debates and team speaking and listening activities; and calming down with some yoga. 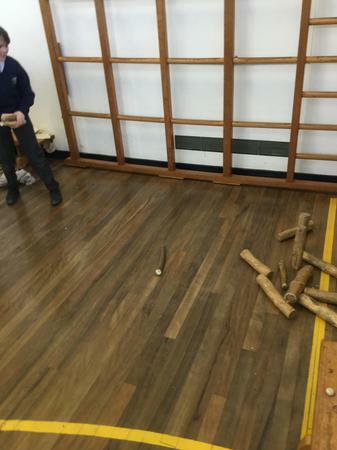 See the pictures below - more are coming soon! 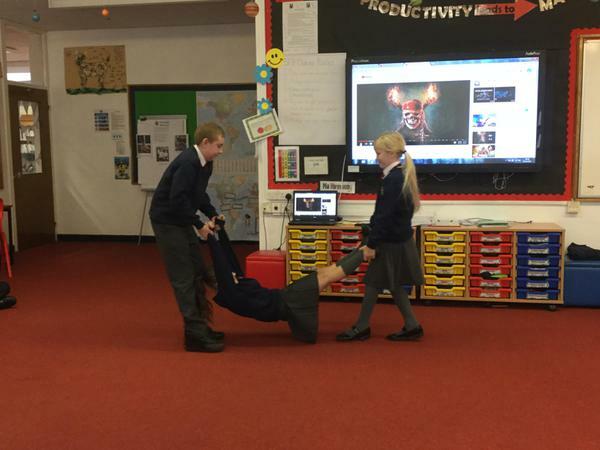 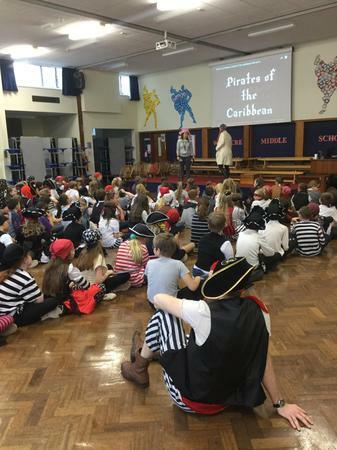 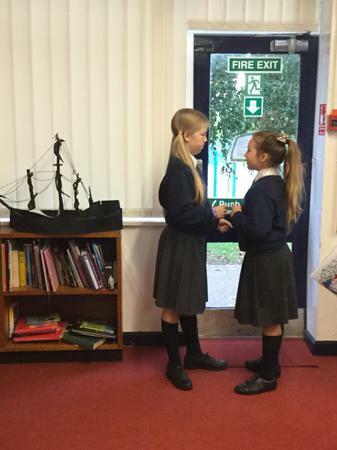 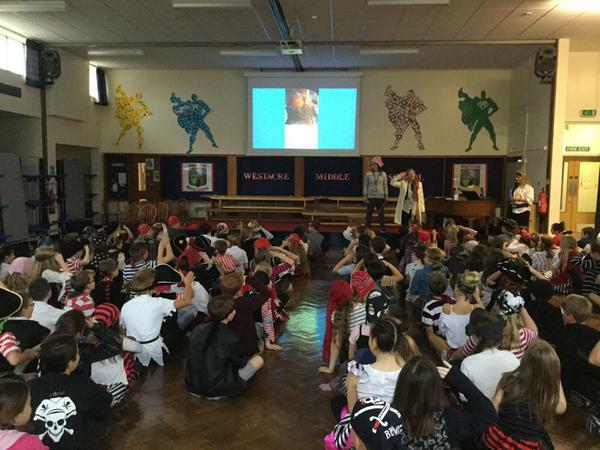 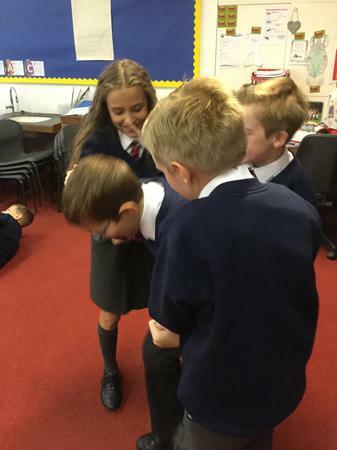 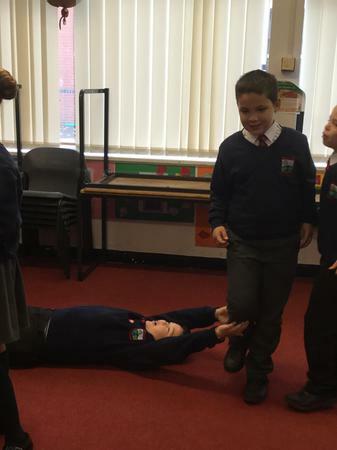 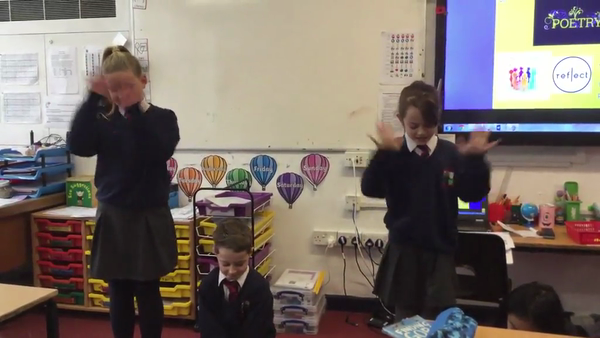 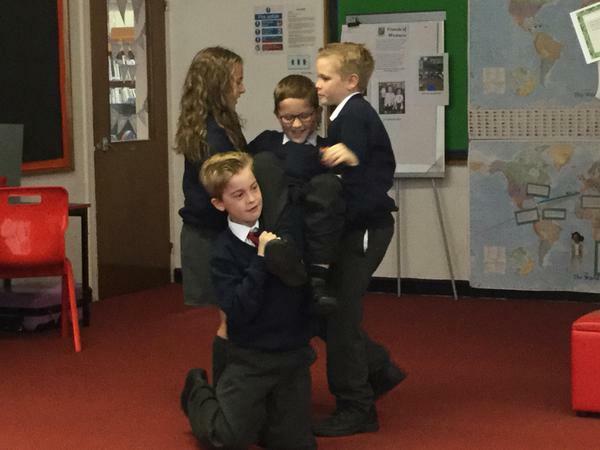 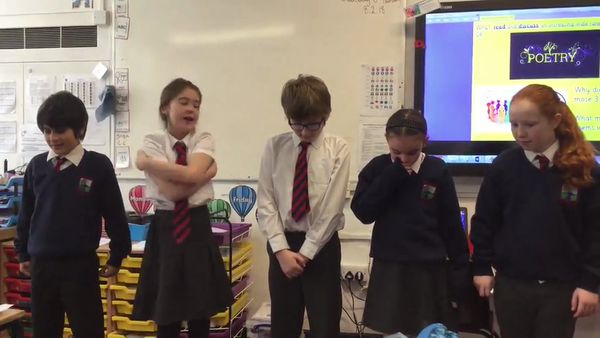 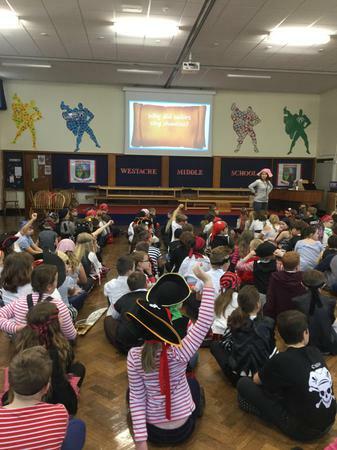 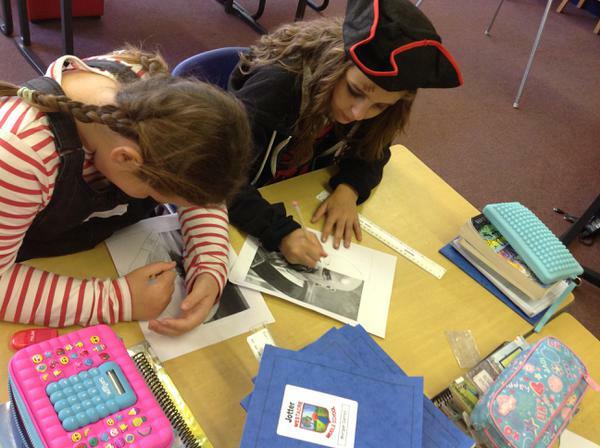 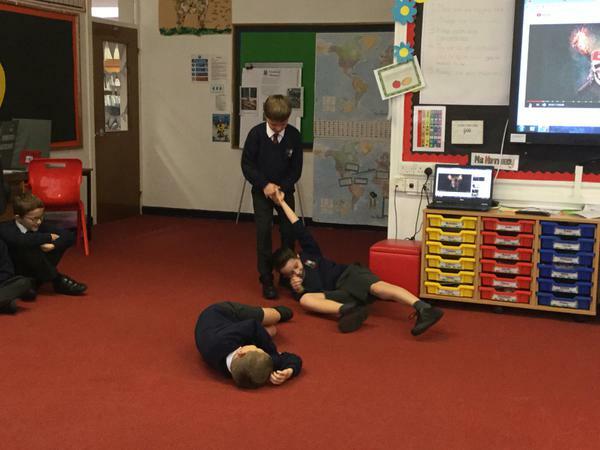 As part of No Pens Day, we had a go at acting out our Pirate Secret story. 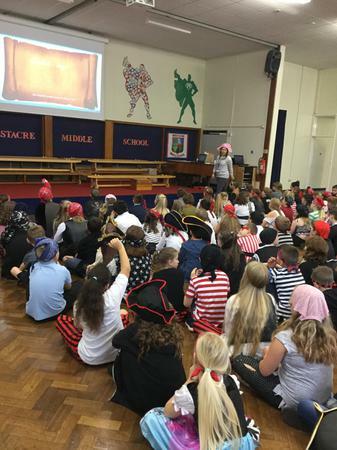 Can you see the pirate actions and tell what is happening? 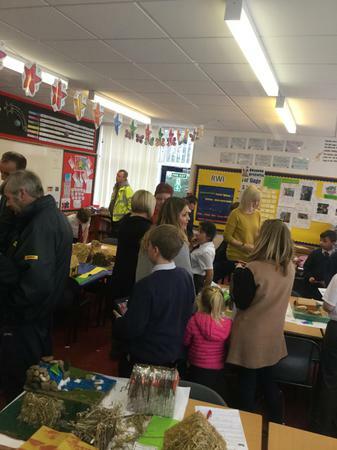 A massive thank you to the many Year 5 family members who were able to come into school for our special coffee morning. 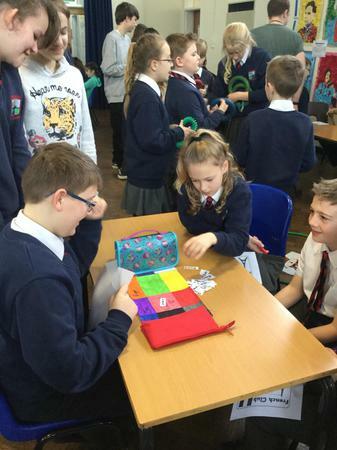 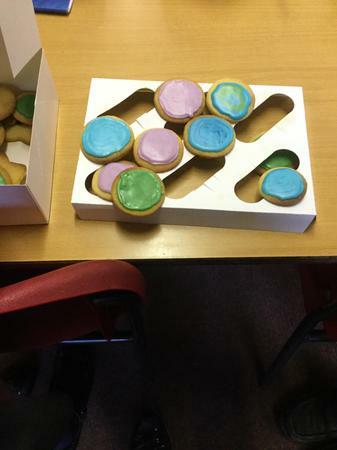 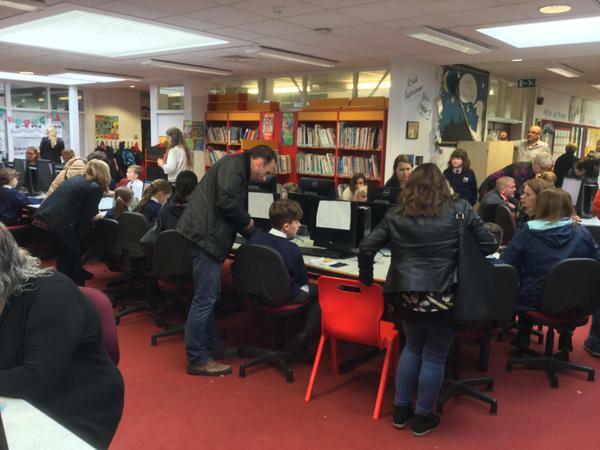 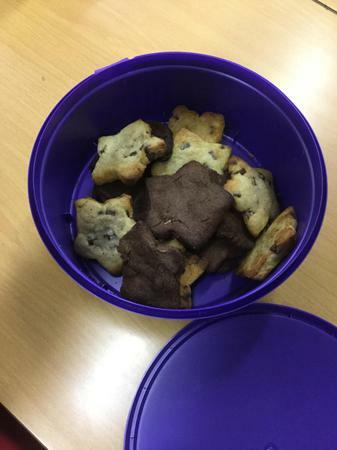 As well as finding out more about how the Accelerated Reader system works, visitors were also able to help us raise money for Macmillan Cancer Research by buying some of the wonderful, delicious cakes that Westacre pupils had brought into school. 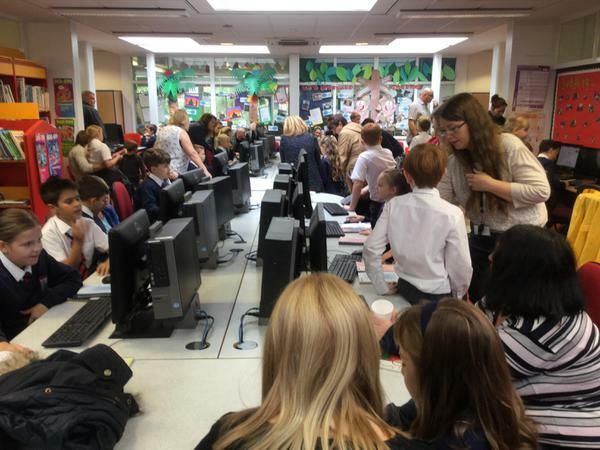 We hope everyone found the morning enjoyable and useful, and look forward to welcoming you all back into school over the next few weeks. 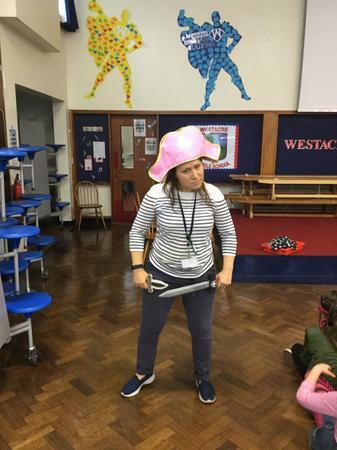 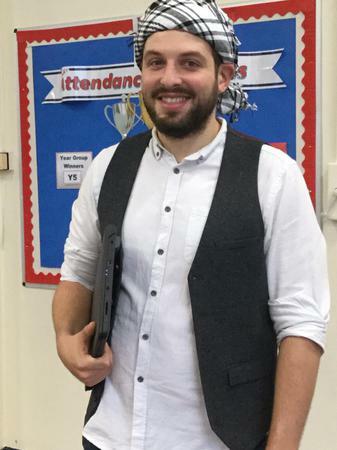 We have had a fantastic first three weeks at Westacre - all of the staff are so impressed with the attitude and behaviour of Year Five. 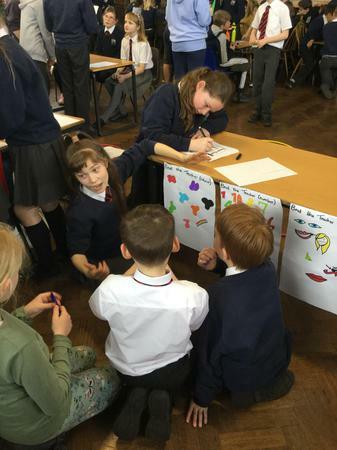 Thank you to all the Year 5s that helped on Open Day and Open Evening - you were super representatives for our year group. 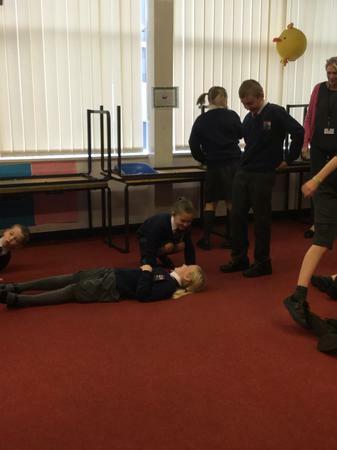 Congratulations to Jasmine in 5FH for completing a Basic Life Support Course. 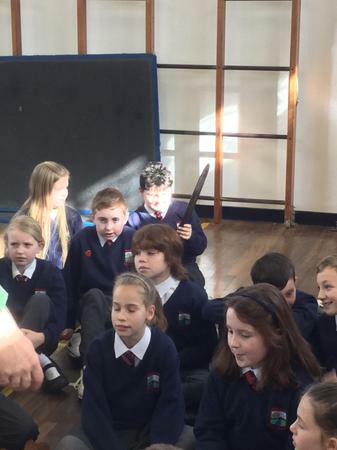 She was very confident to tell us about how to use a defibrillator during our assembly. 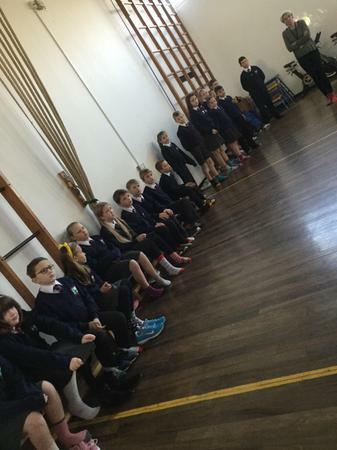 Each week we will choose one person from each class who has impressed us and reveal who they are in our year group assembly. 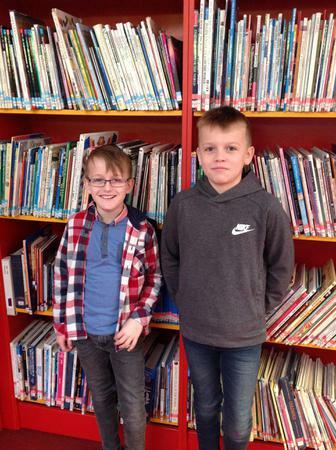 Well done to these children for impressing us this week and making it onto our Roll of Honour. 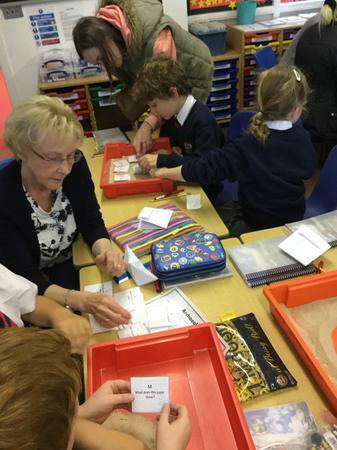 CC - Parents came along to help us learn about explorers. 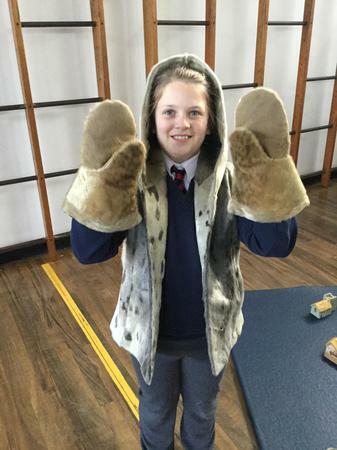 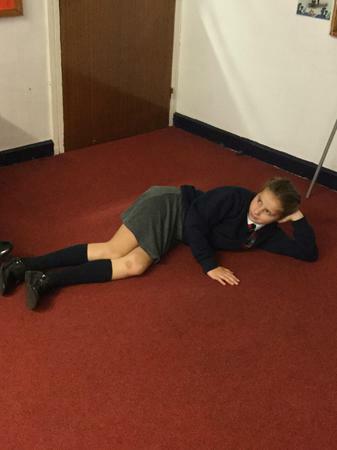 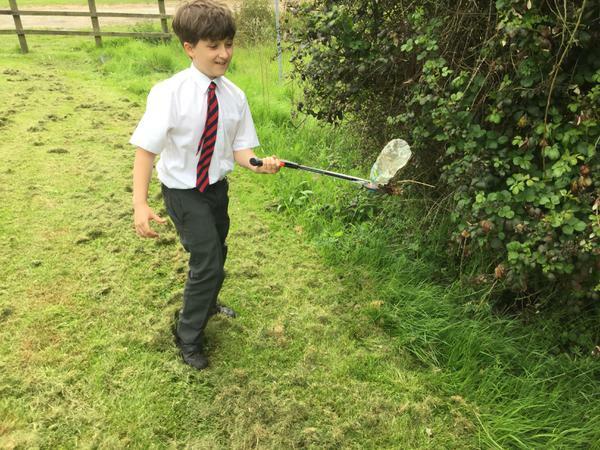 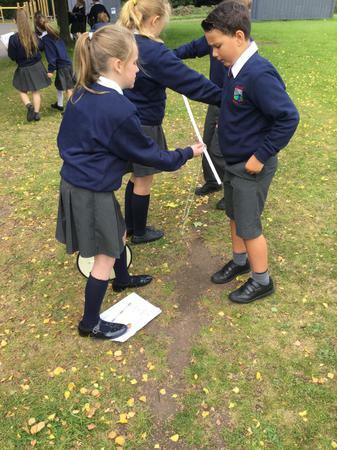 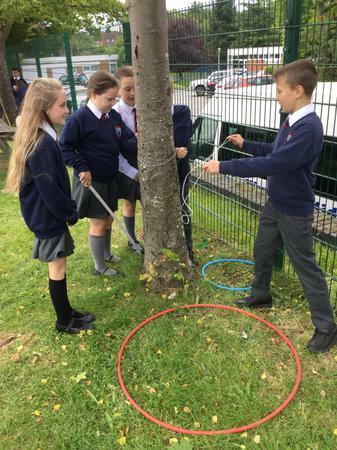 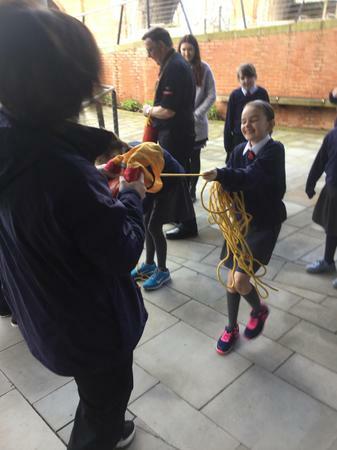 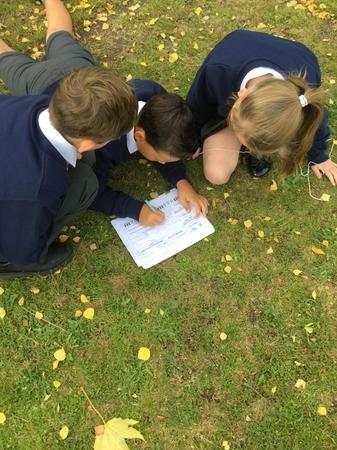 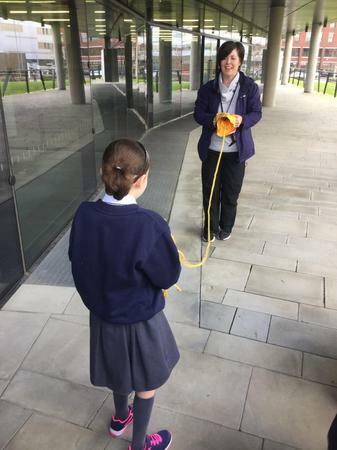 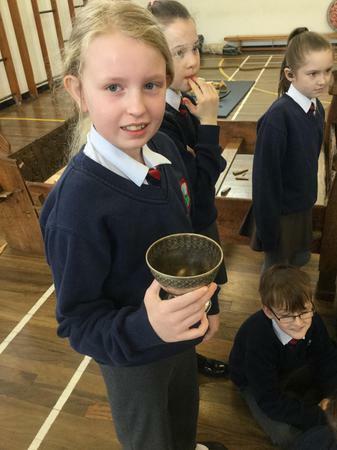 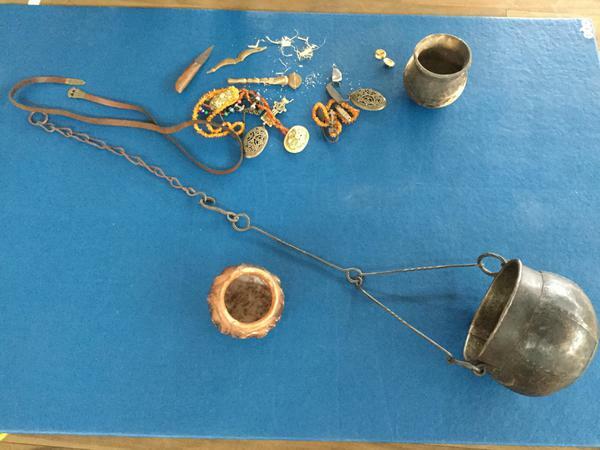 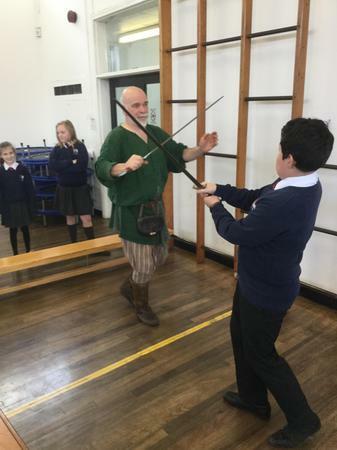 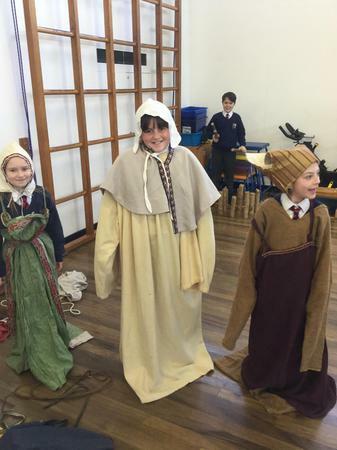 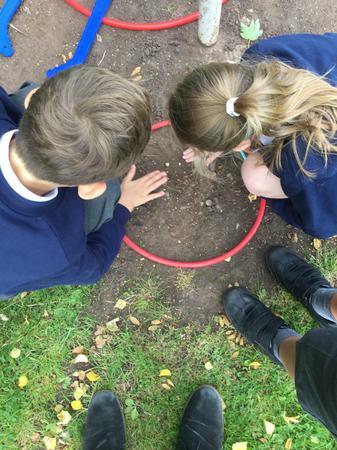 In year 5, we have been exploring around Westacre to find interesting items. 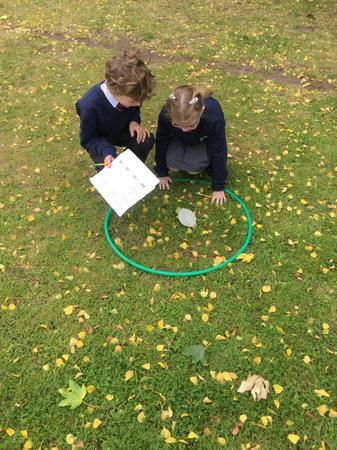 It was a lovely chance to look at our surrounding and make new discoveries. 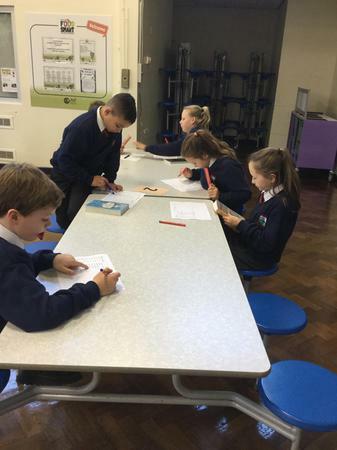 Welcome to our new year 5's. 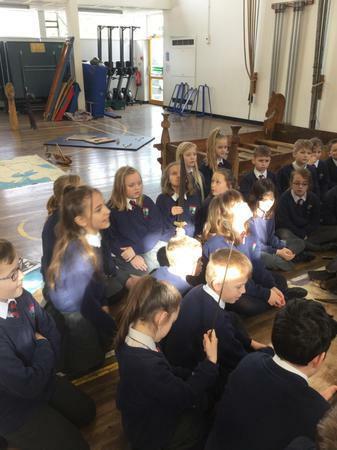 So far we have got off to a great start with so many children! 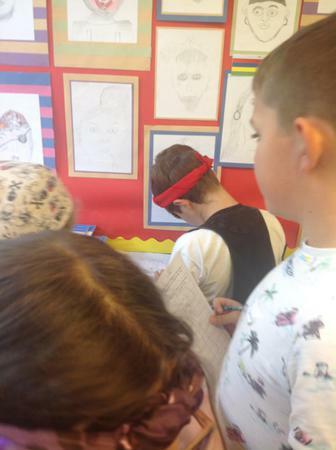 Everyone looks really smart and have shown how super organised they are. 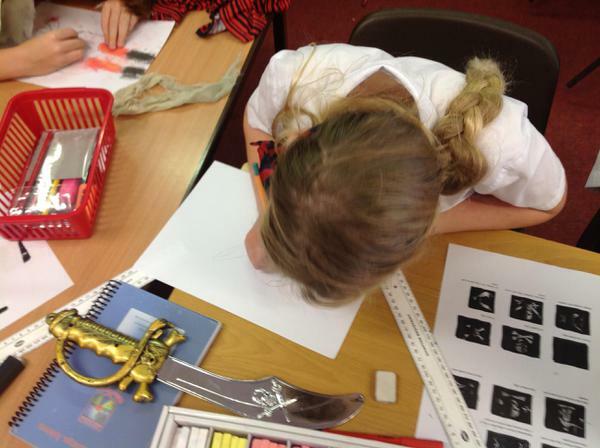 This week we have enjoyed writing about Narnia and are currently creating our own imaginary worlds. 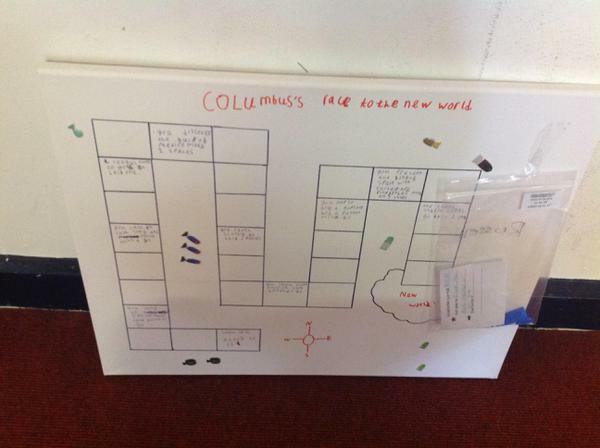 We have started thinking about our explorers topic and we will be exploring our school environment. 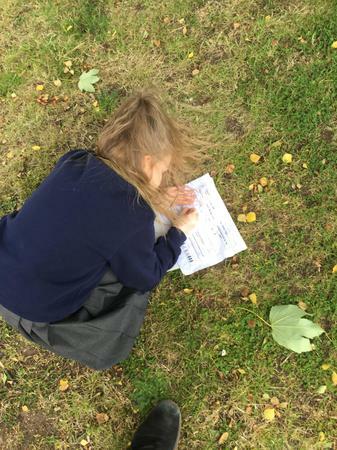 Remember to get your letters in so that we can start sharing some our amazing photos.